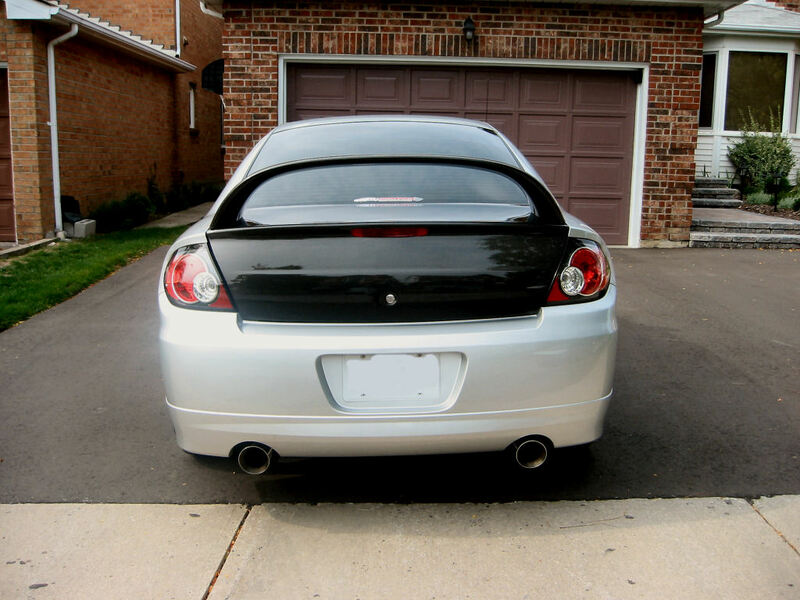 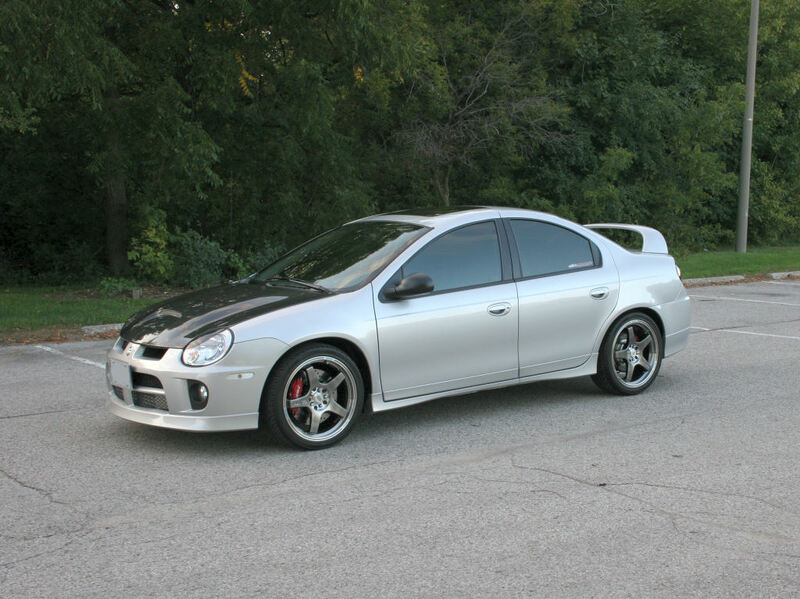 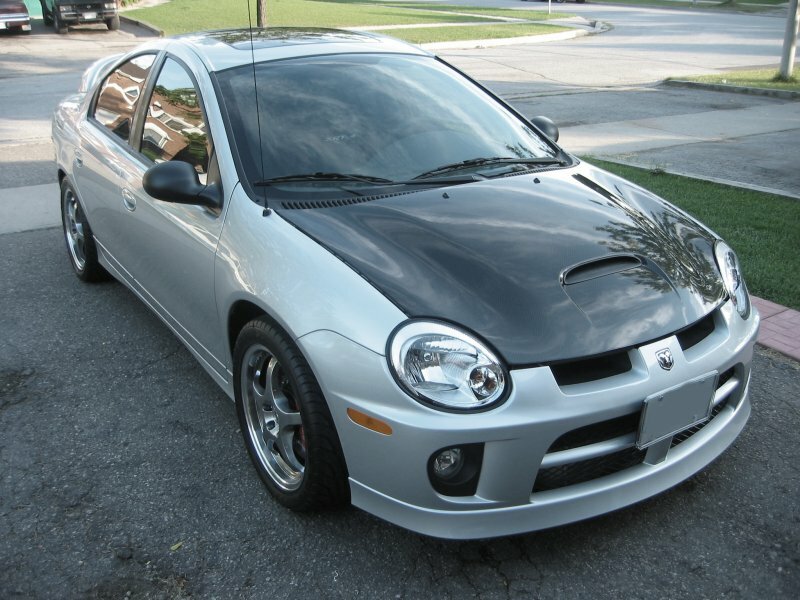 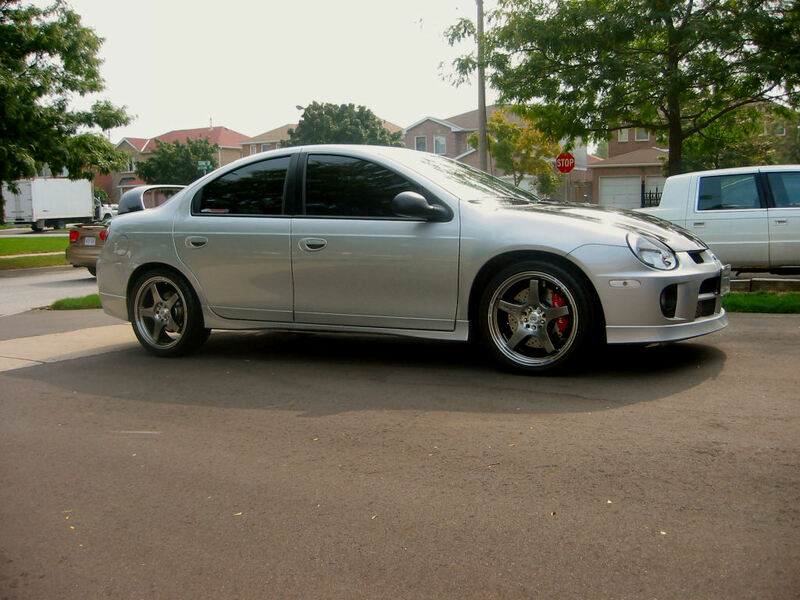 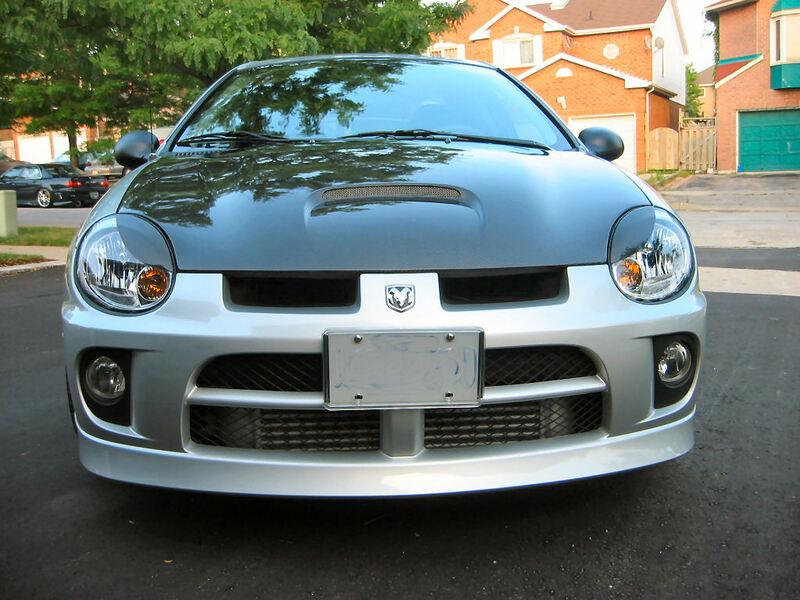 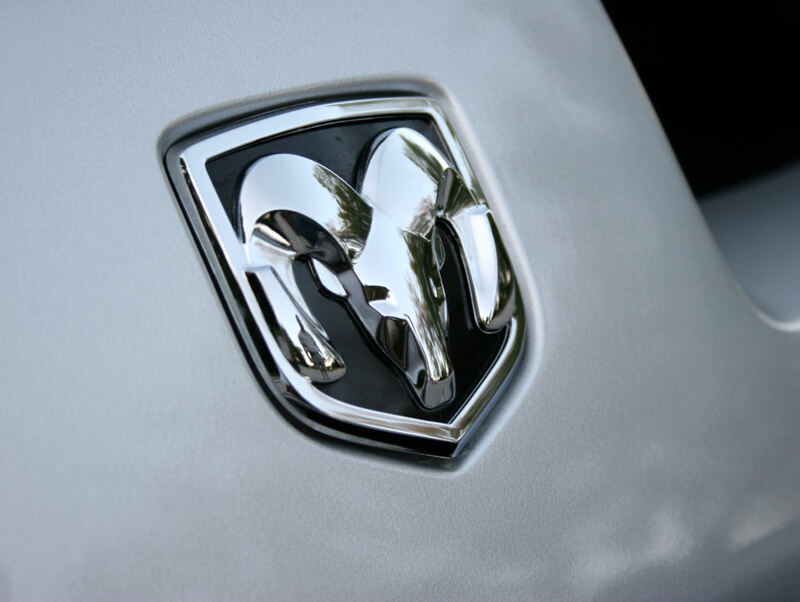 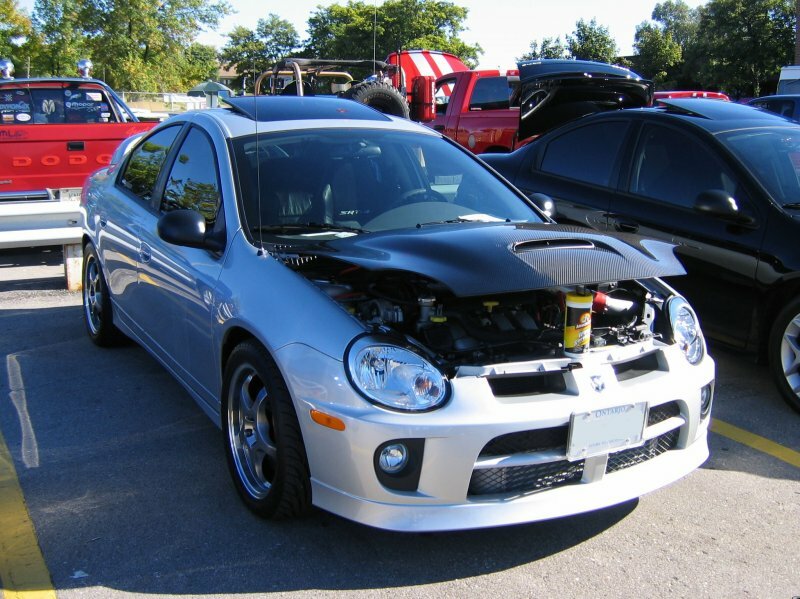 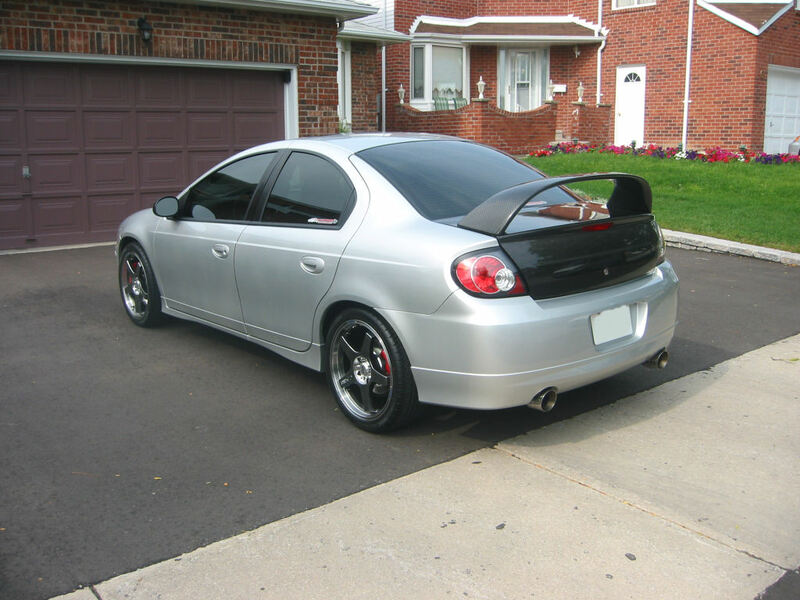 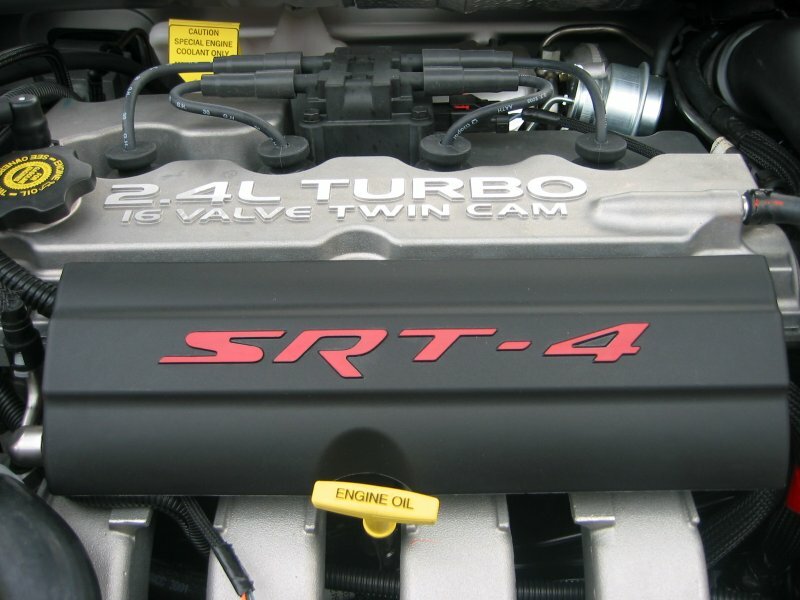 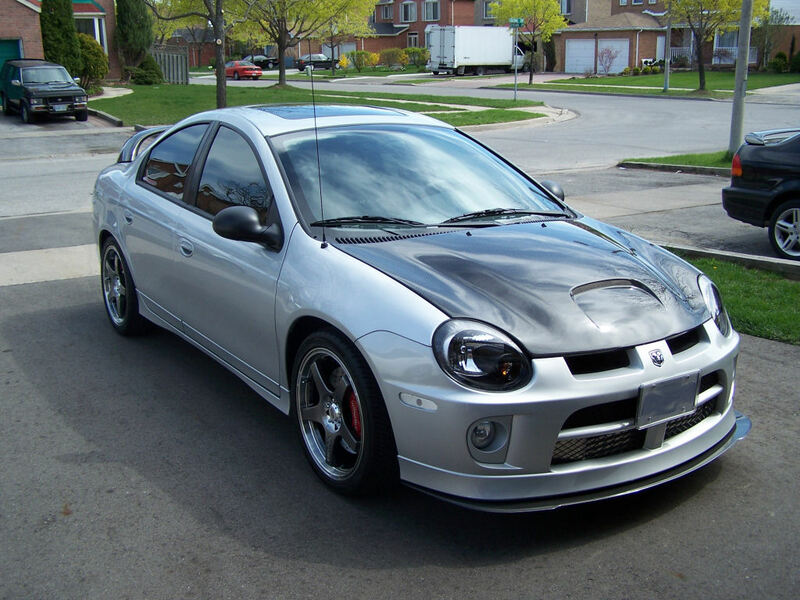 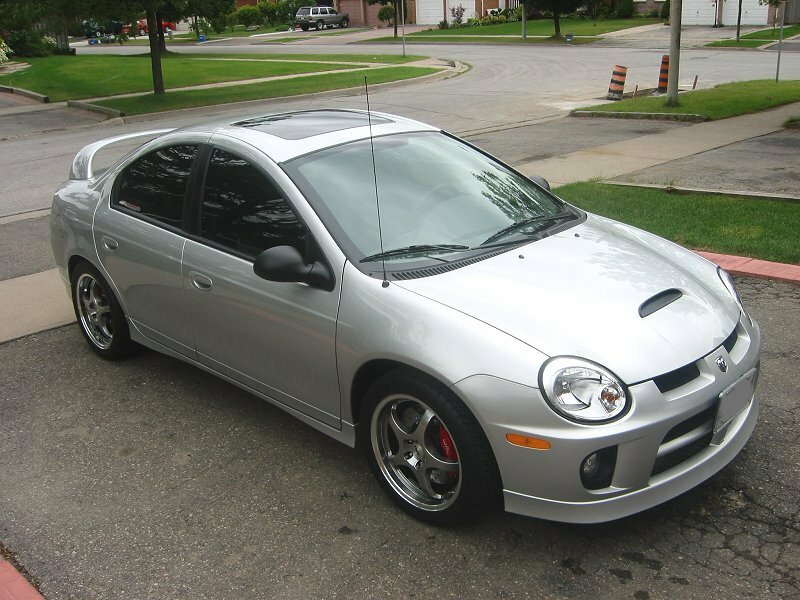 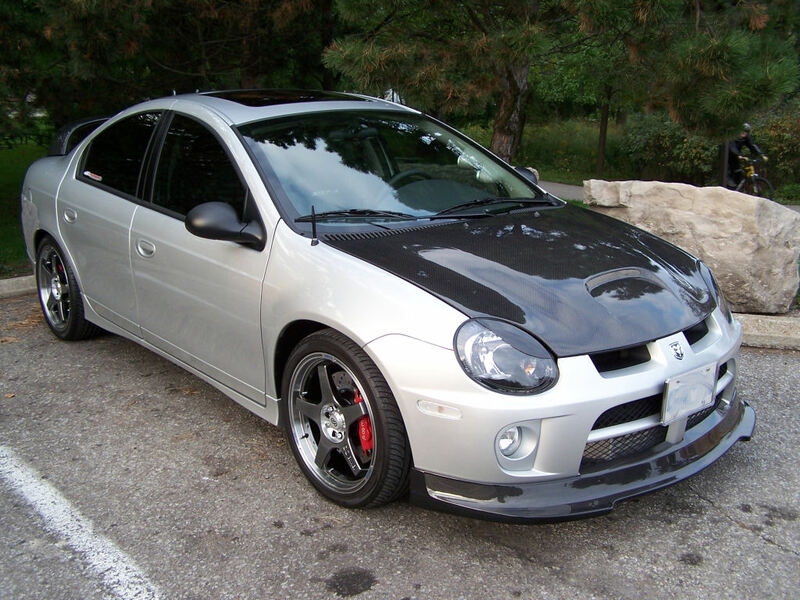 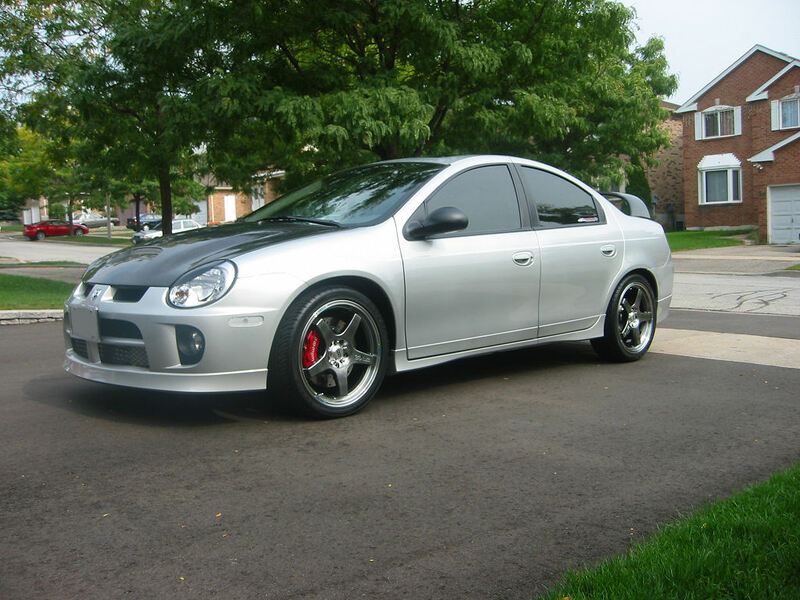 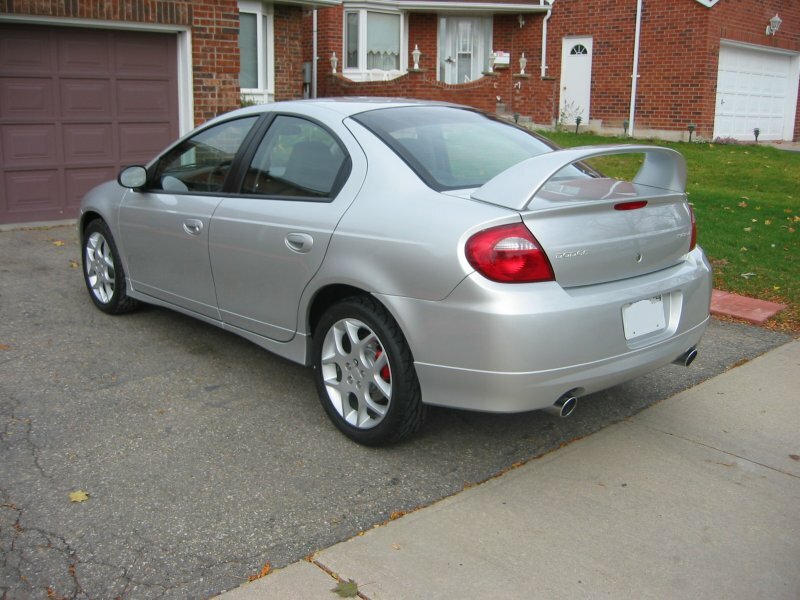 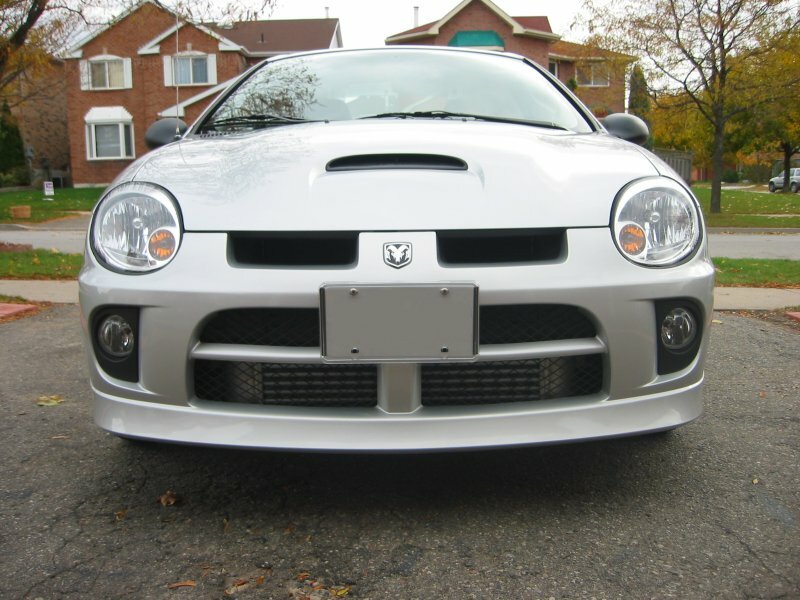 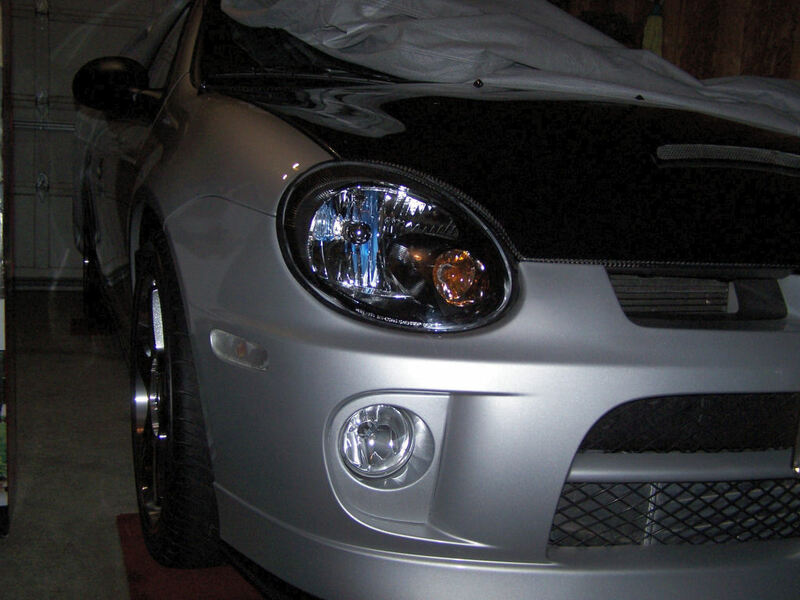 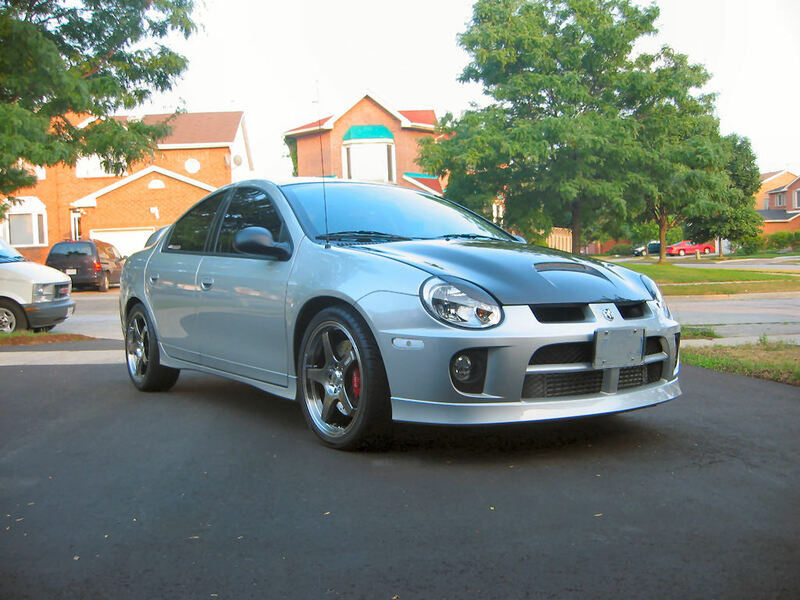 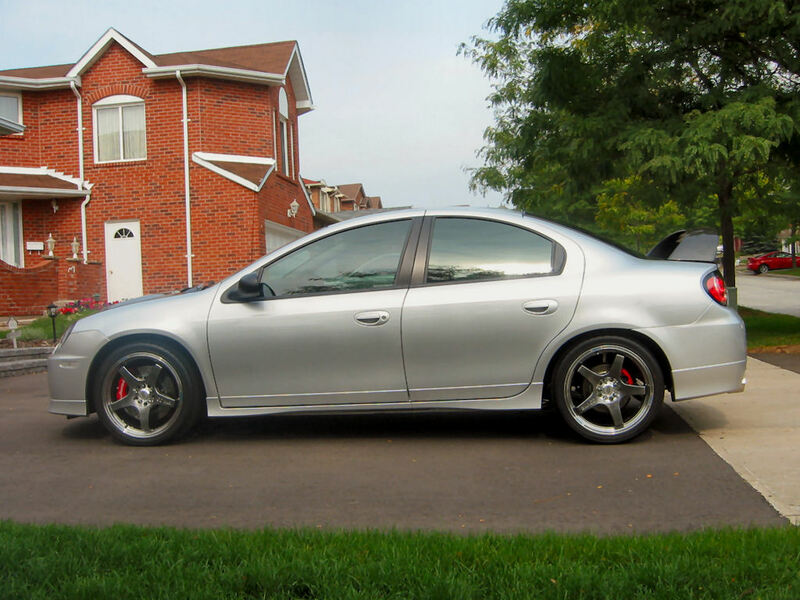 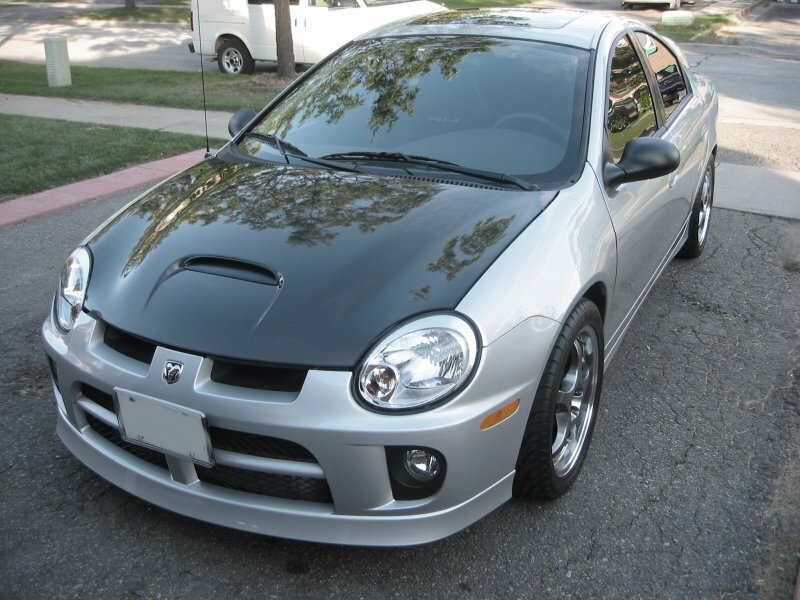 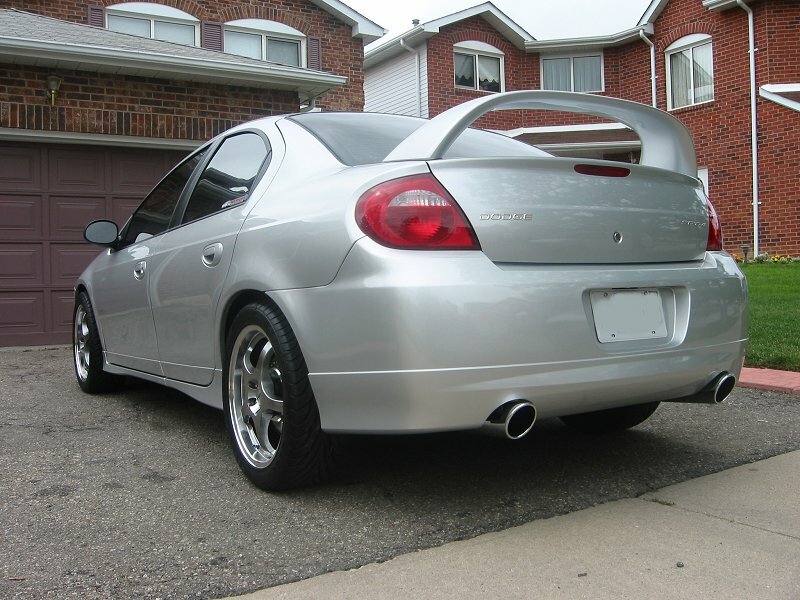 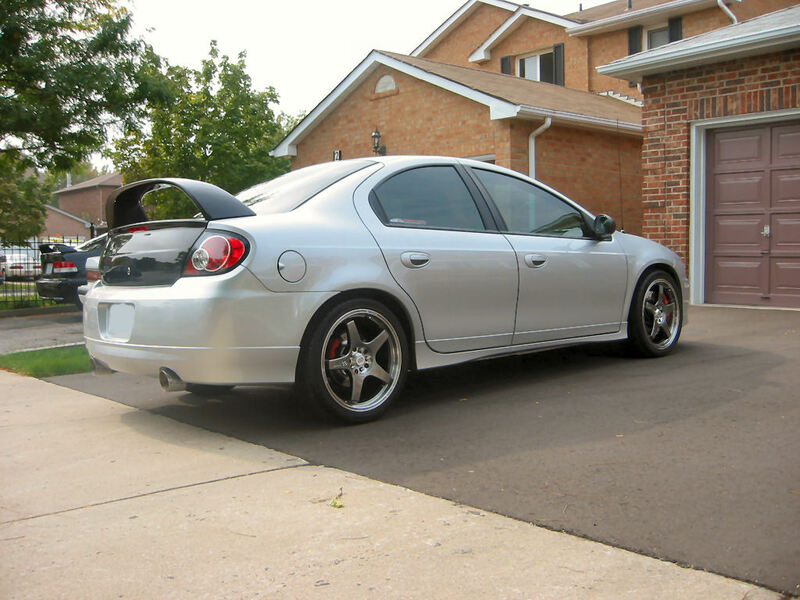 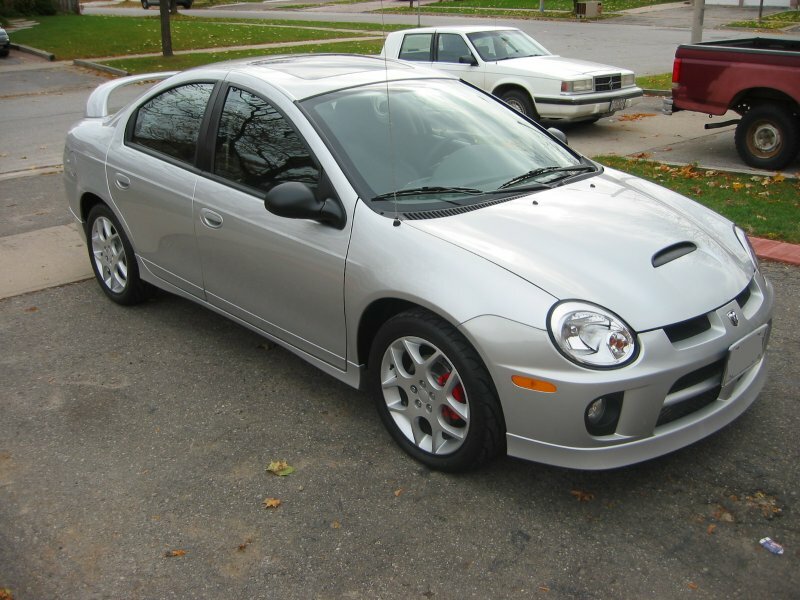 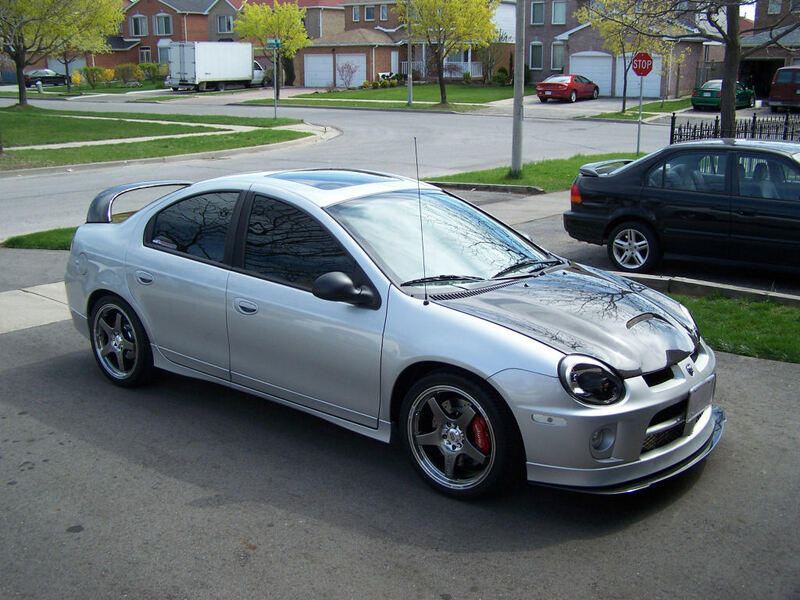 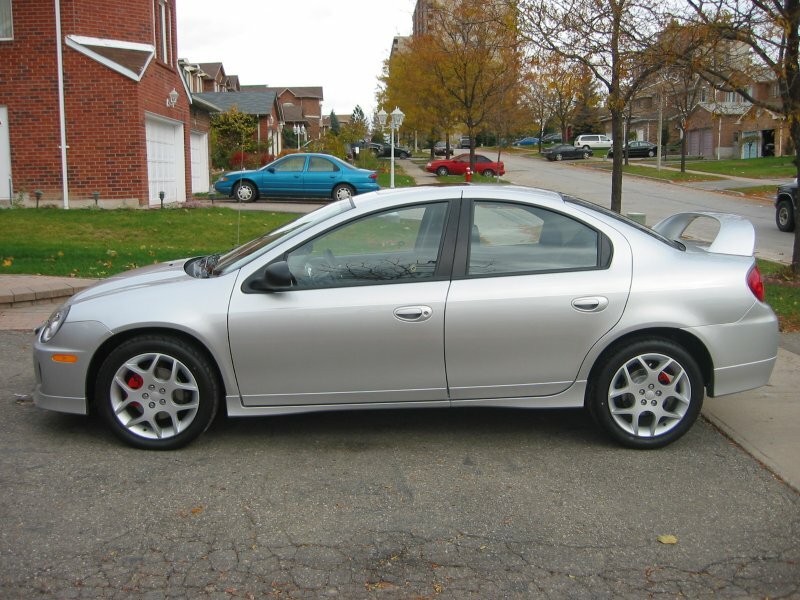 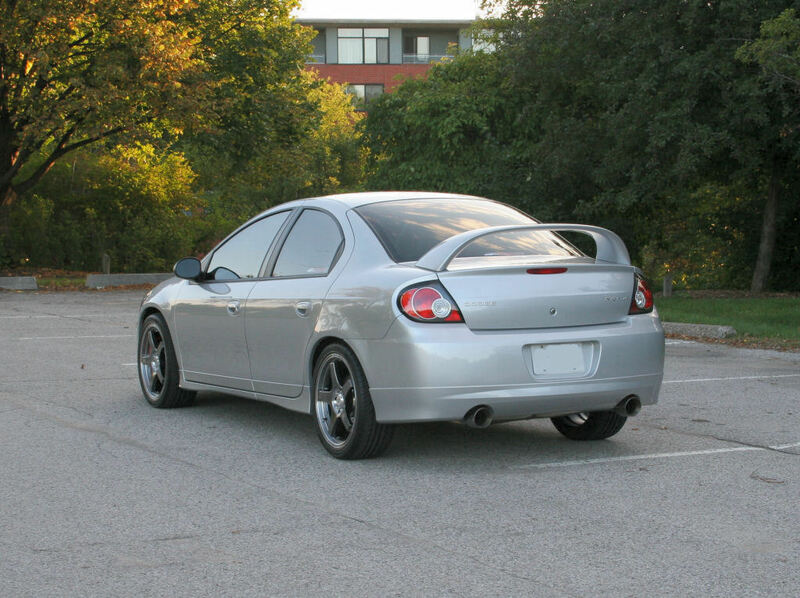 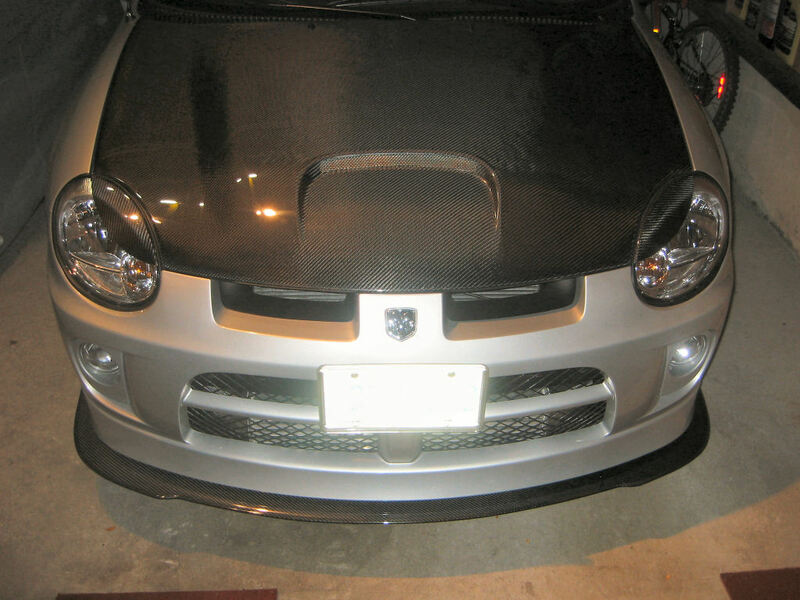 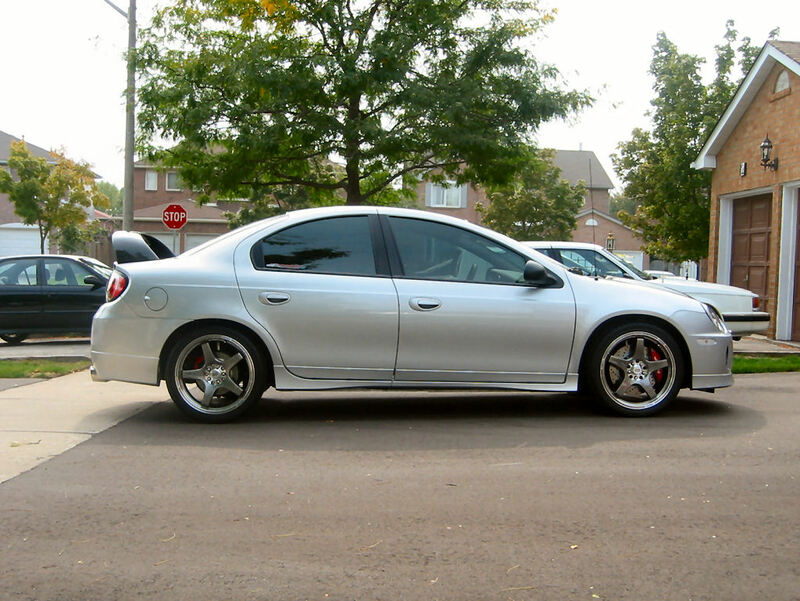 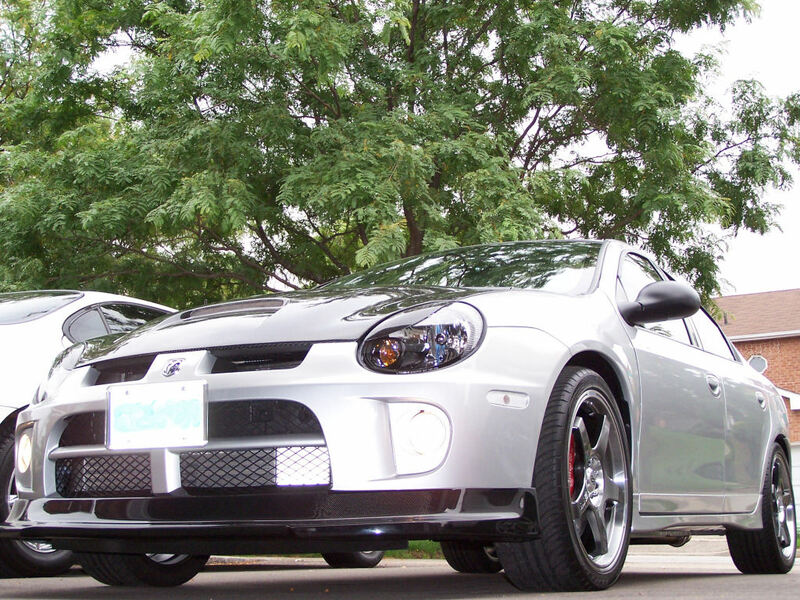 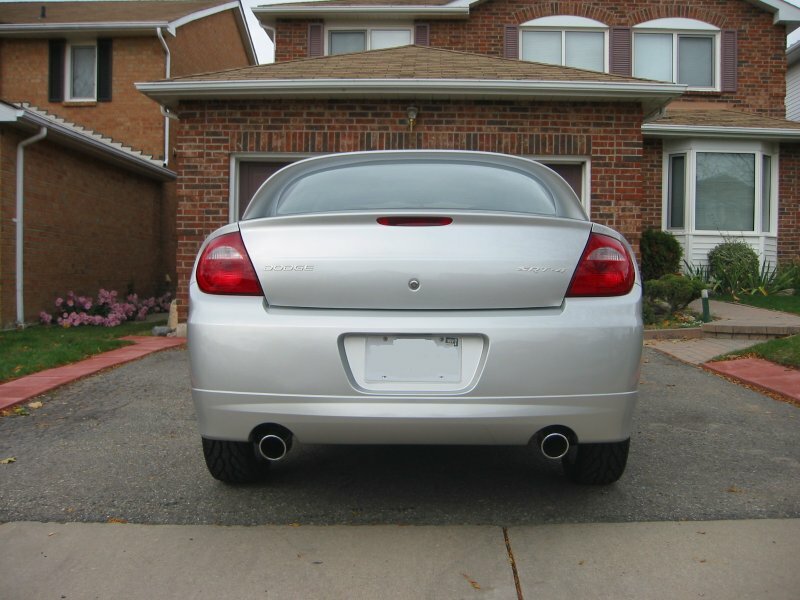 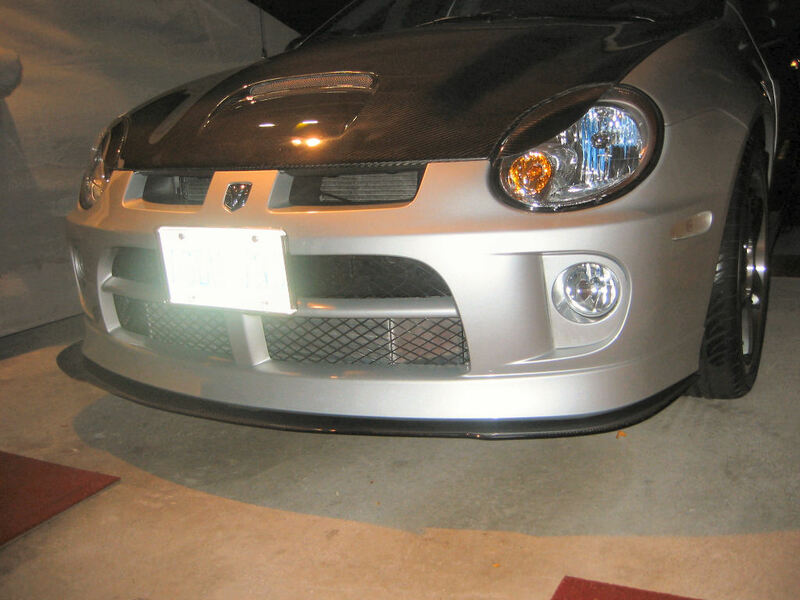 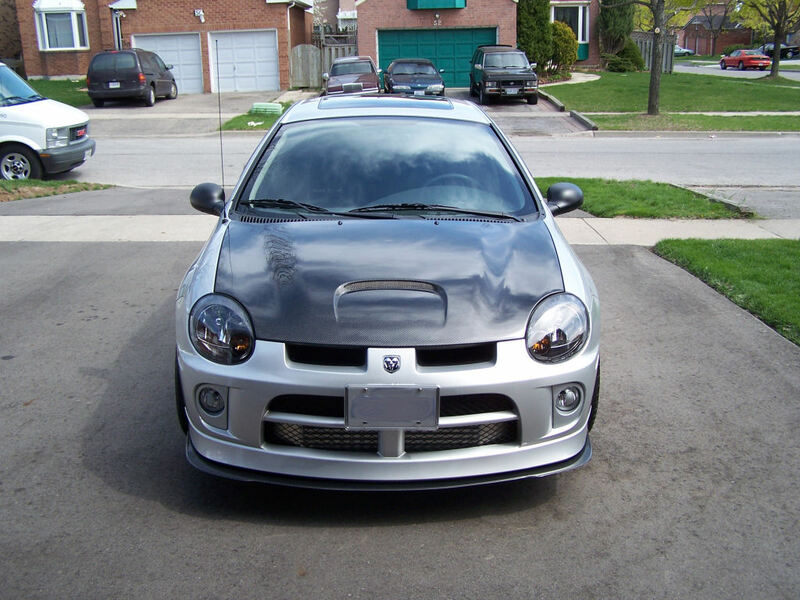 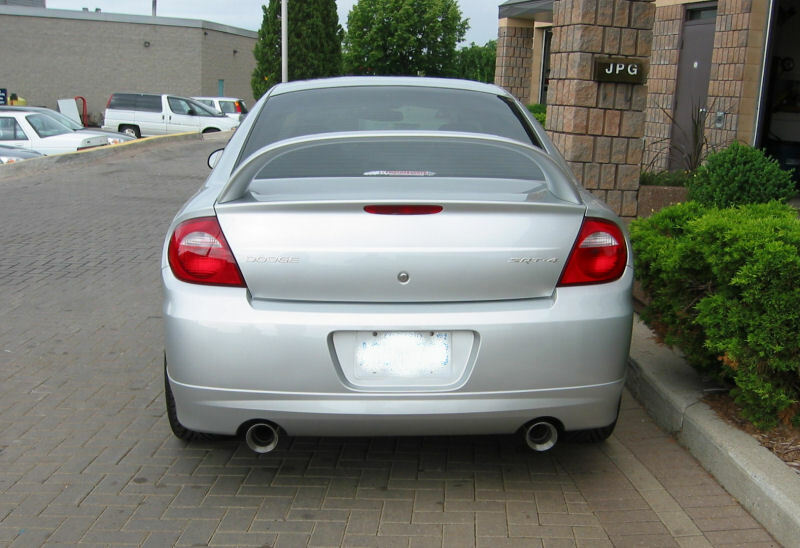 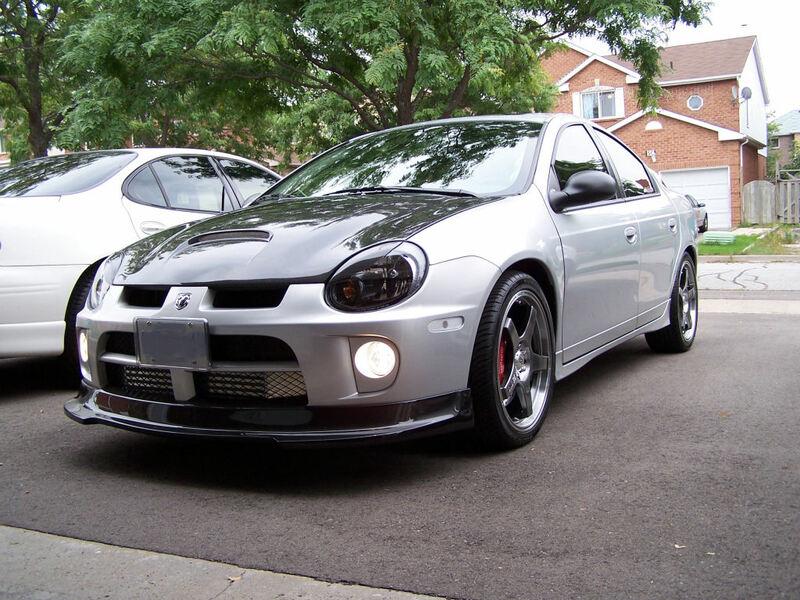 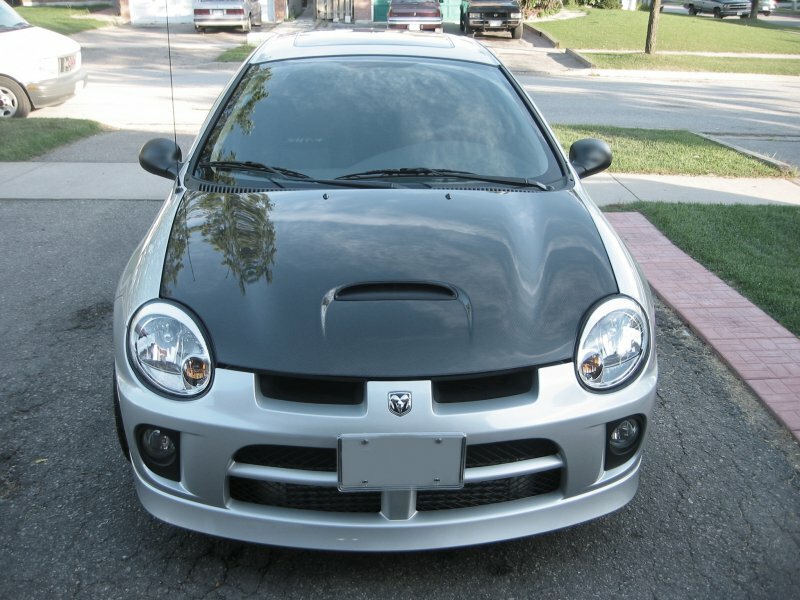 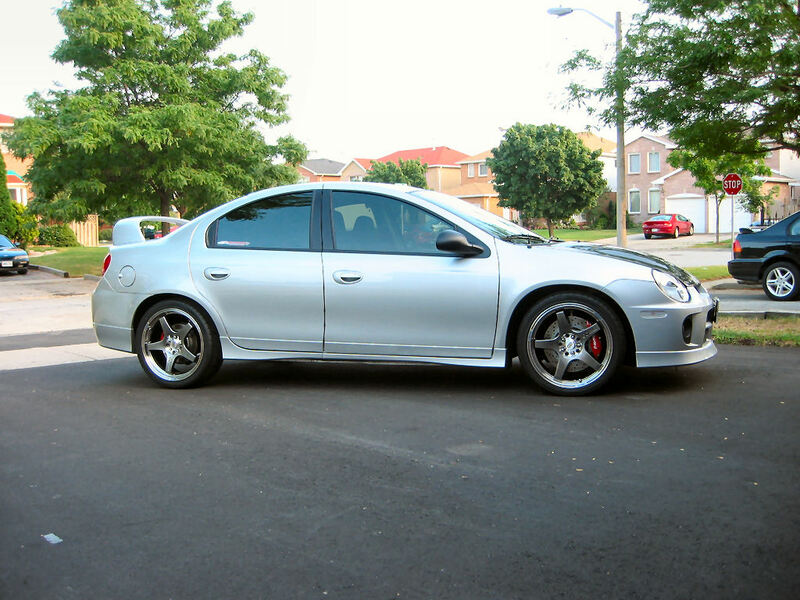 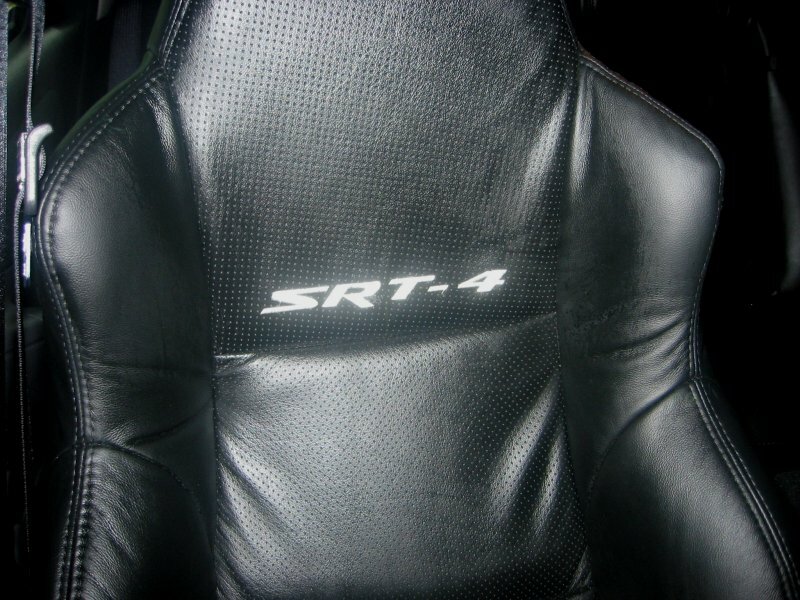 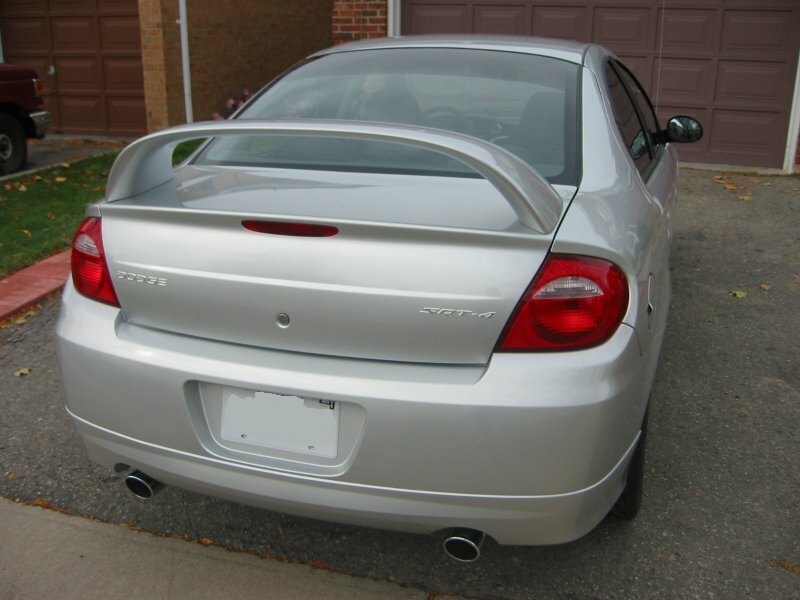 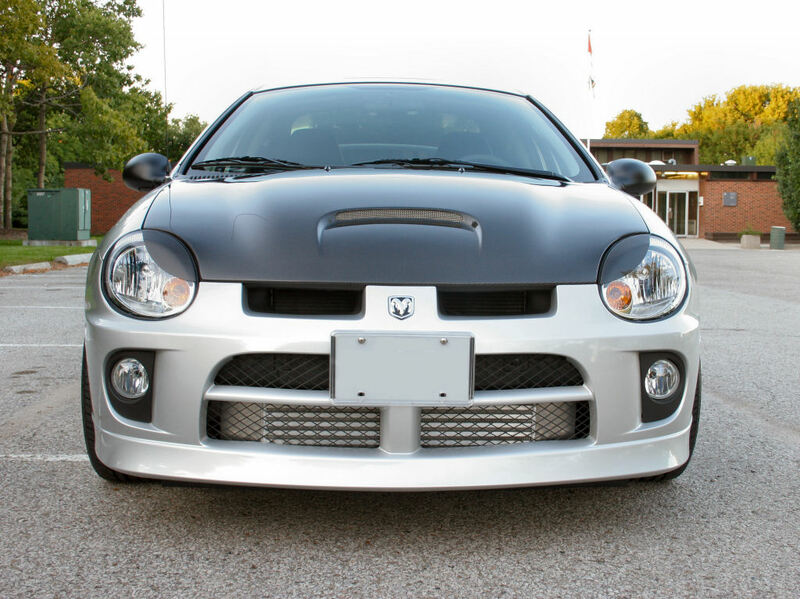 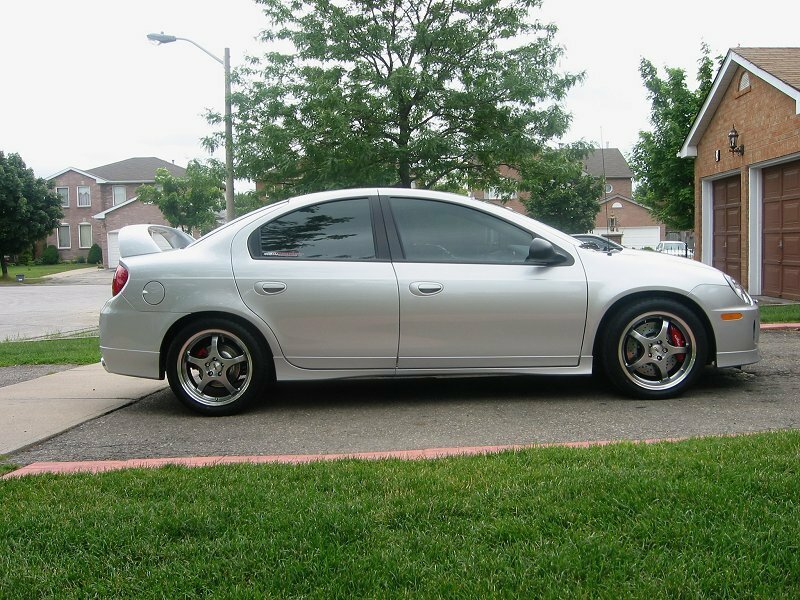 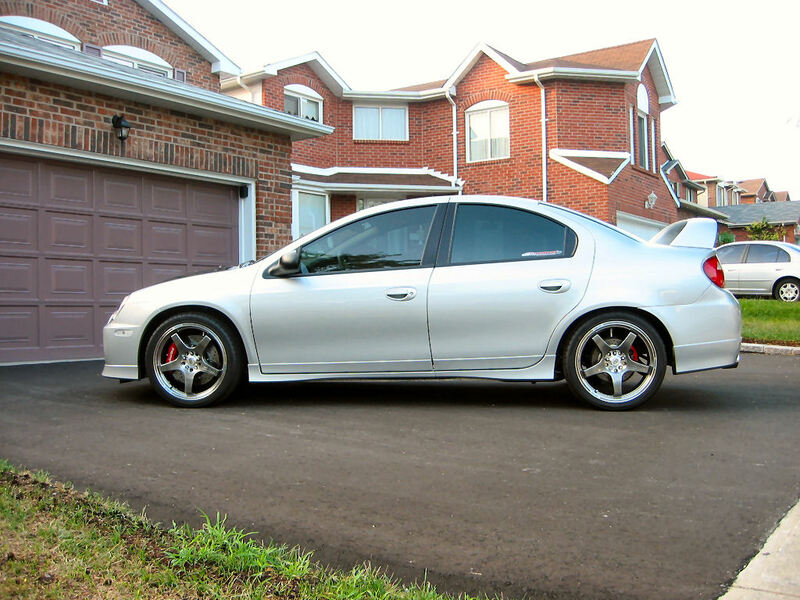 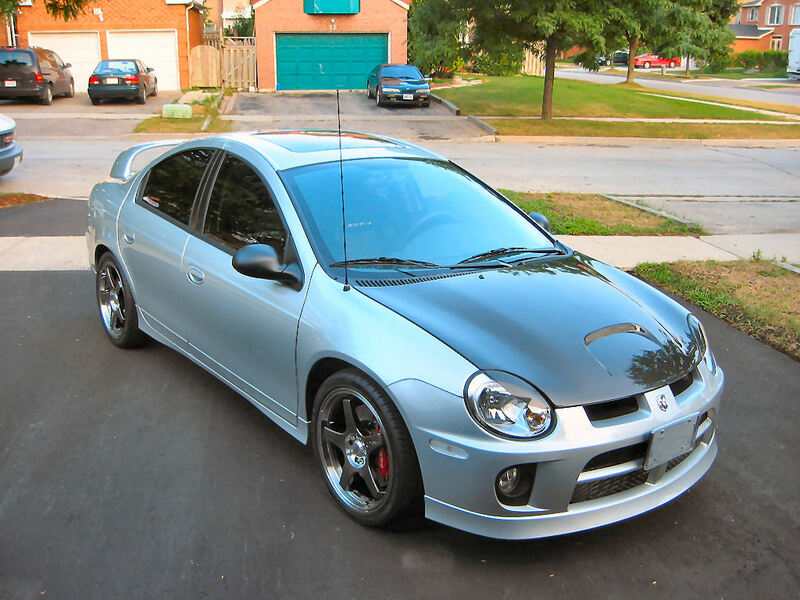 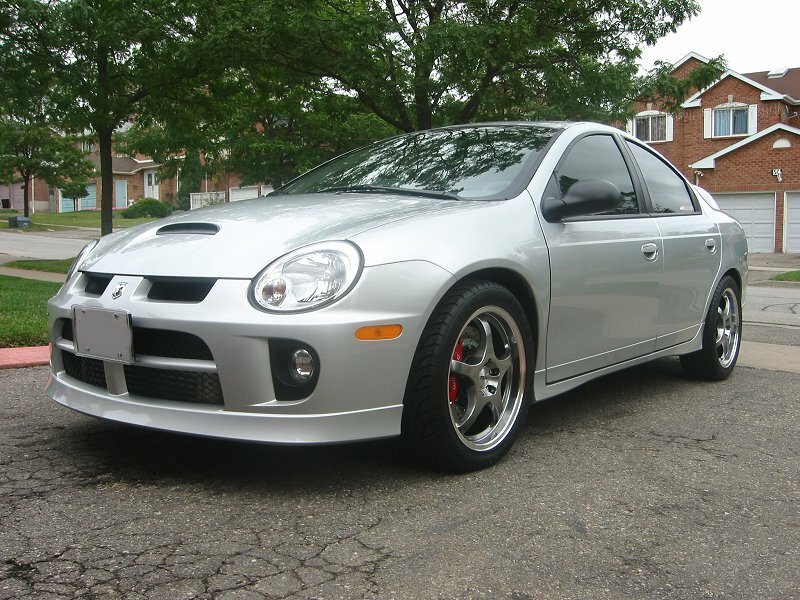 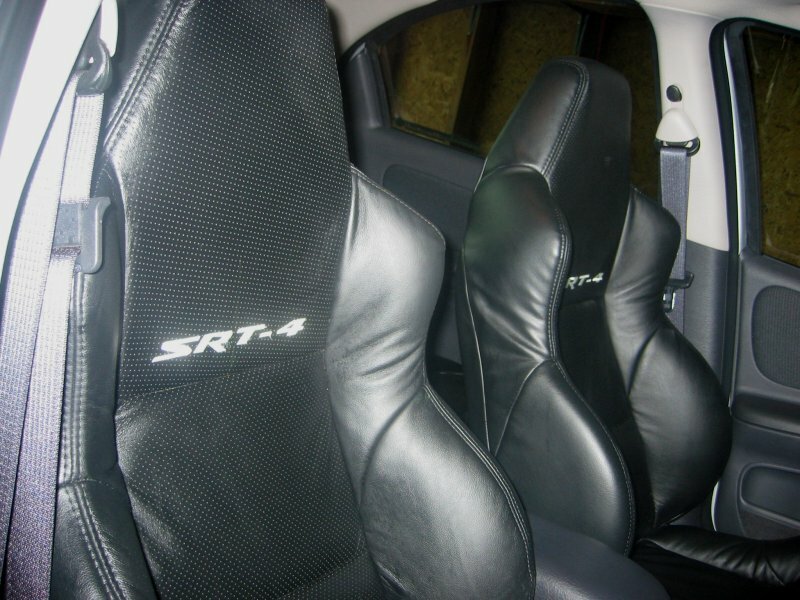 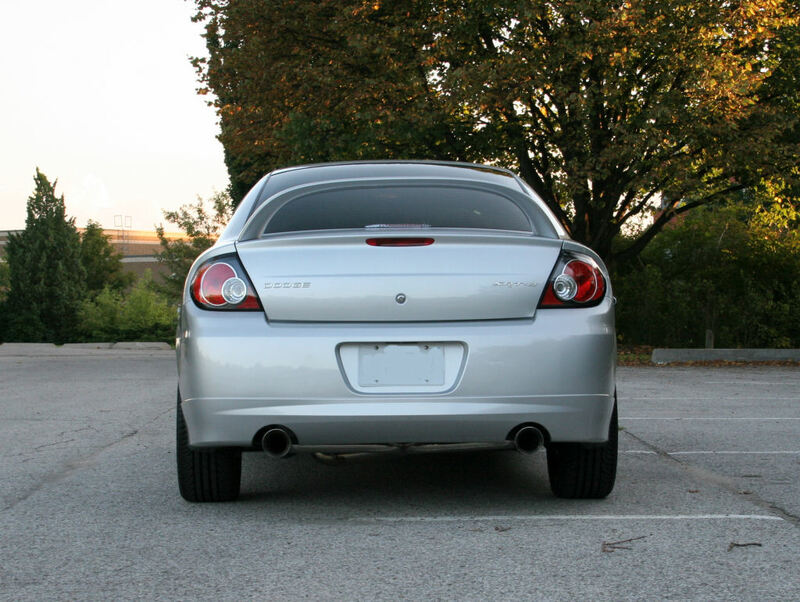 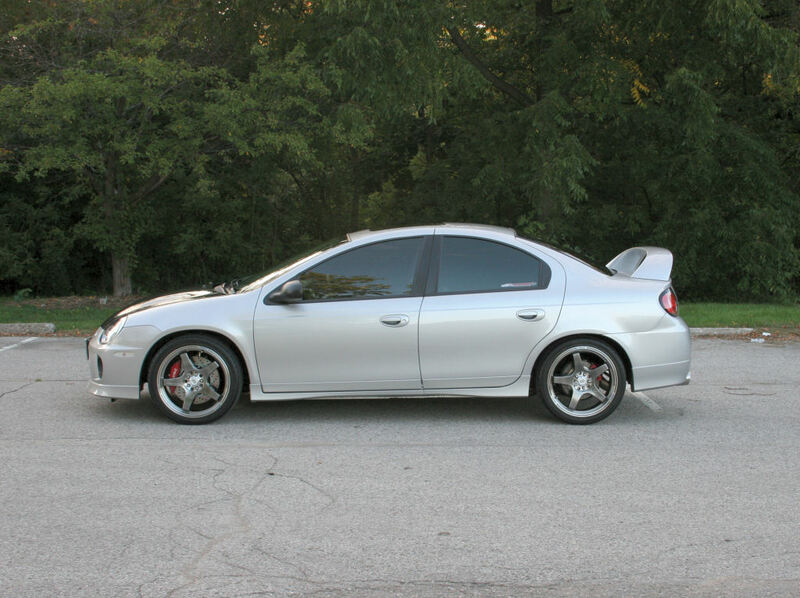 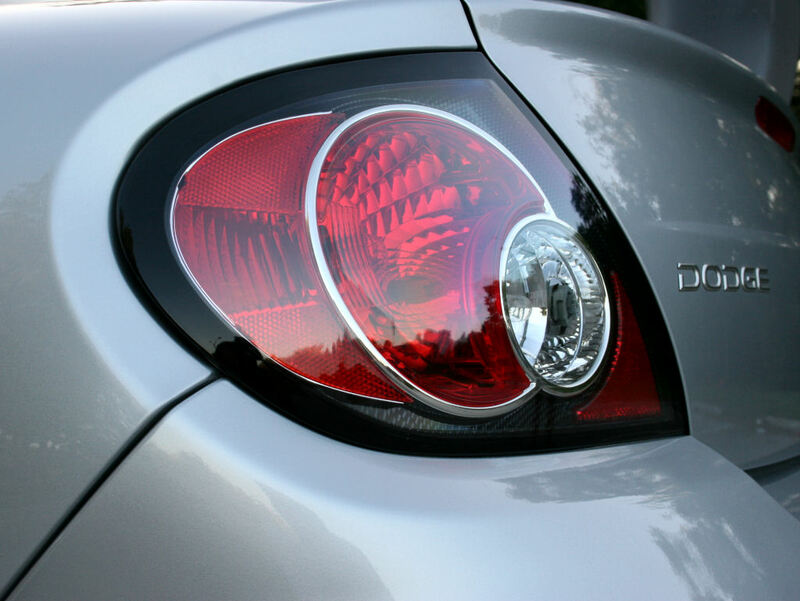 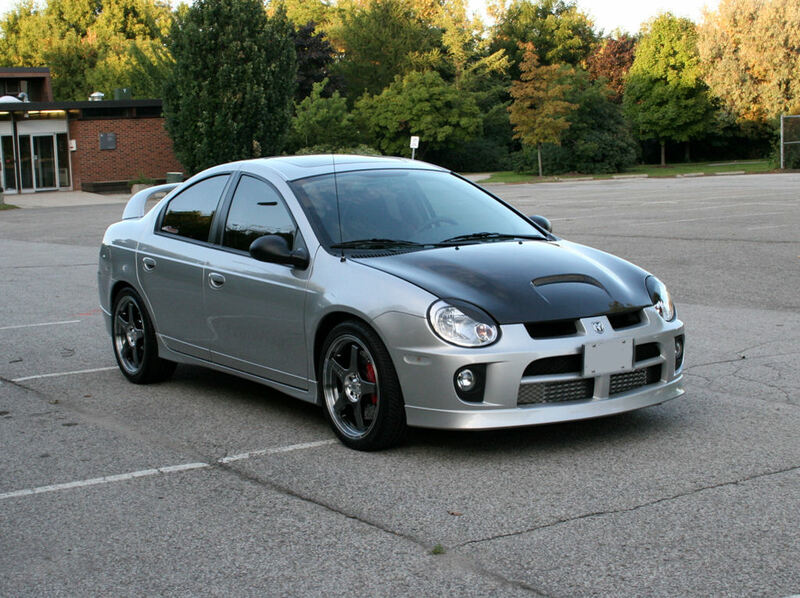 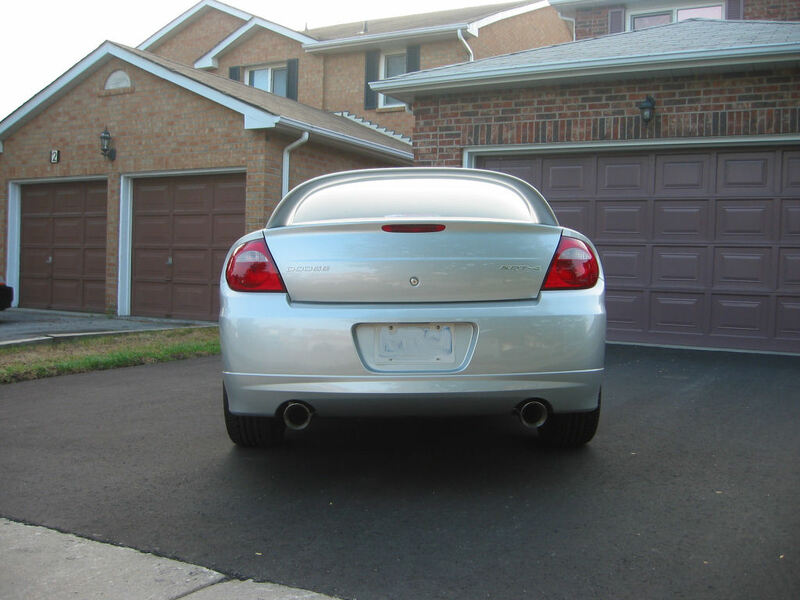 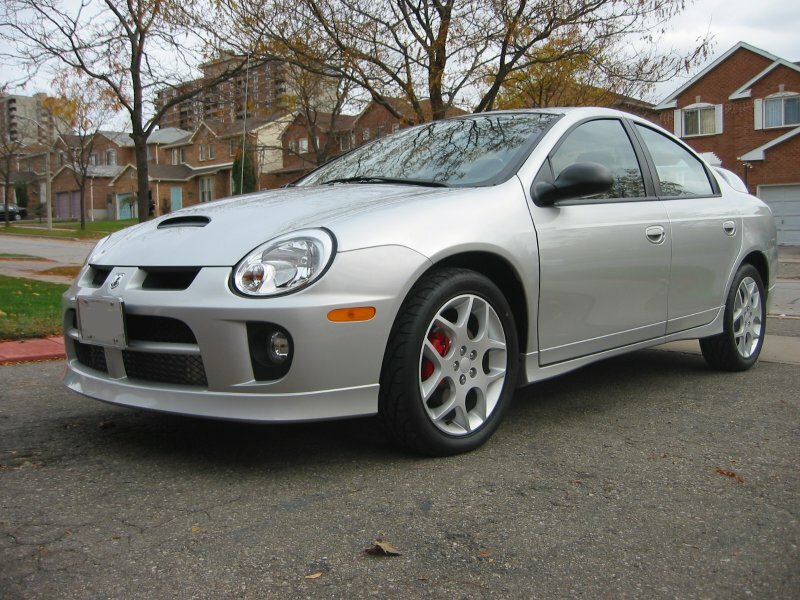 Purchased 2004 Dodge SRT4 October 2003. 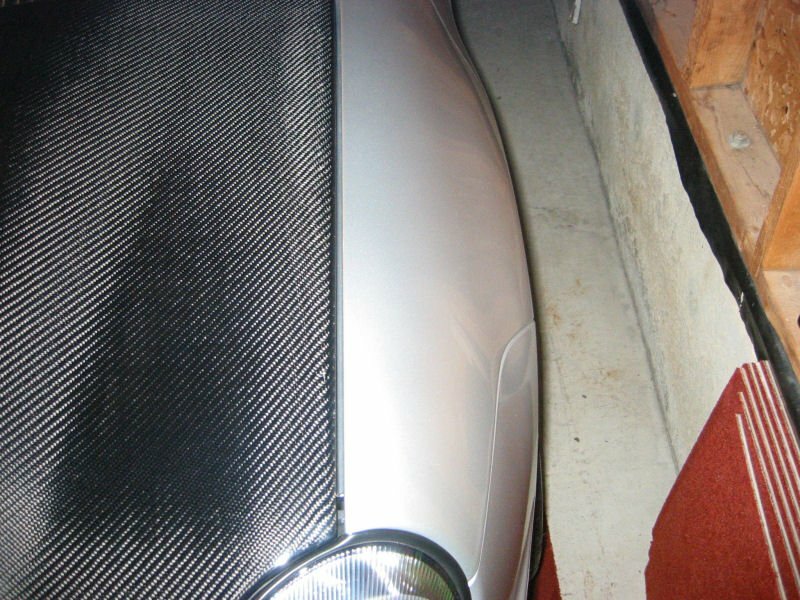 Original build date is September 2003. 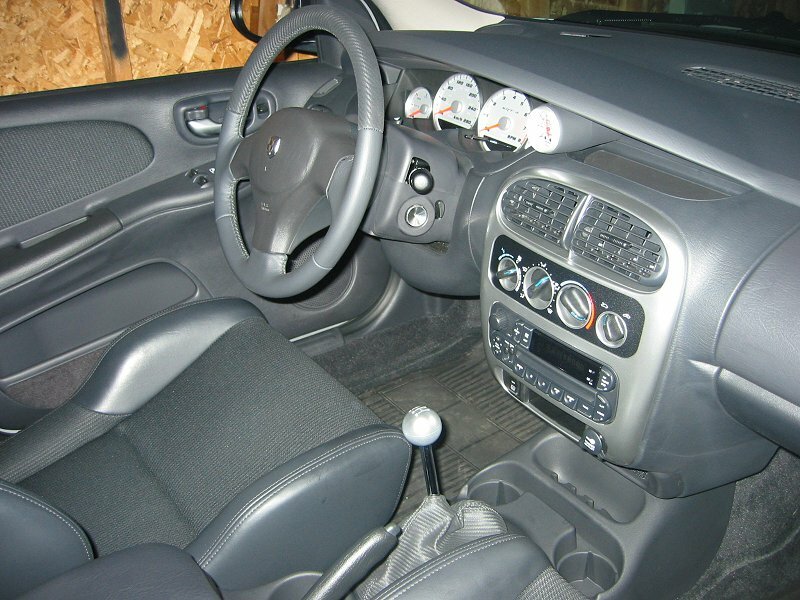 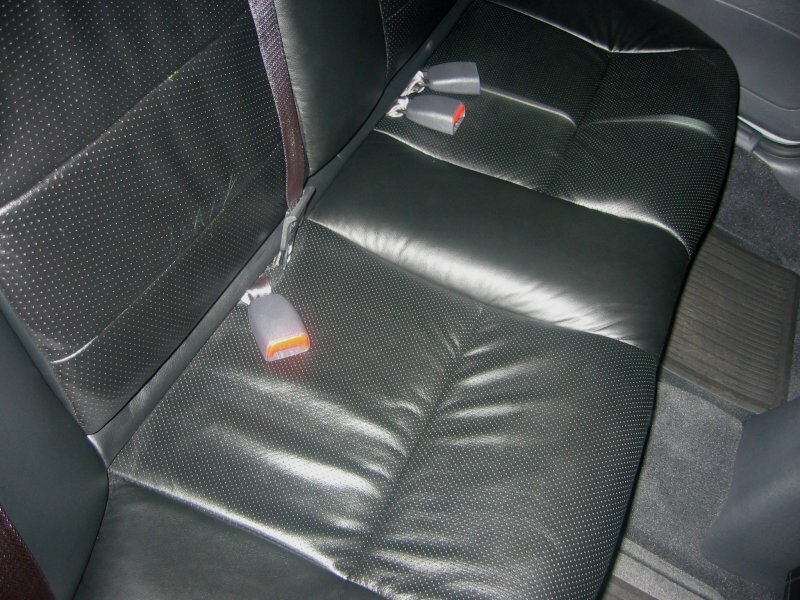 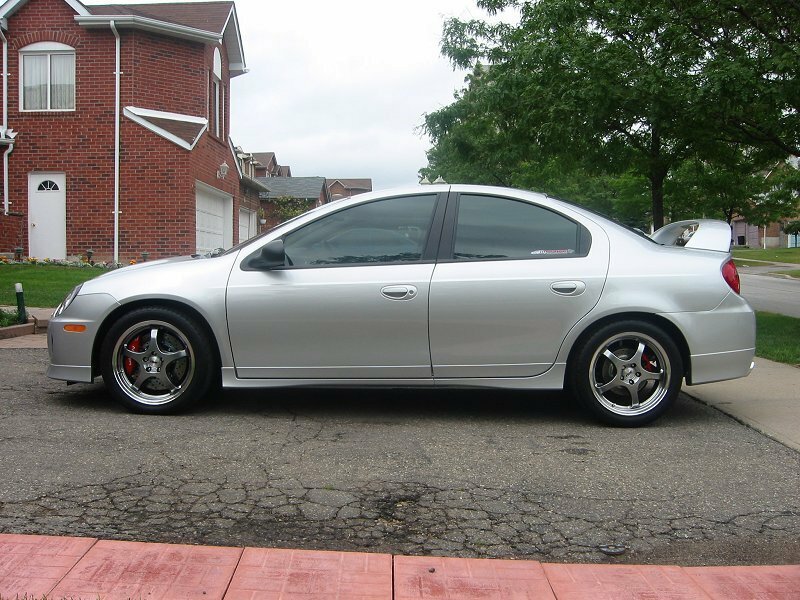 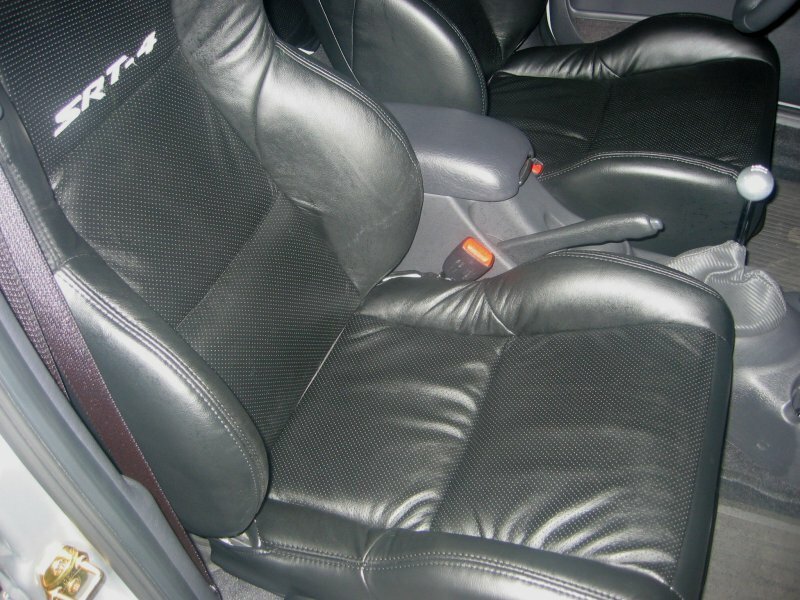 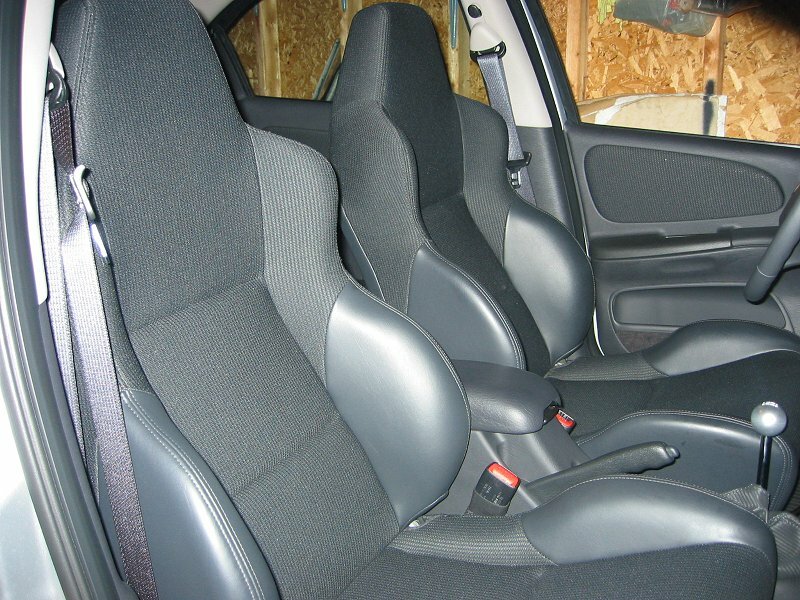 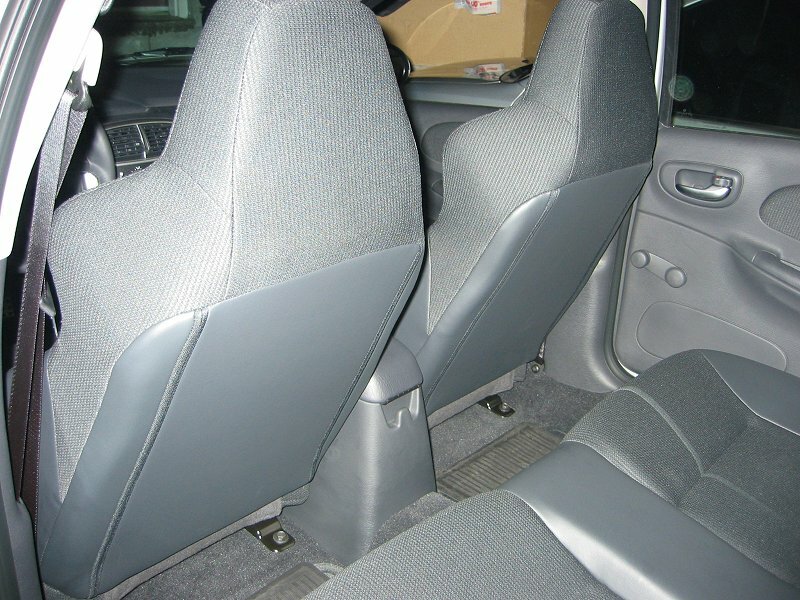 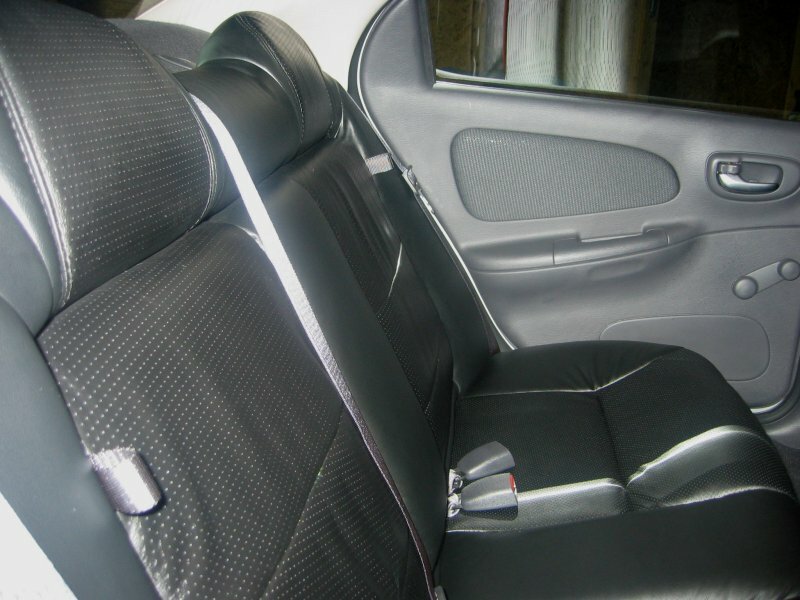 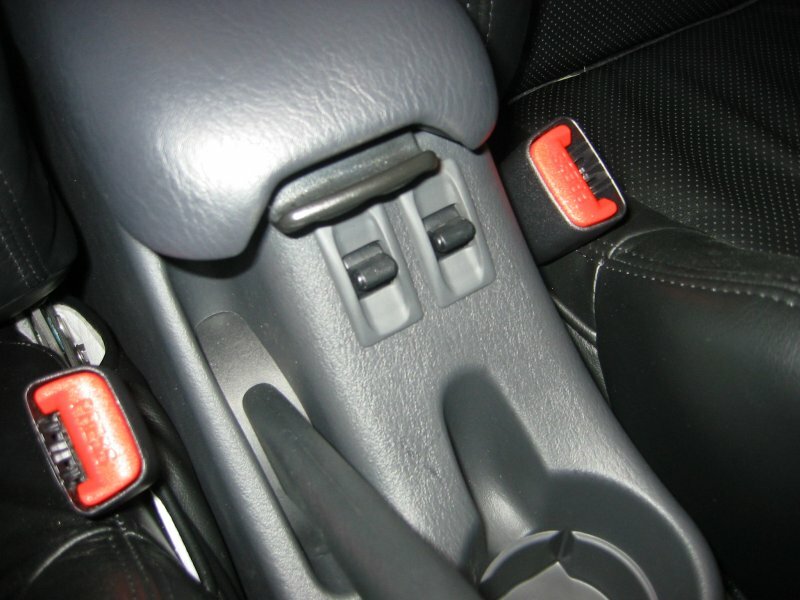 It is Bright Silver, Deep Slate interior with Viper style front bucket seats. 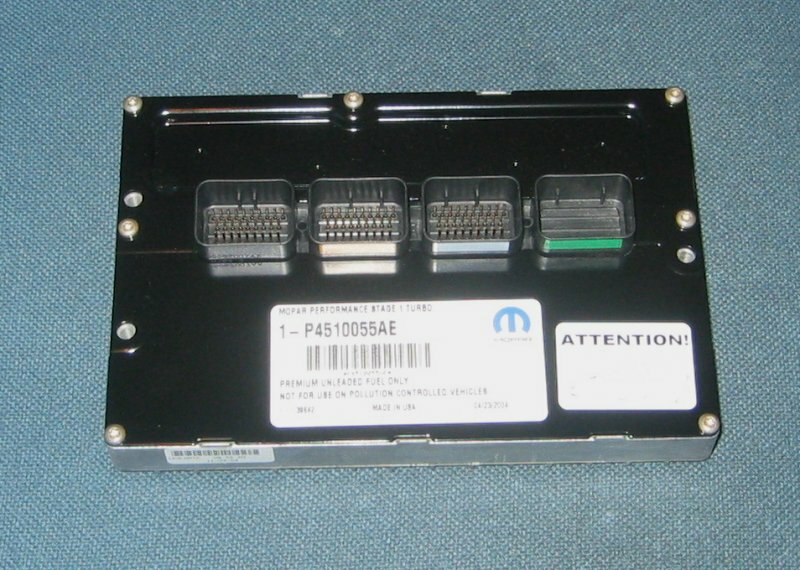 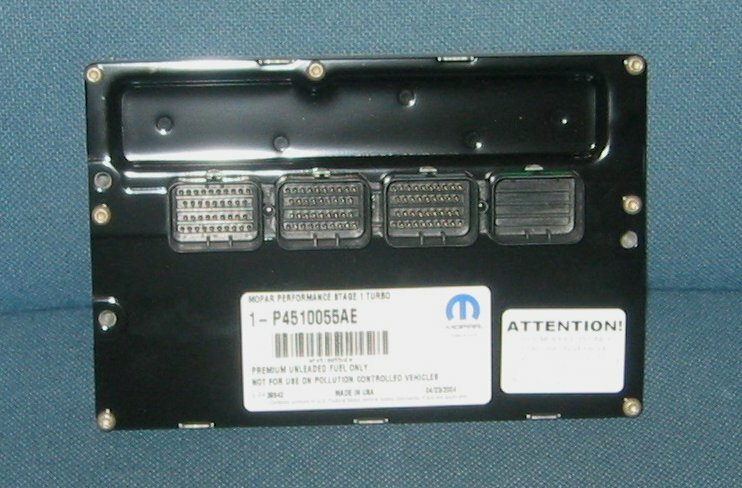 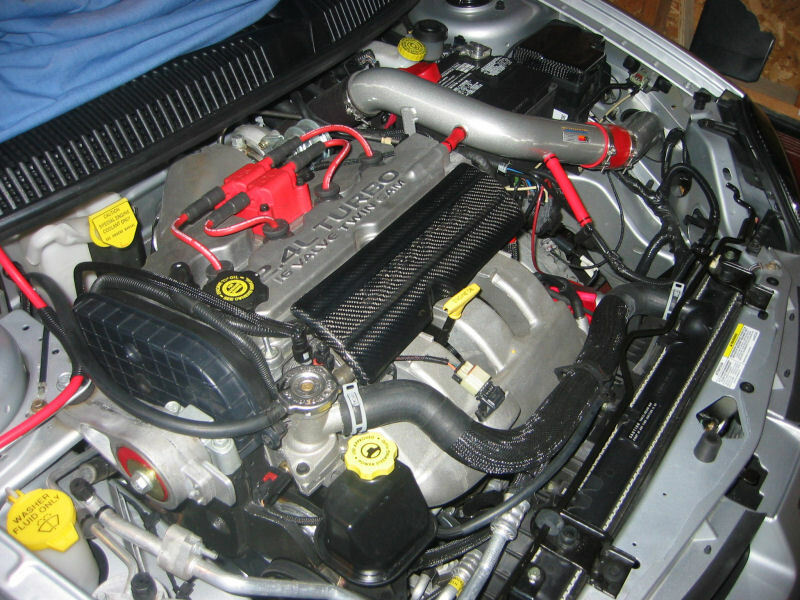 N2MB Performance WOT Box installed. 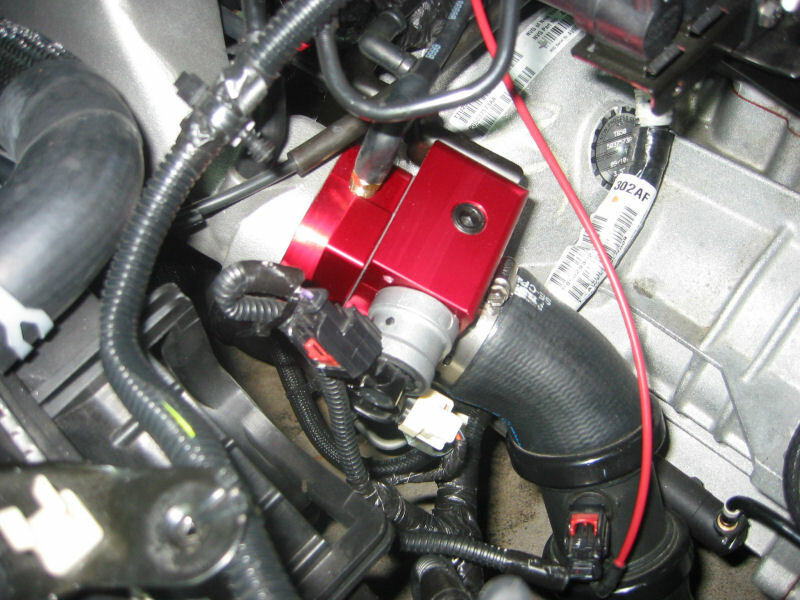 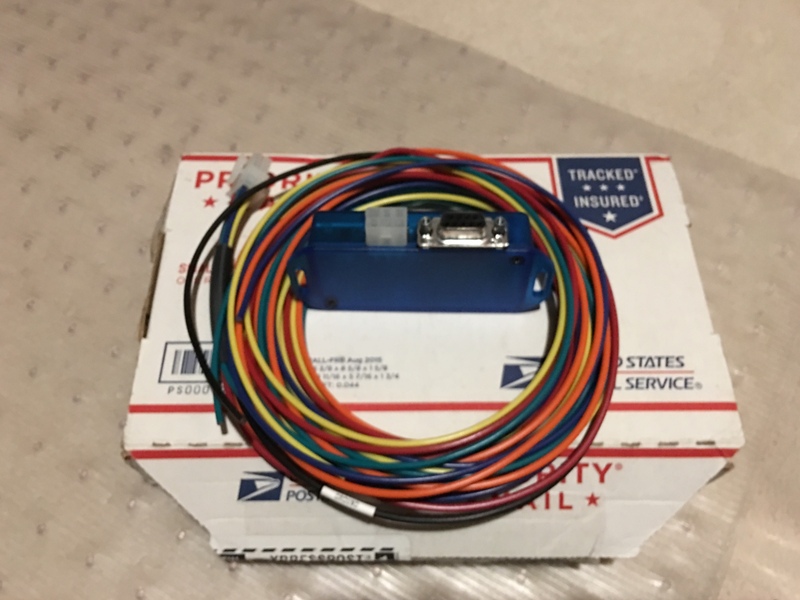 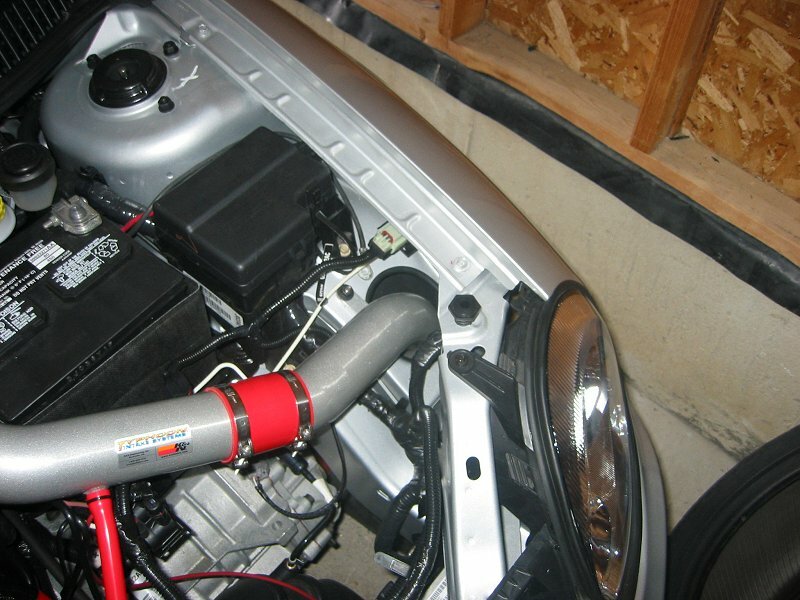 N2MB Performance Boost Box installed. 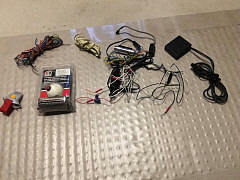 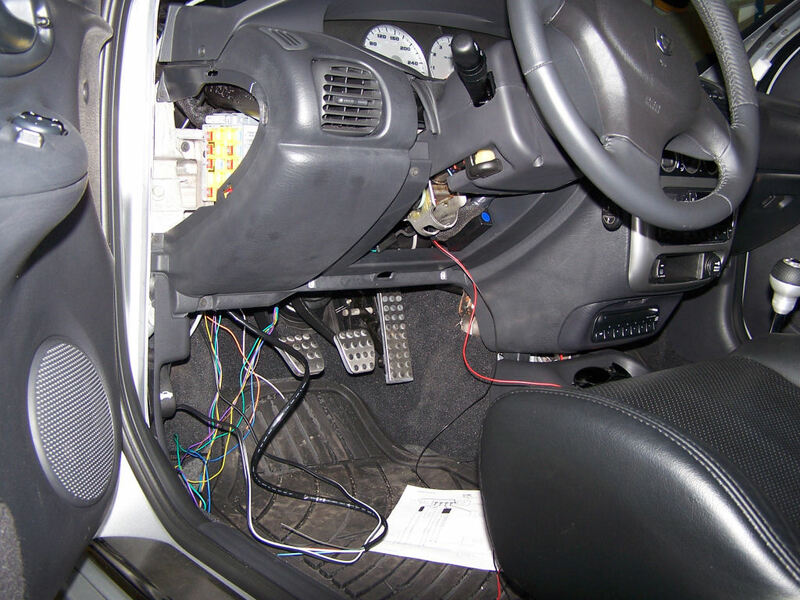 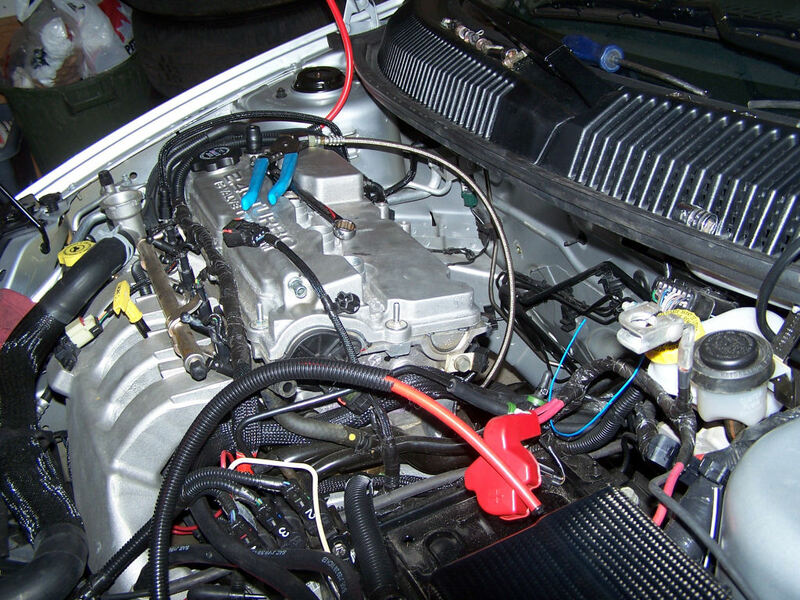 Removed DTEC Fuel Computer, wiring and accessories. 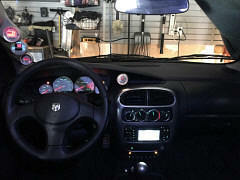 Current interior pics, TWM Performance shift knob reinstalled..
DEPO LED taillights with 20% taillight tint installed. 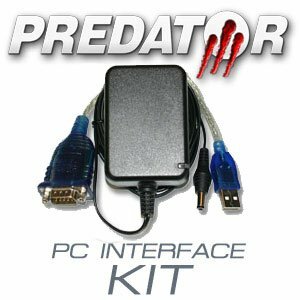 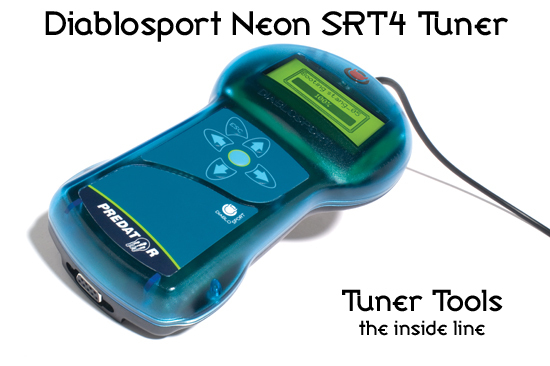 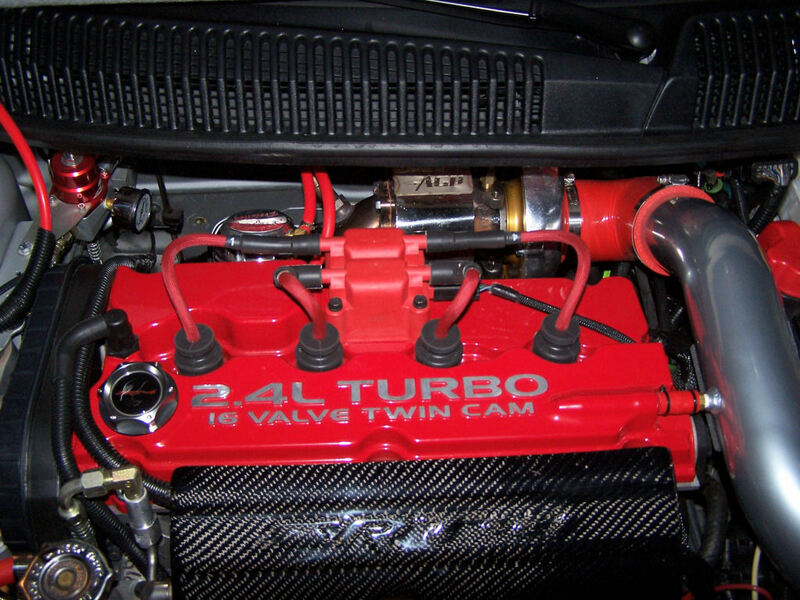 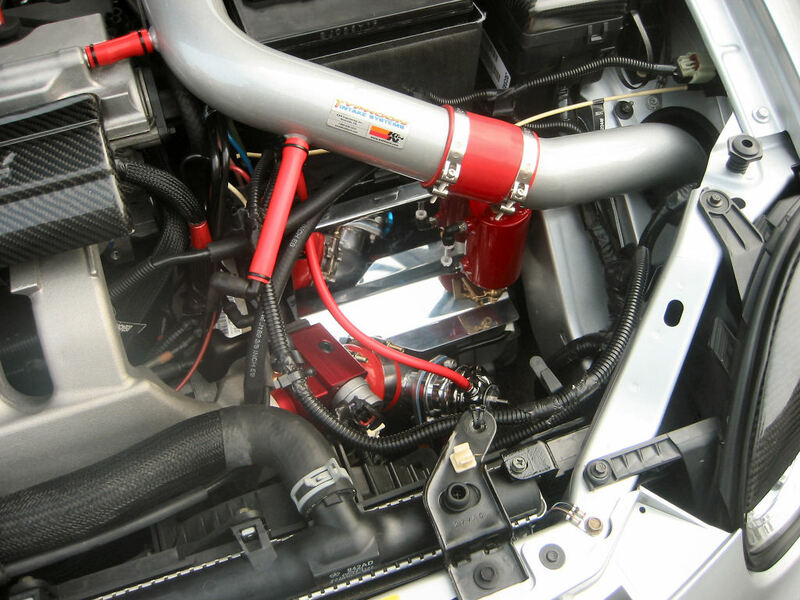 Diablosport Predator U7134 Tuner with AGP Turbo Performance tune installed. 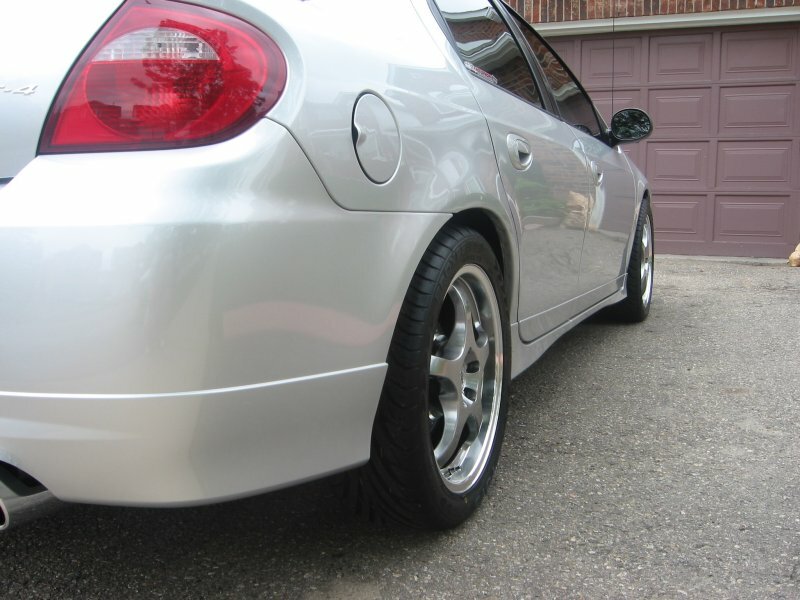 Full Vehicle pics with Tein SSP Coilovers, rear bumper valance painted, CF exhaust cut outs installed. 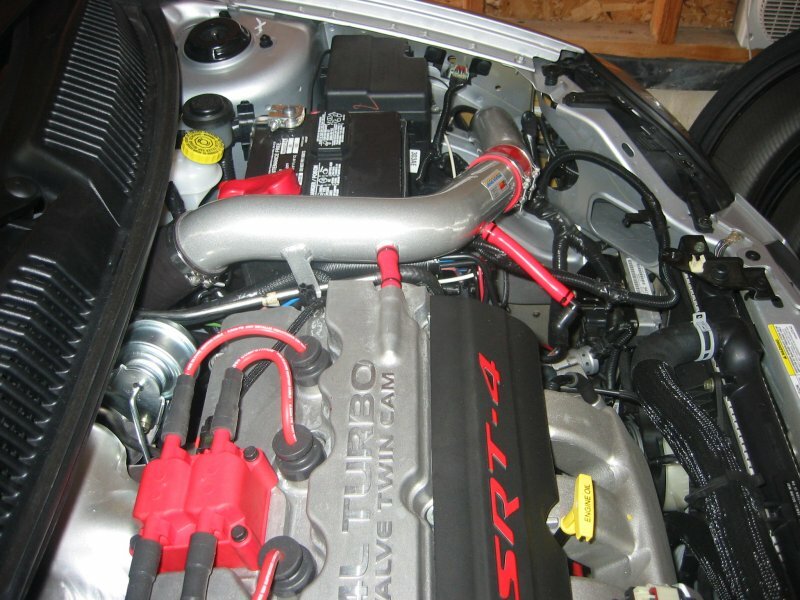 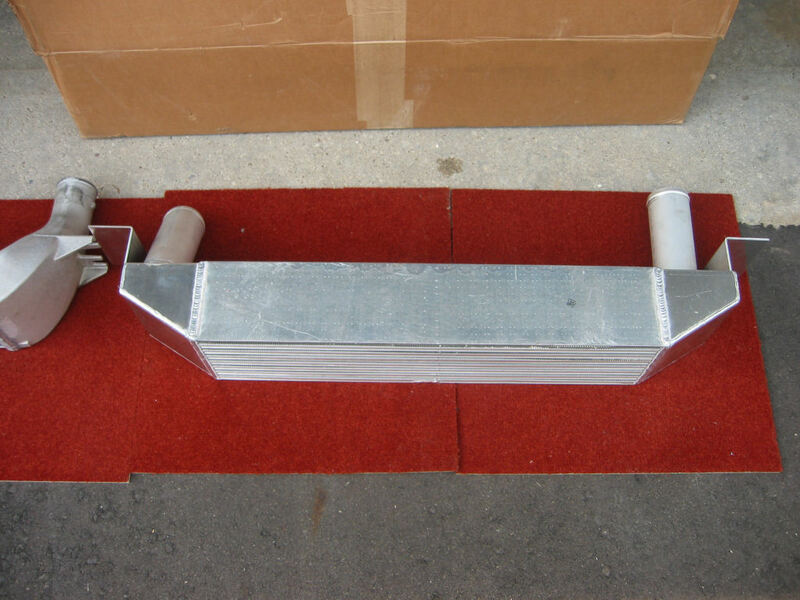 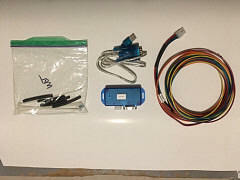 stage up boost on Turbosmart Eboost2 boost controller. 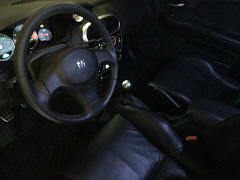 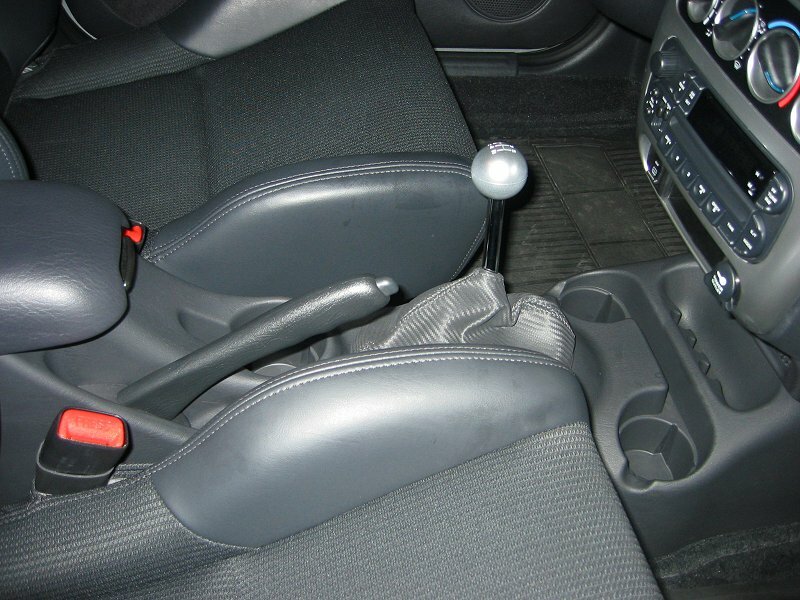 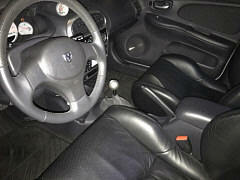 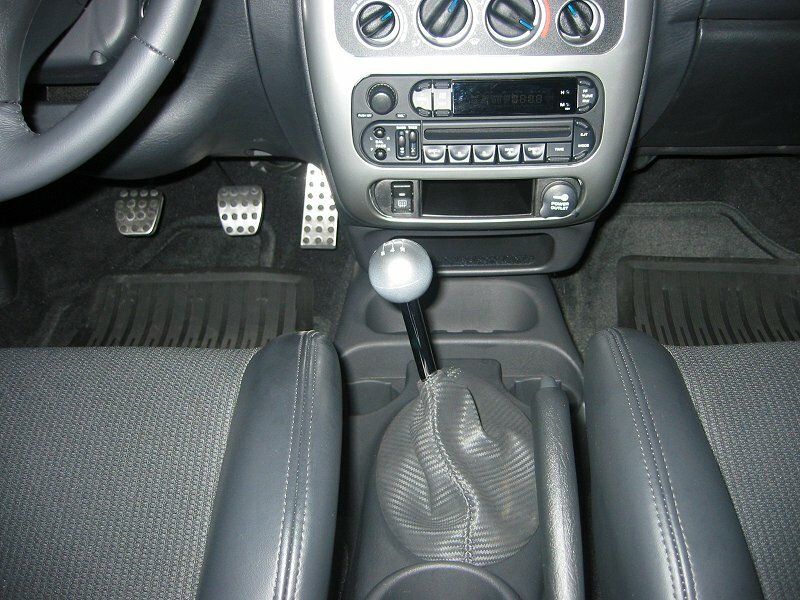 TWM Performance short shifter and weighted shift knob installed. 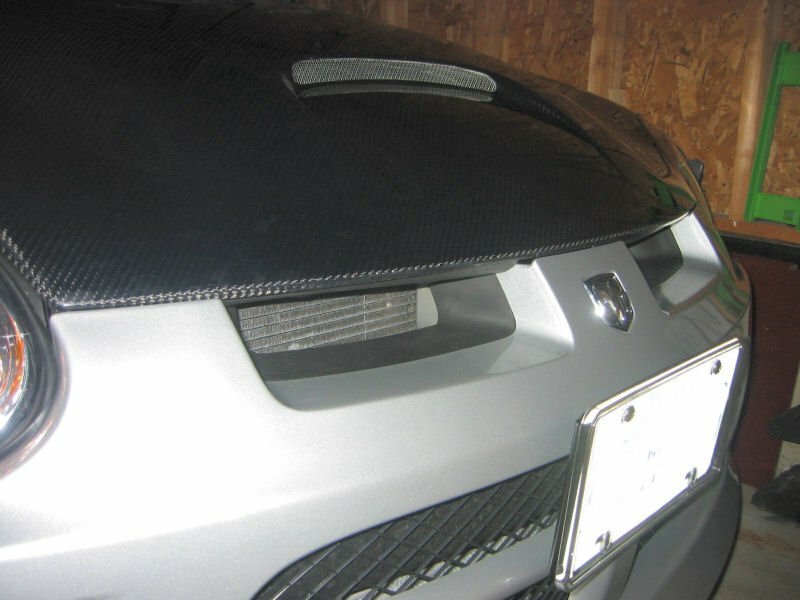 Seibon Carbon Fibre Trunk Lid installed with C-Wings CF OEM style Wing. 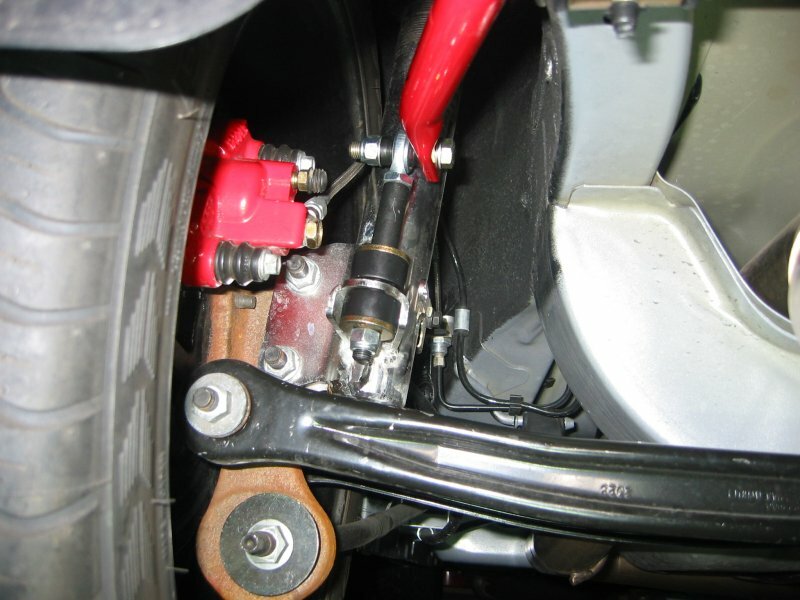 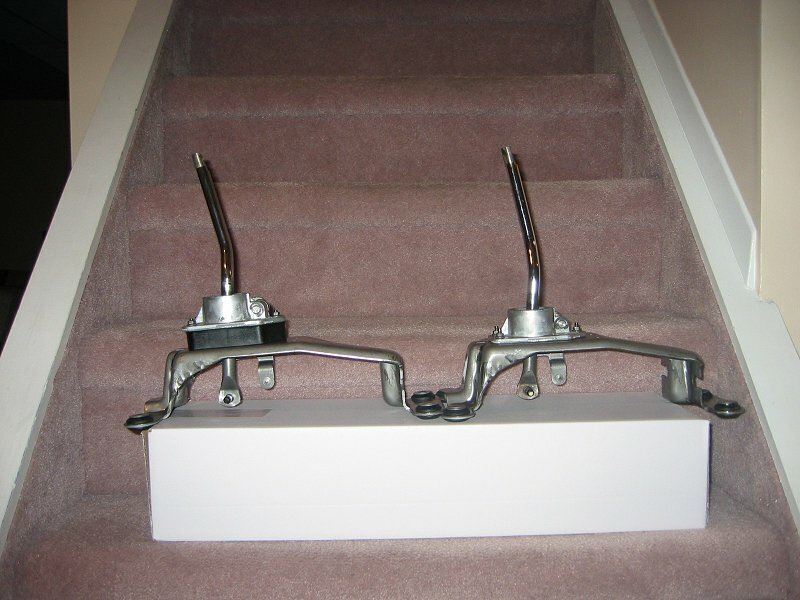 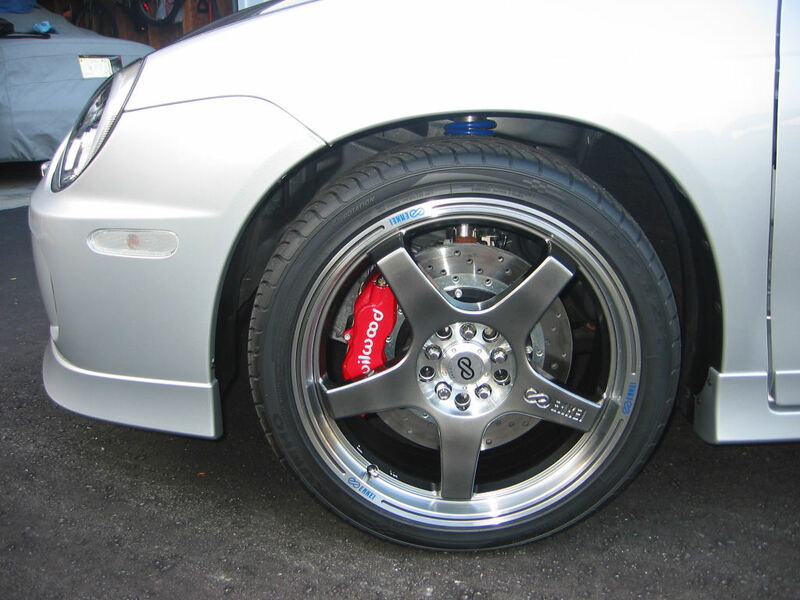 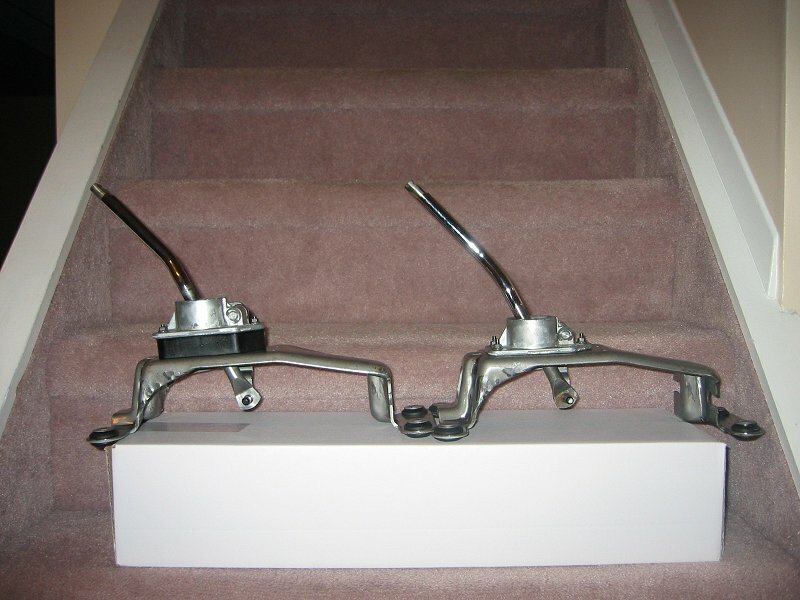 TEIN Super Street Coilover Suspension Kit with front pillow ball upper mounts, installed. 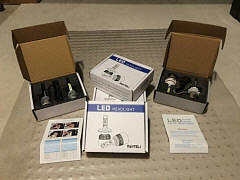 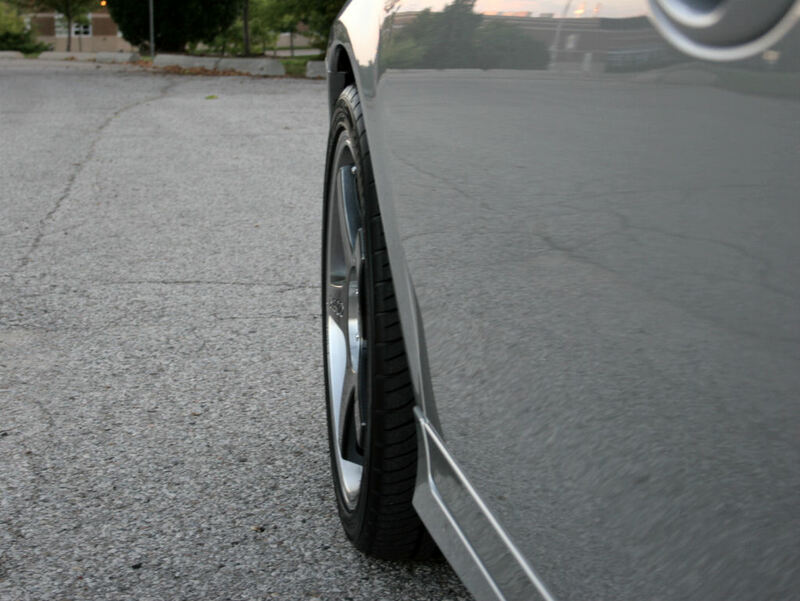 Current Pics. 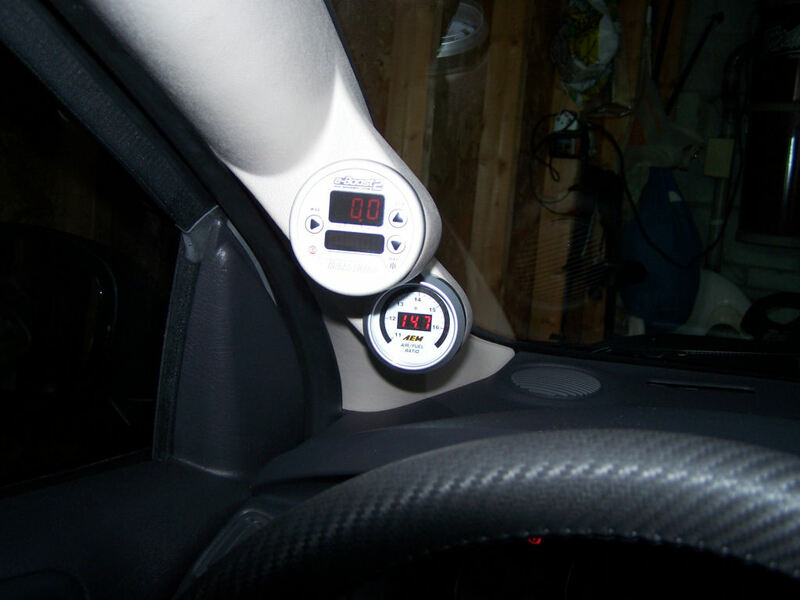 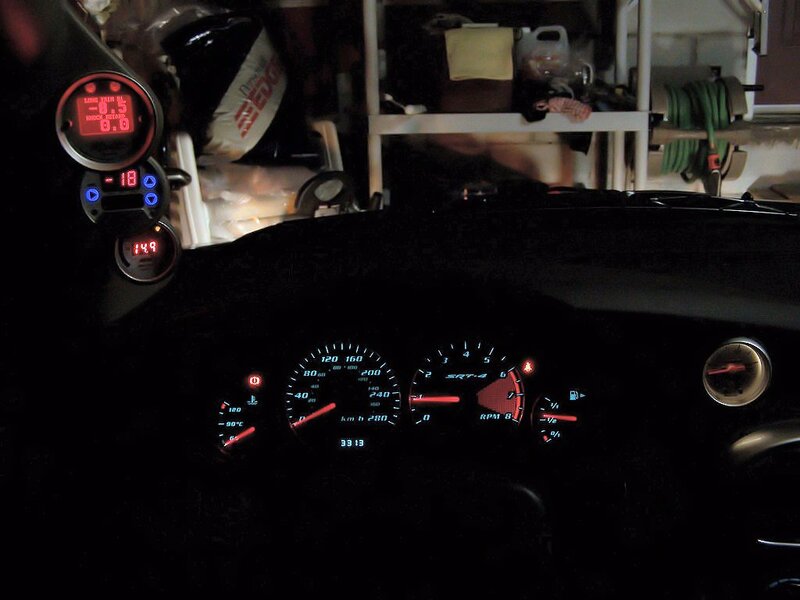 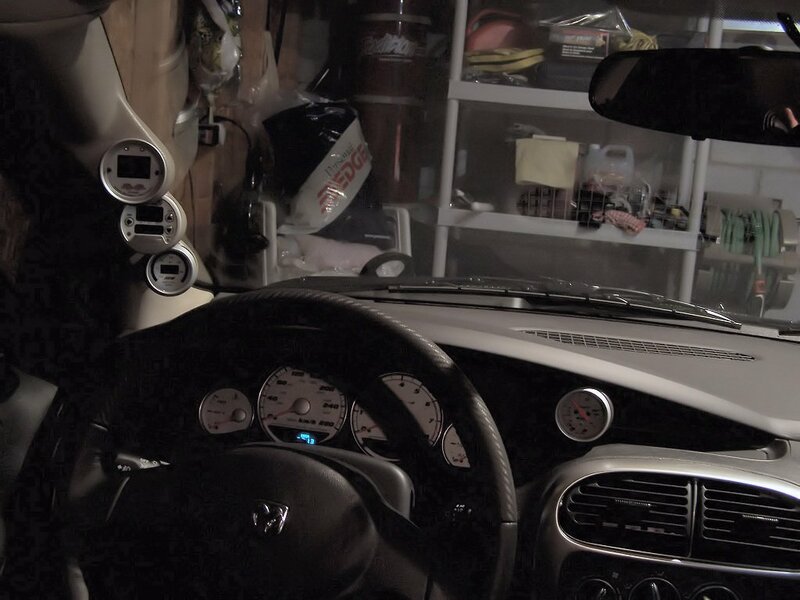 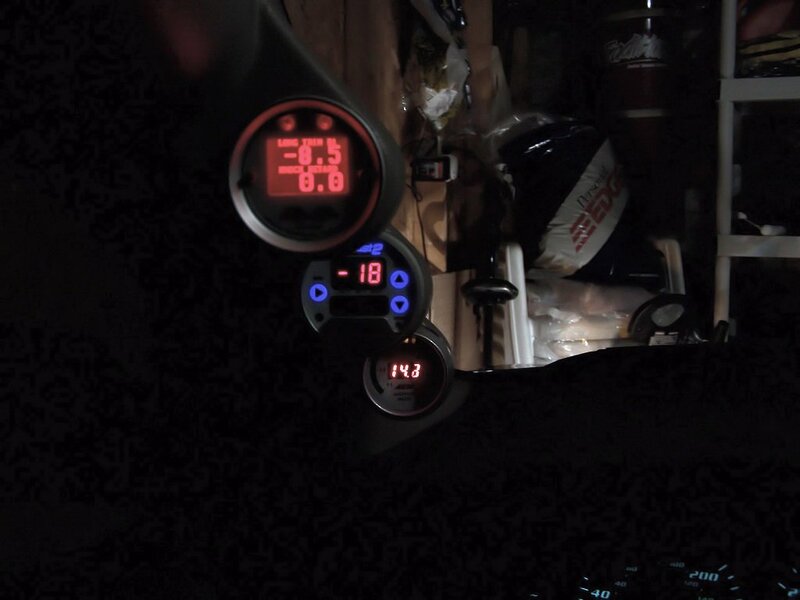 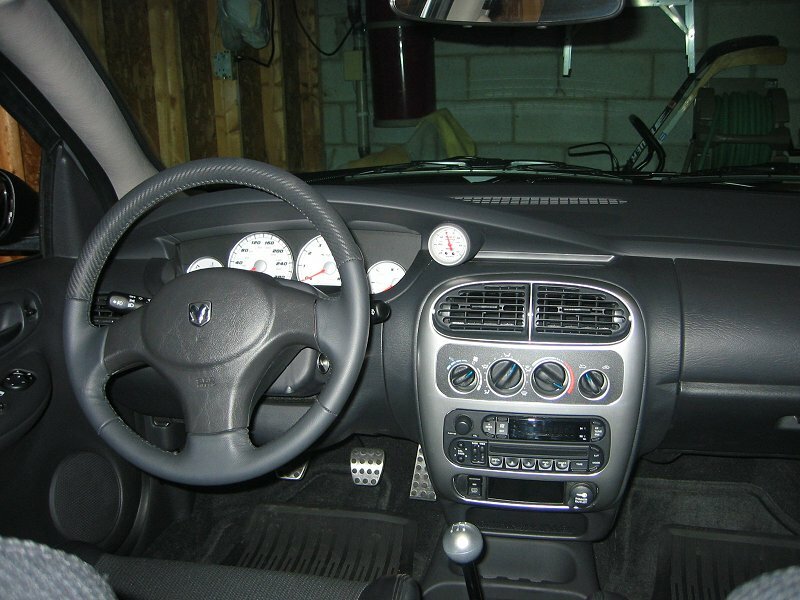 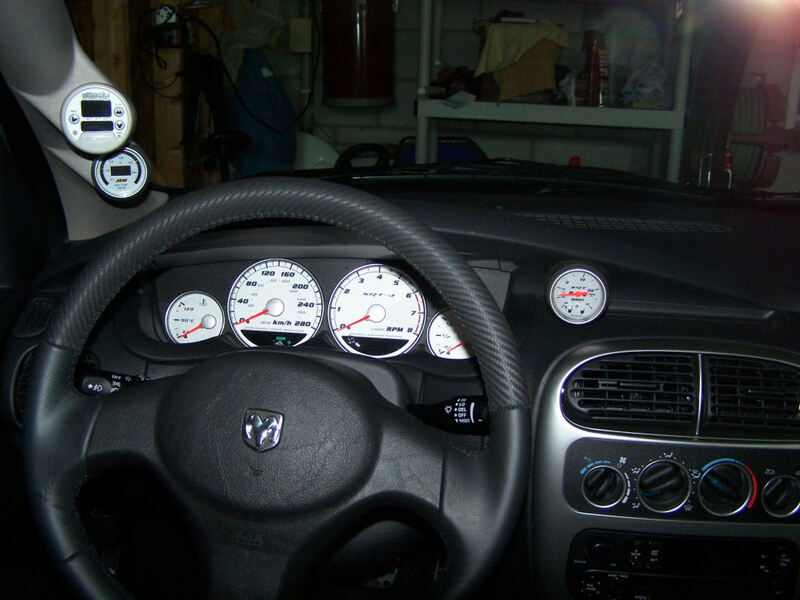 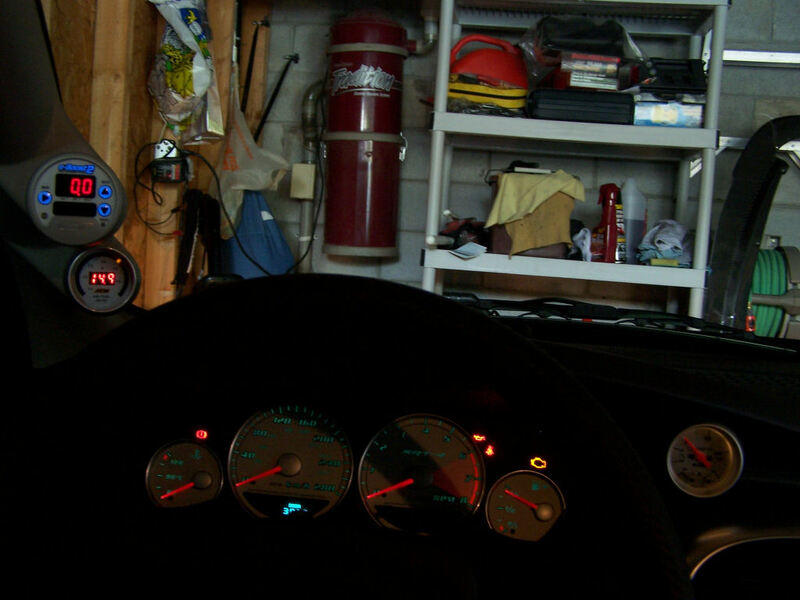 ProParts triple gauge pod, Greddy Remote Switch Installed. 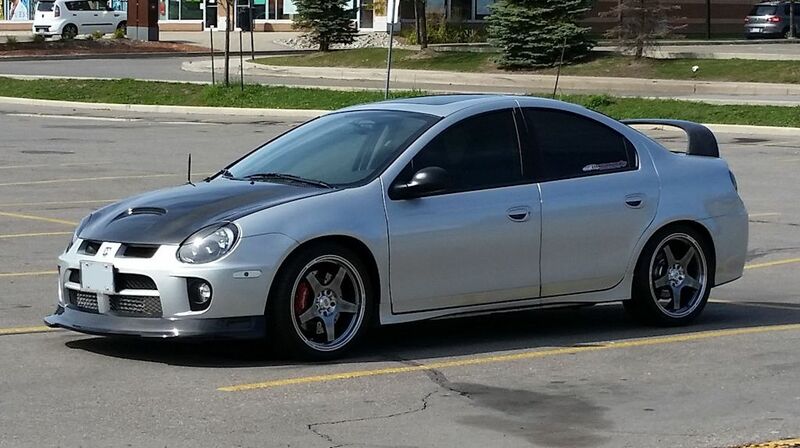 Current exterior pics. 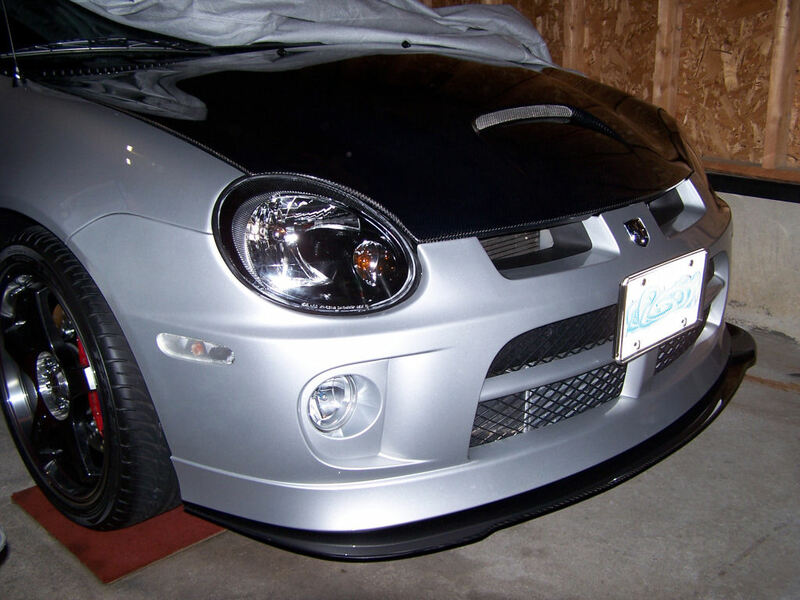 Kaminari CF front spoiler installed. 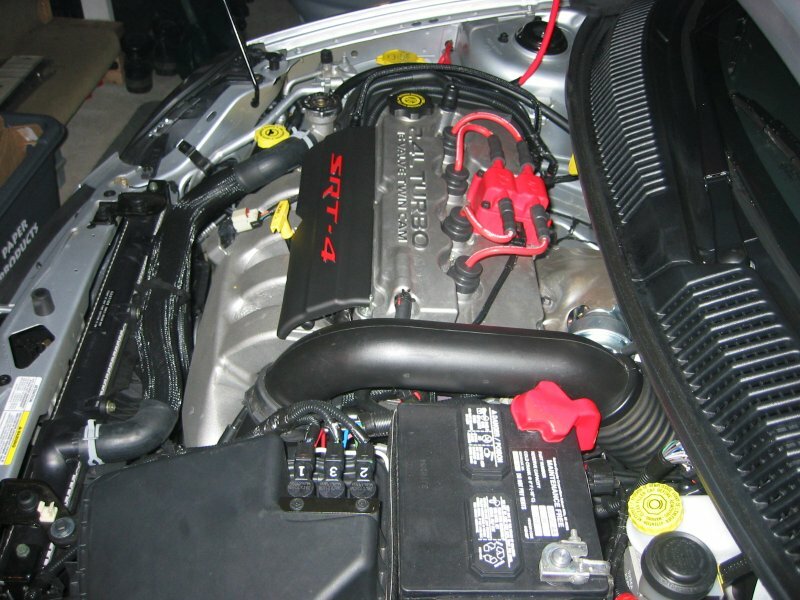 A few updated pics of the engine bay. 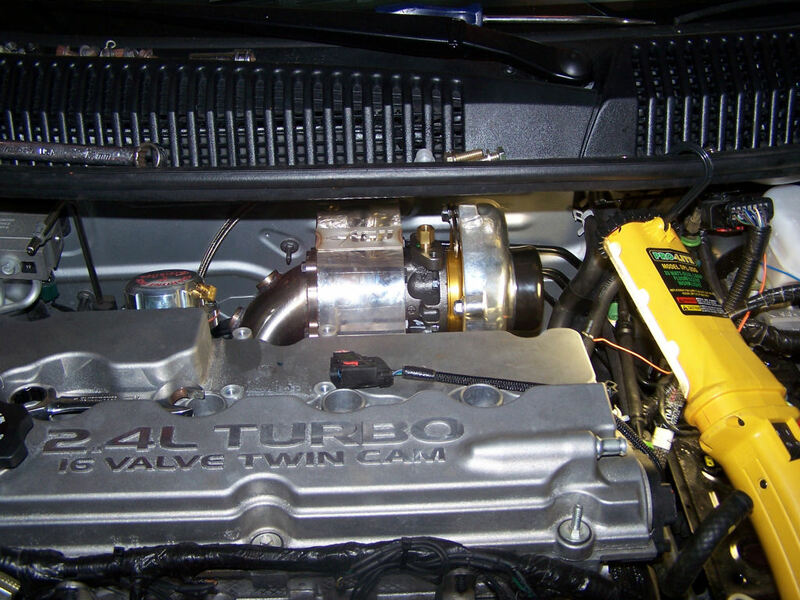 AGP Turbo 50 Trim Turbo Kit Installation. 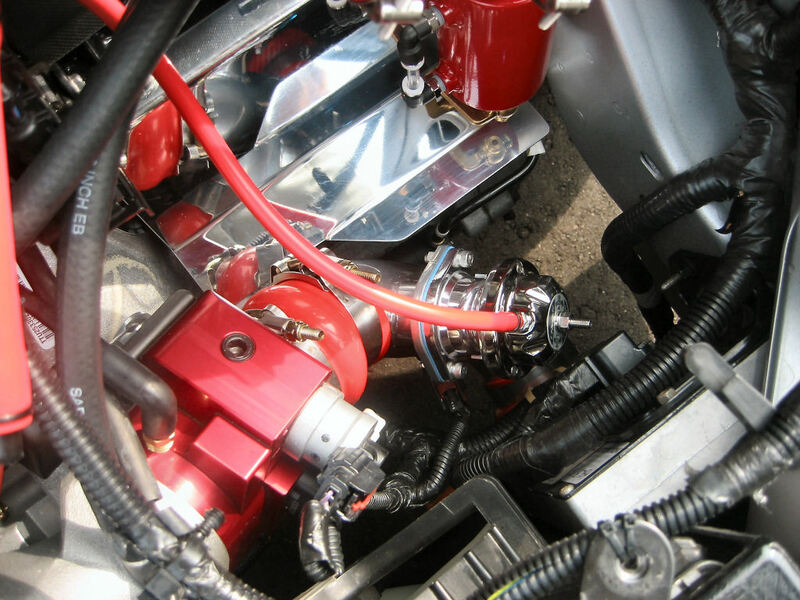 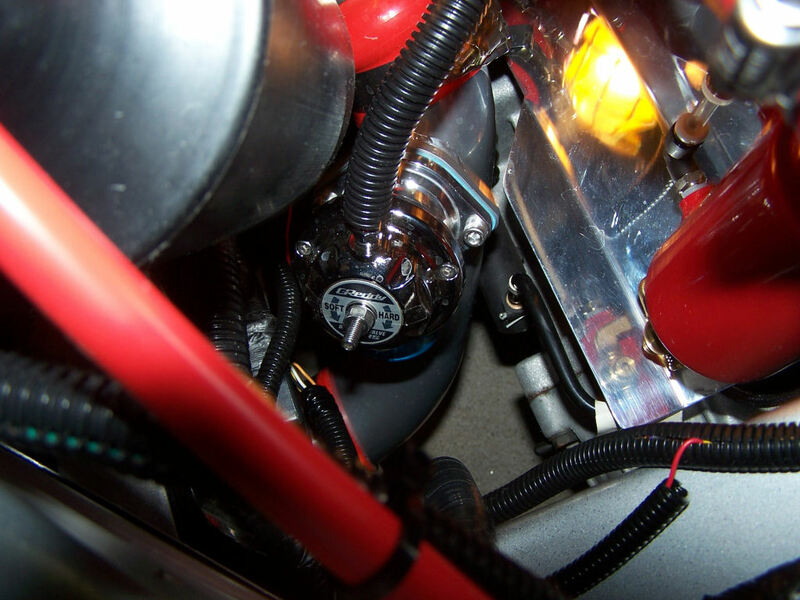 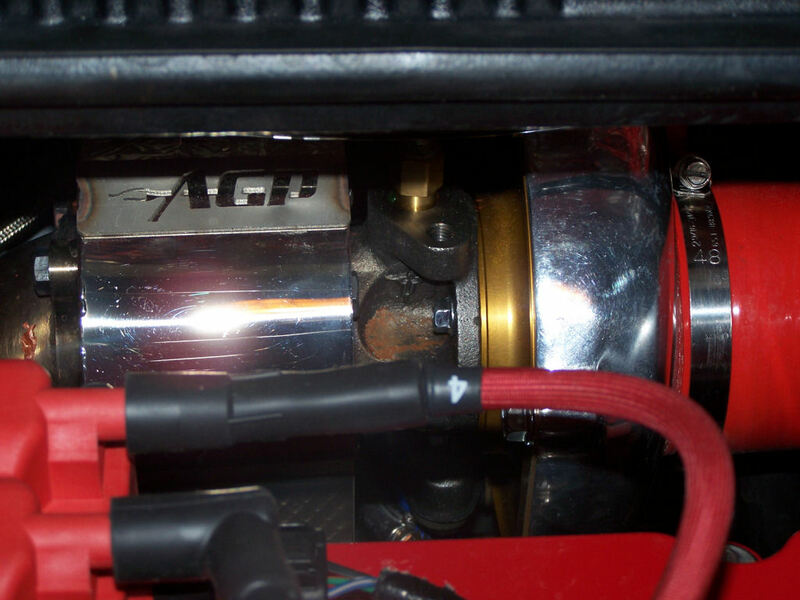 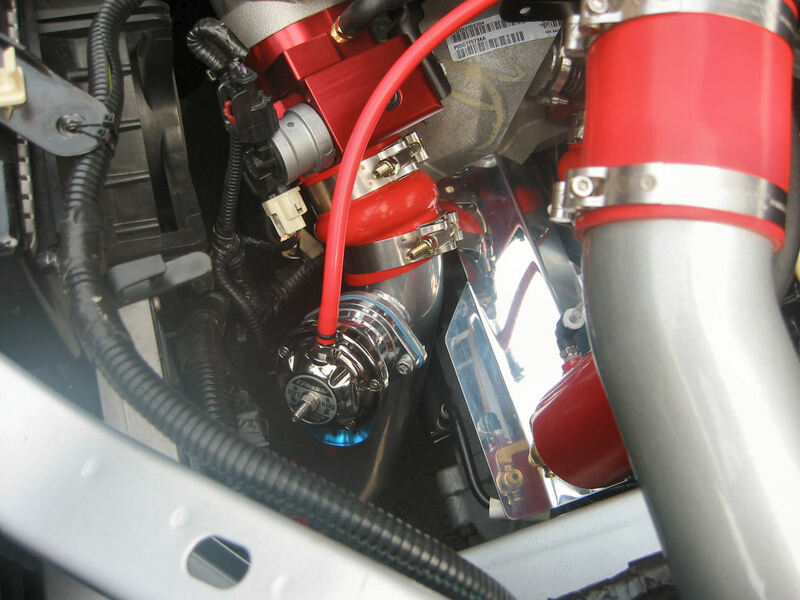 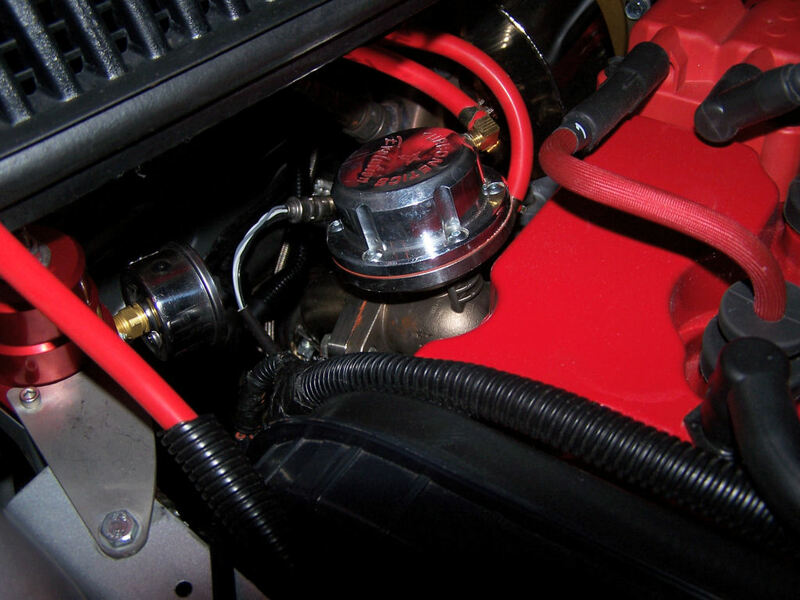 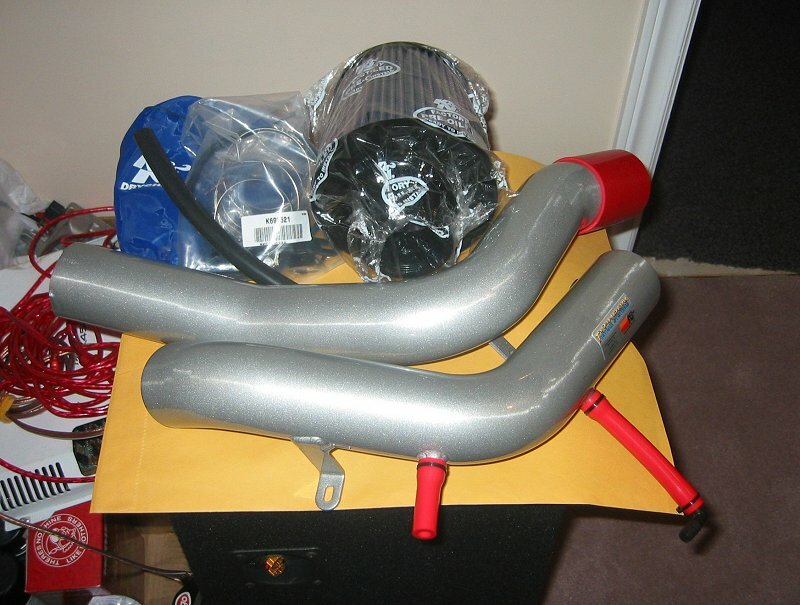 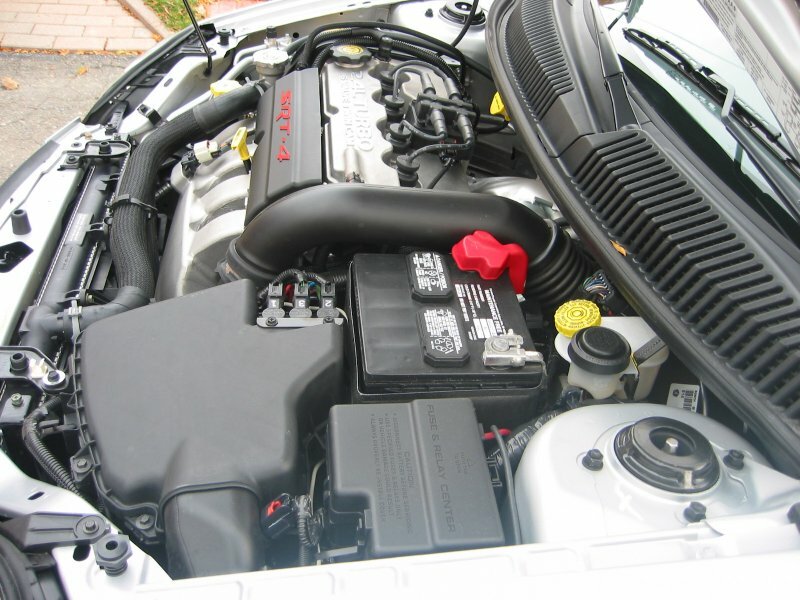 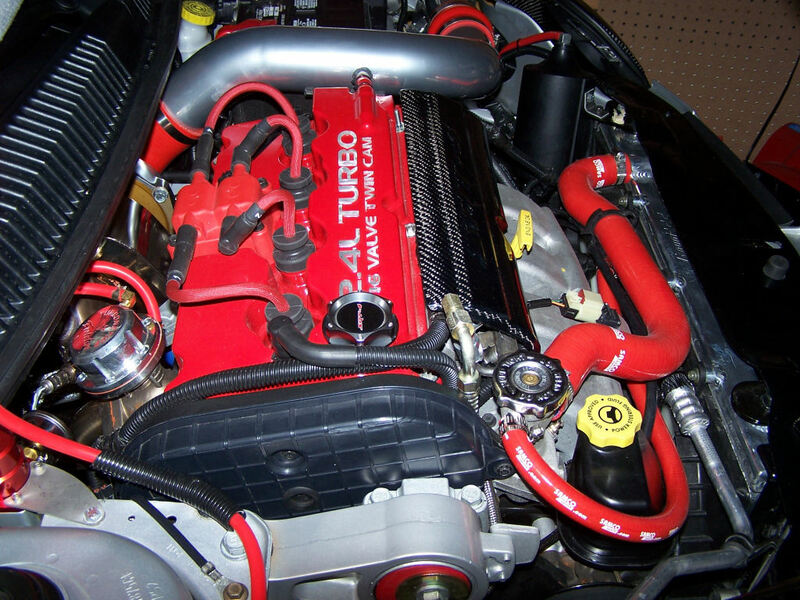 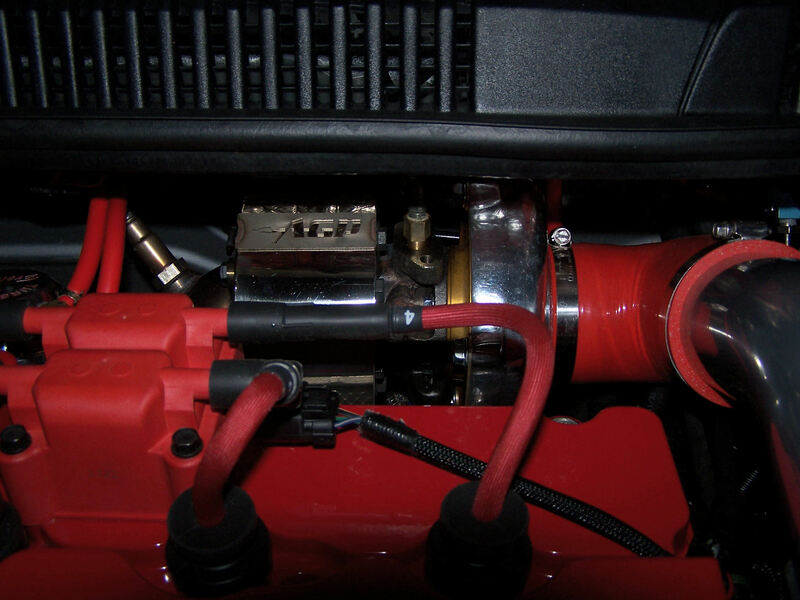 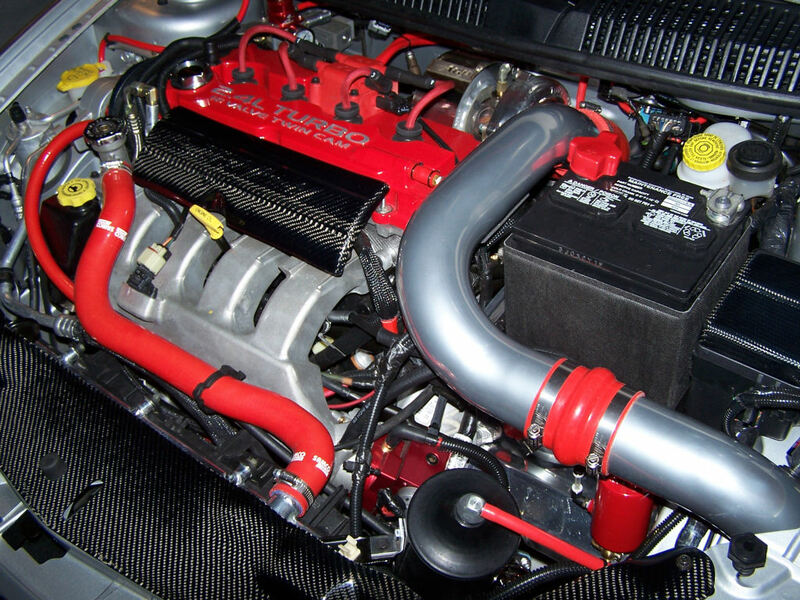 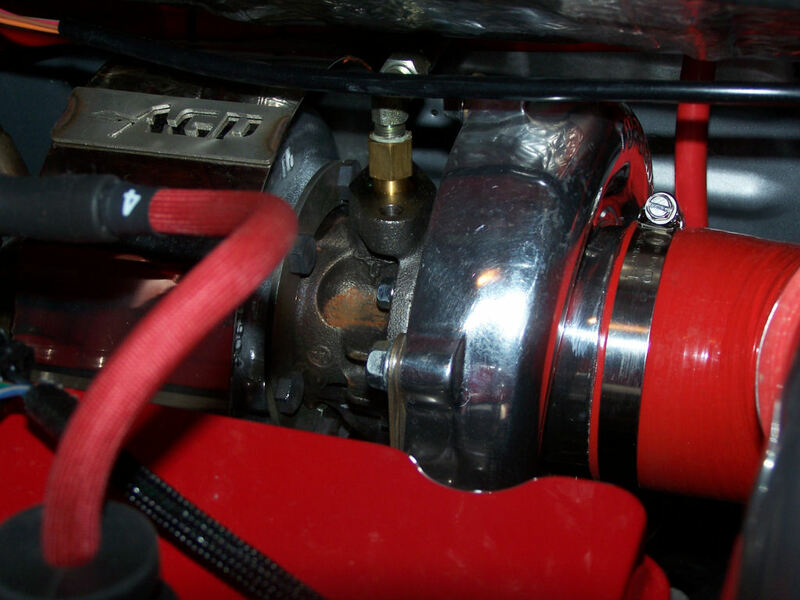 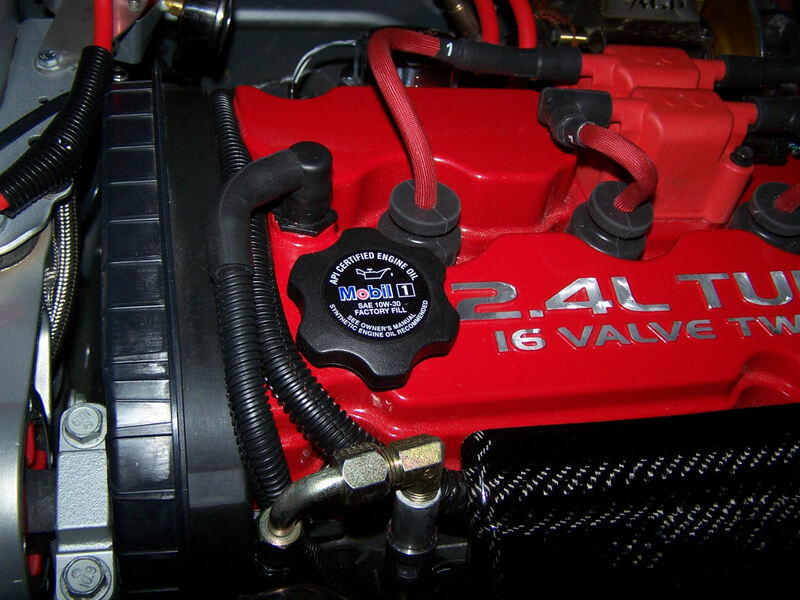 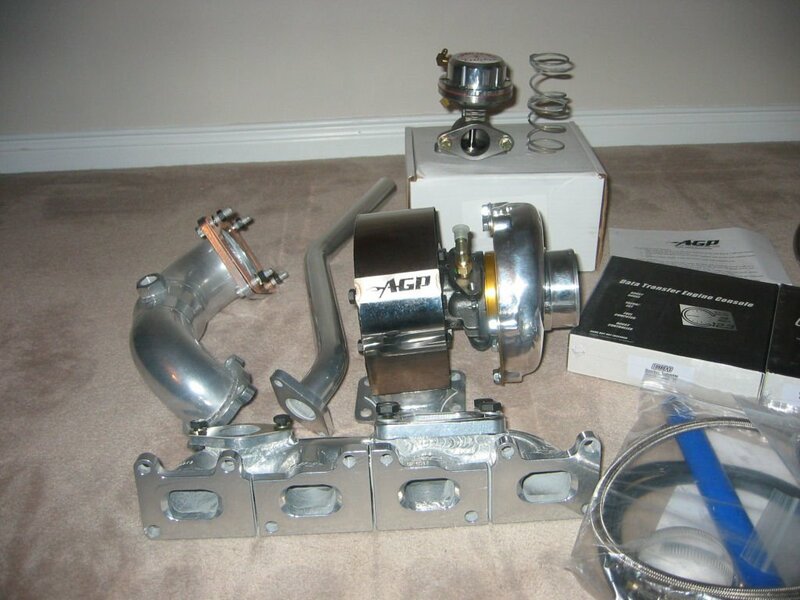 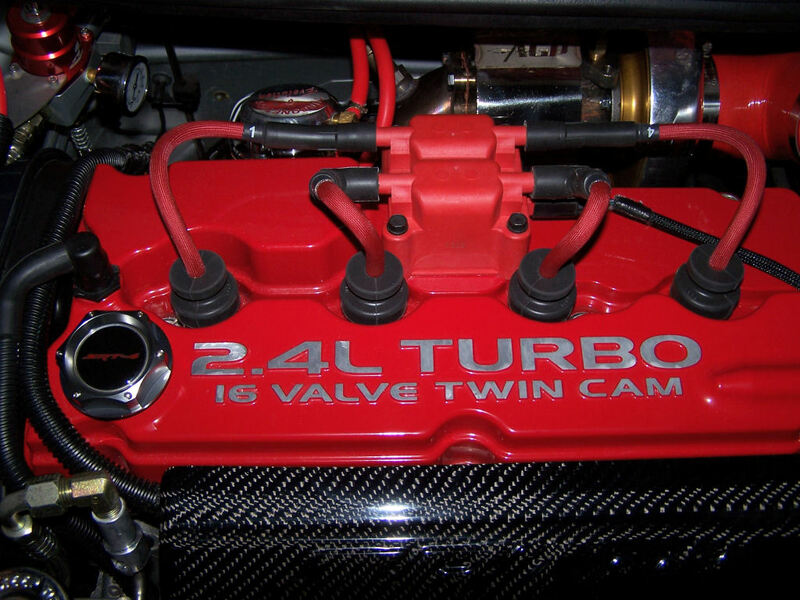 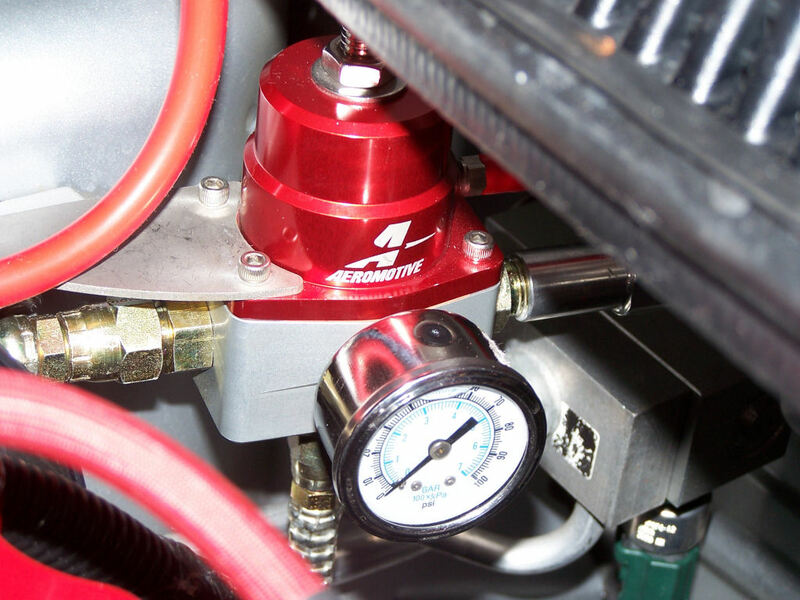 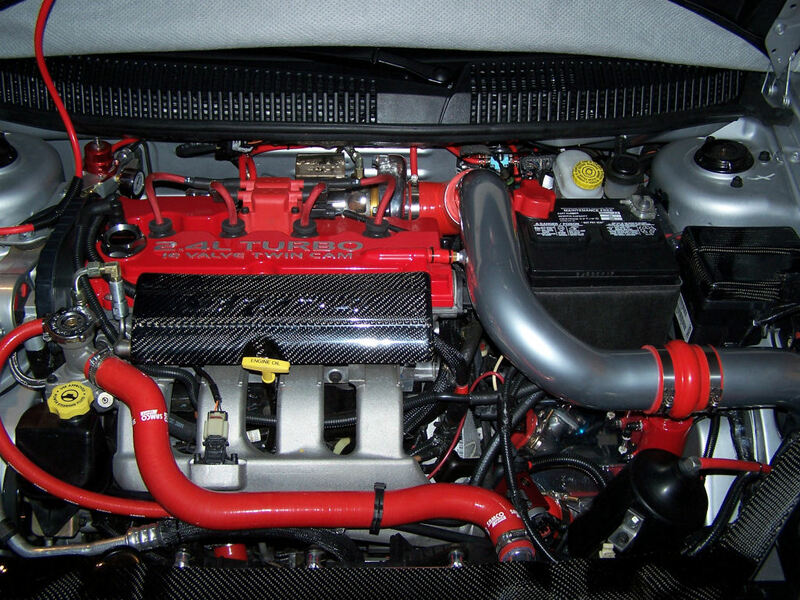 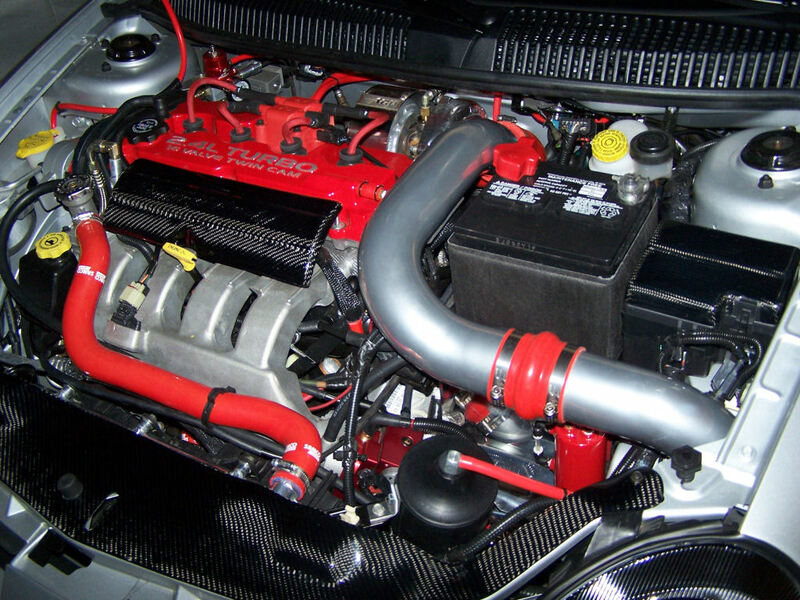 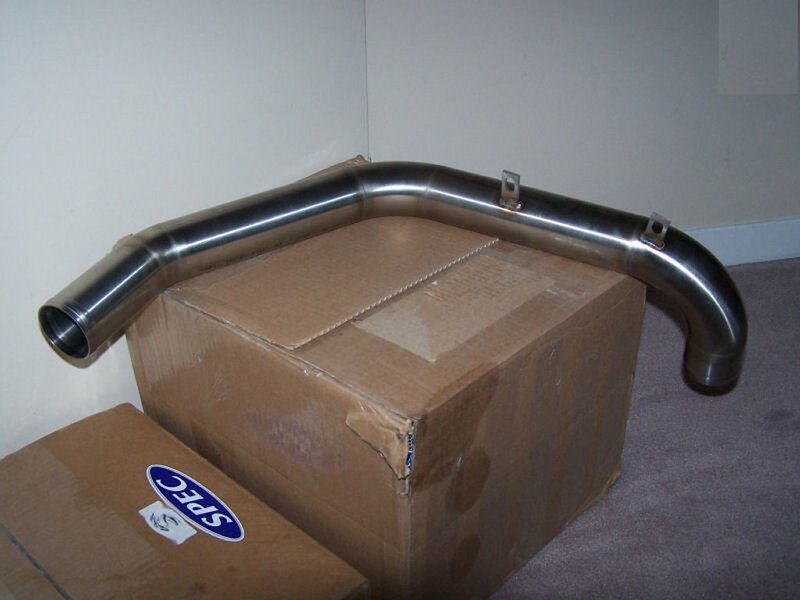 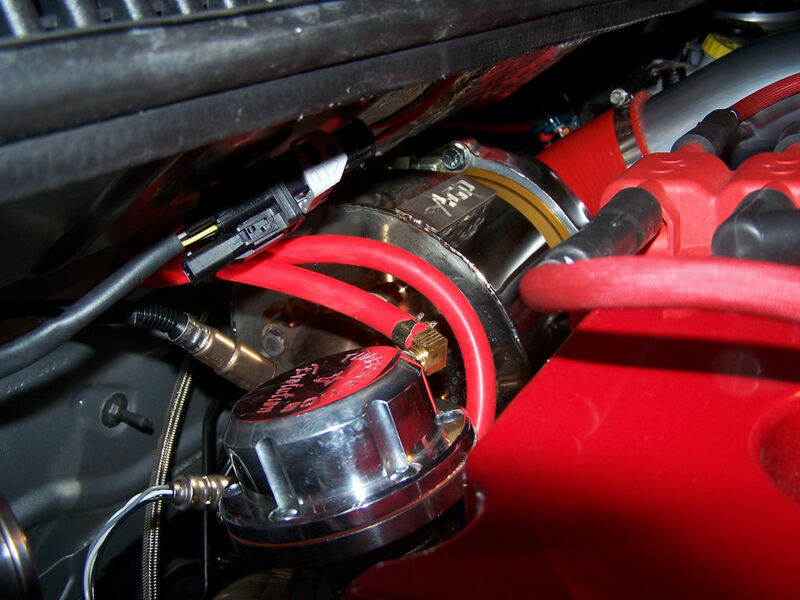 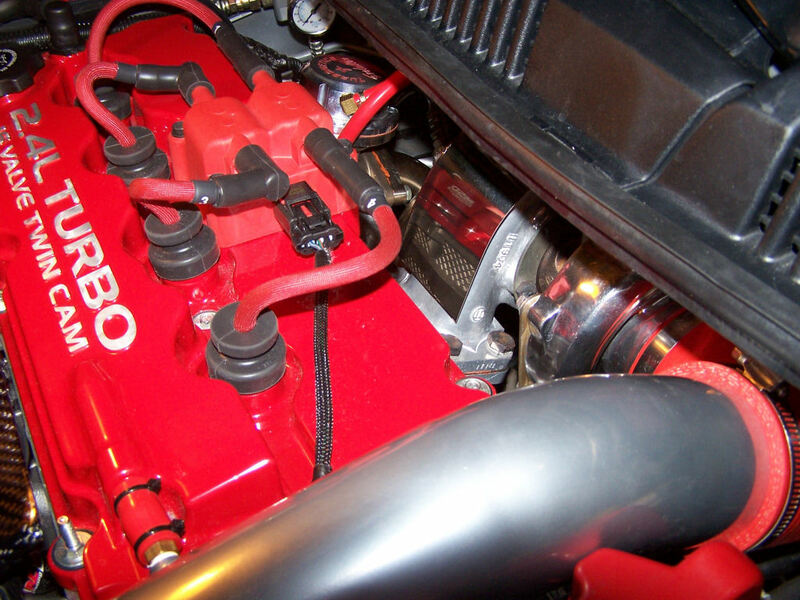 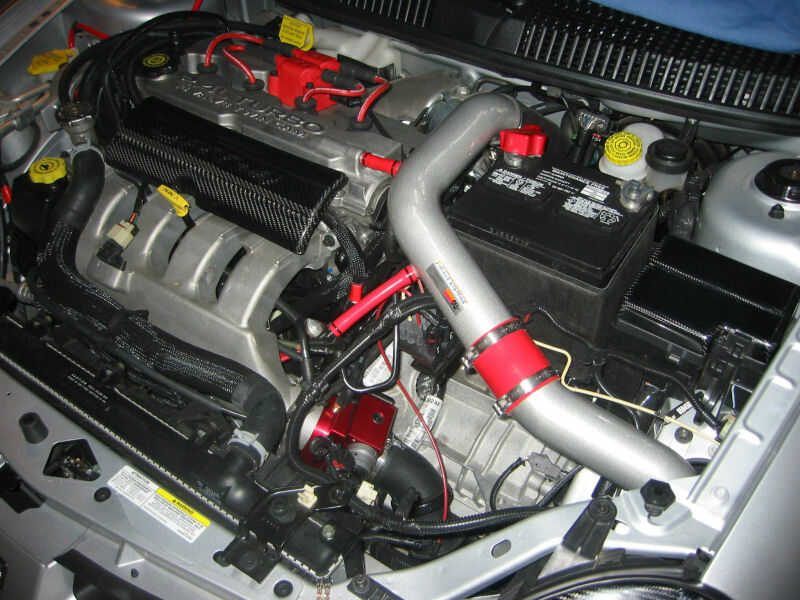 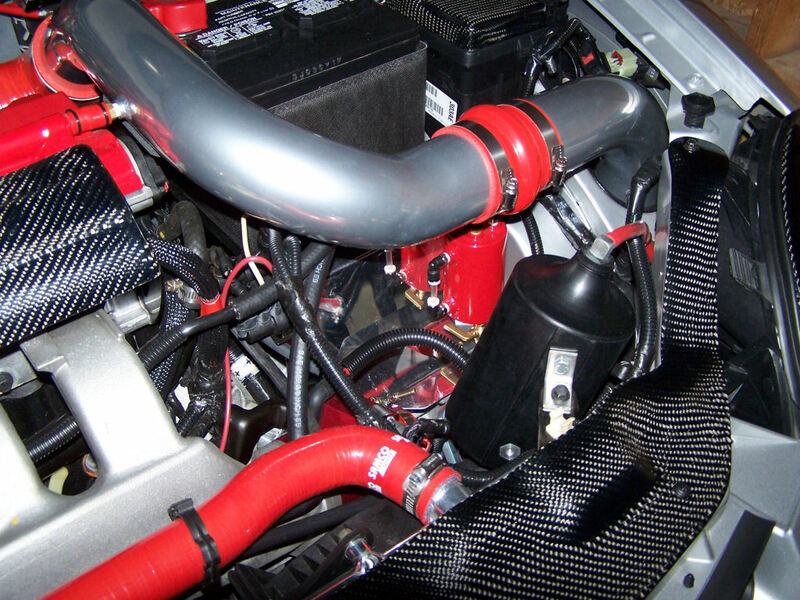 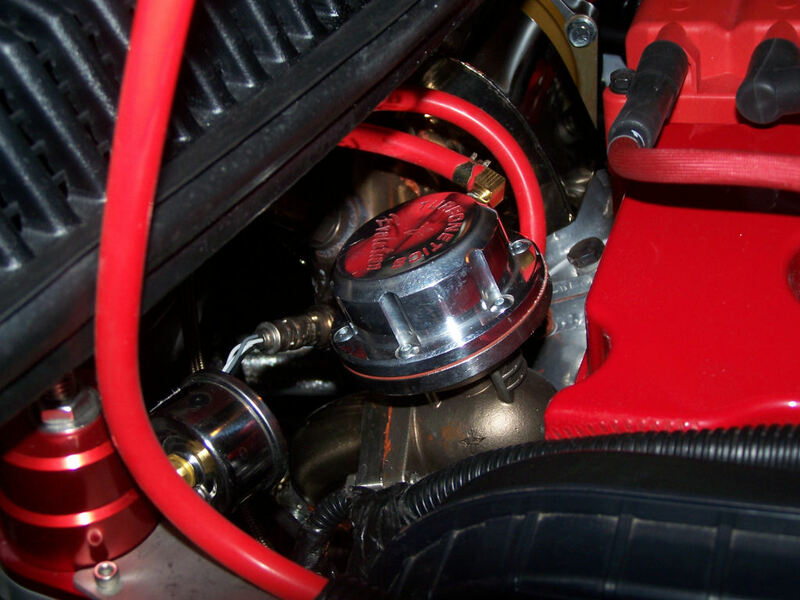 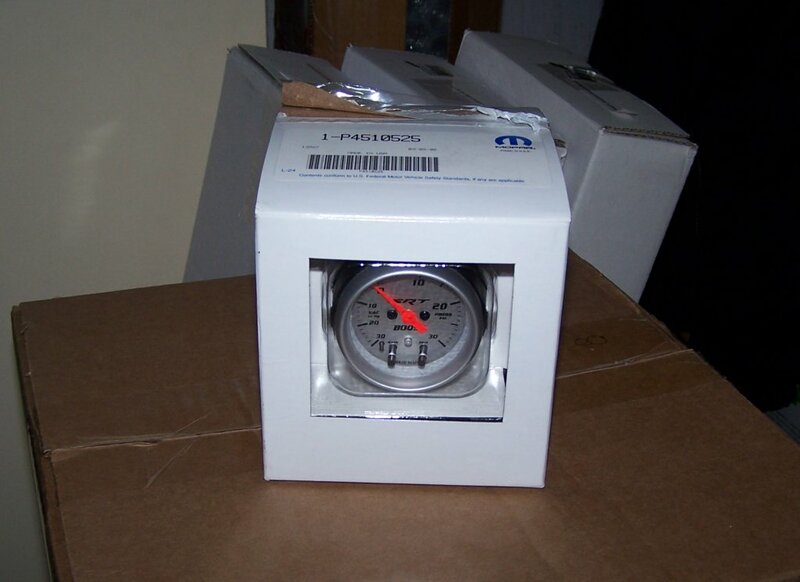 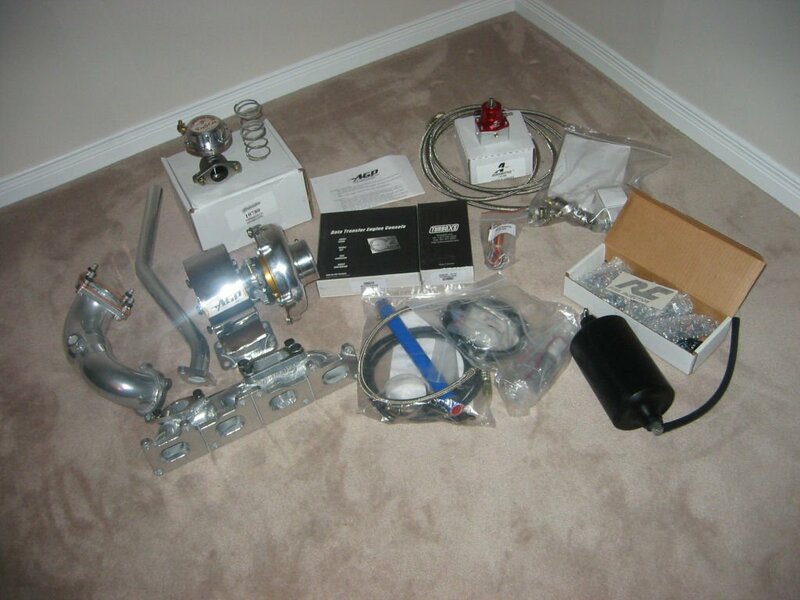 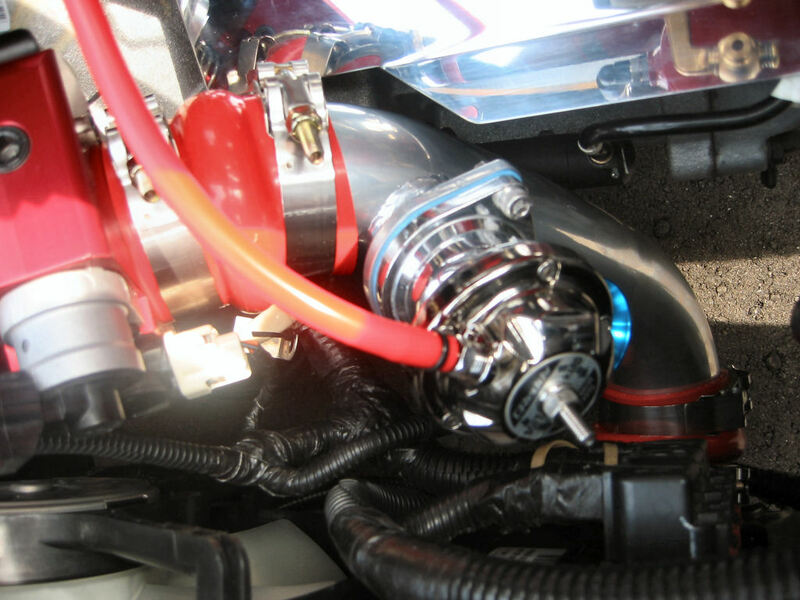 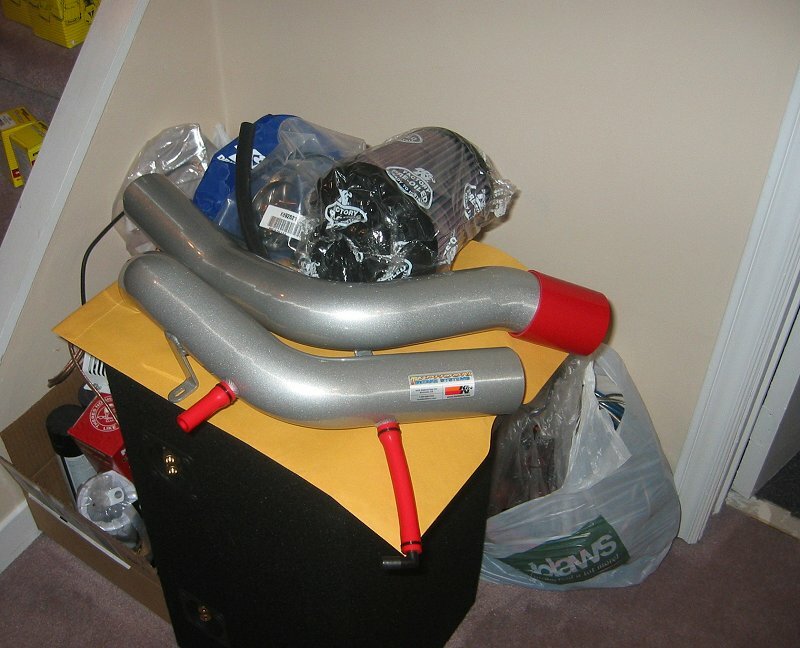 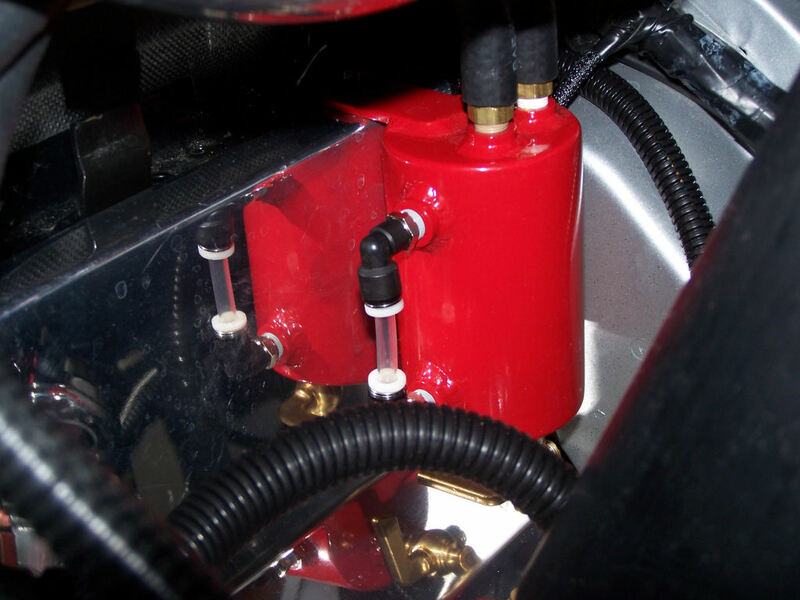 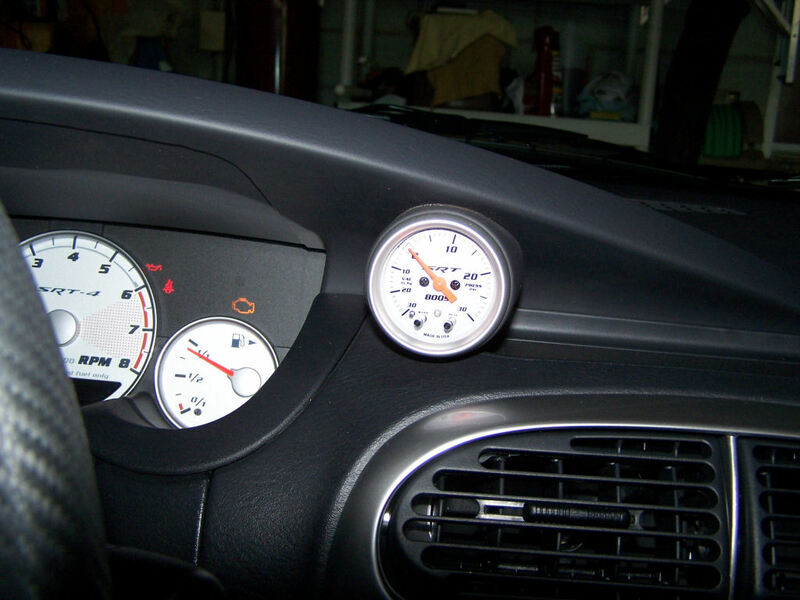 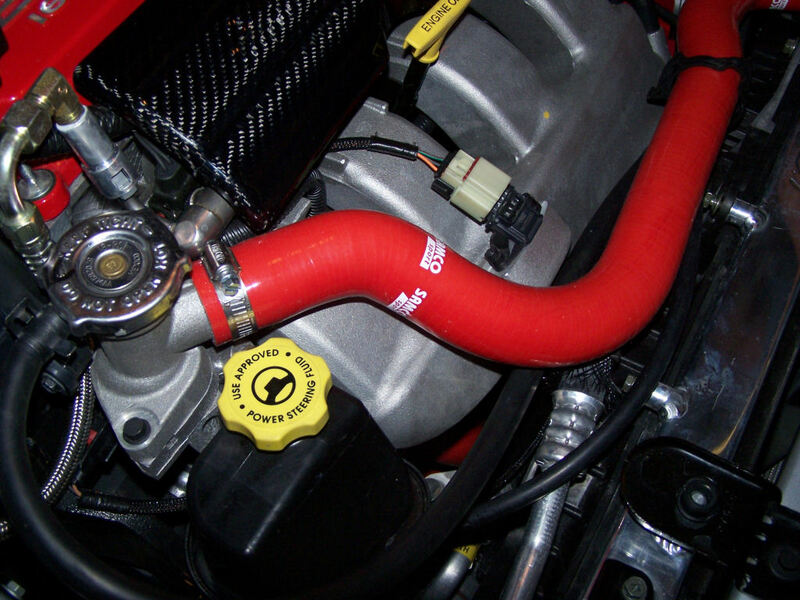 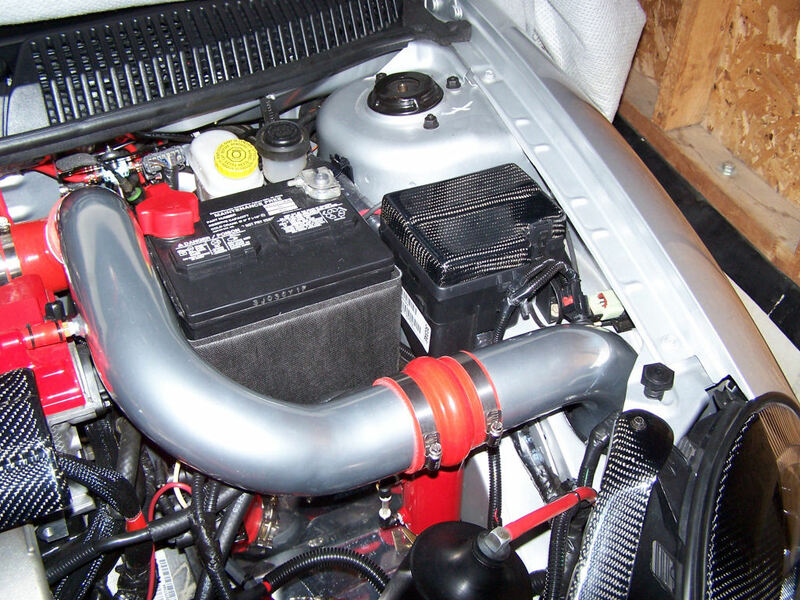 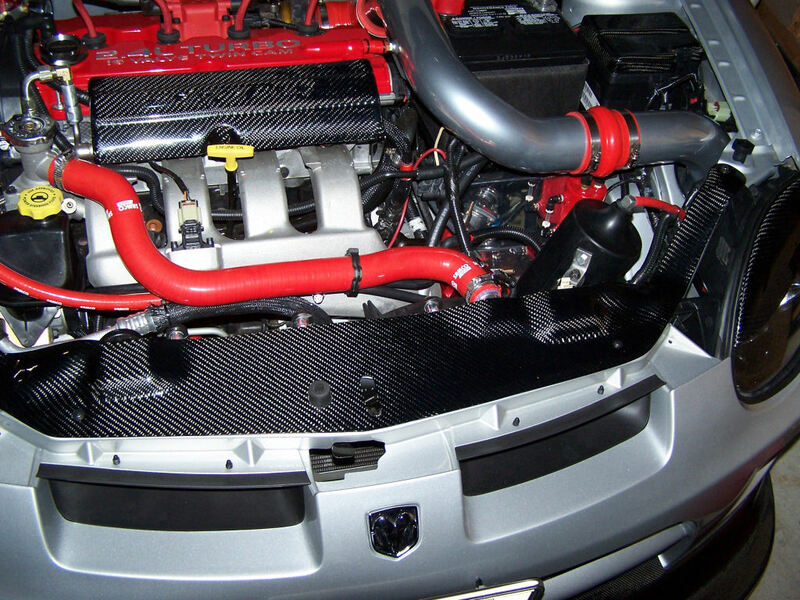 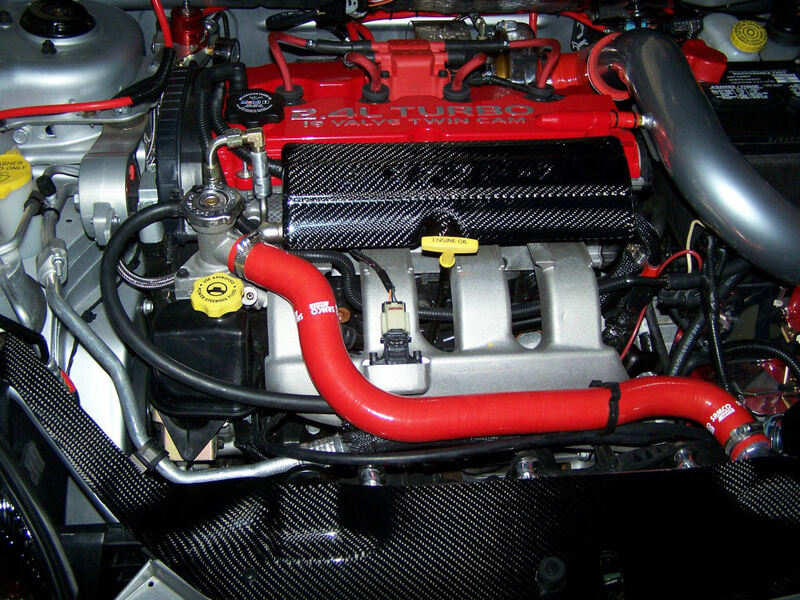 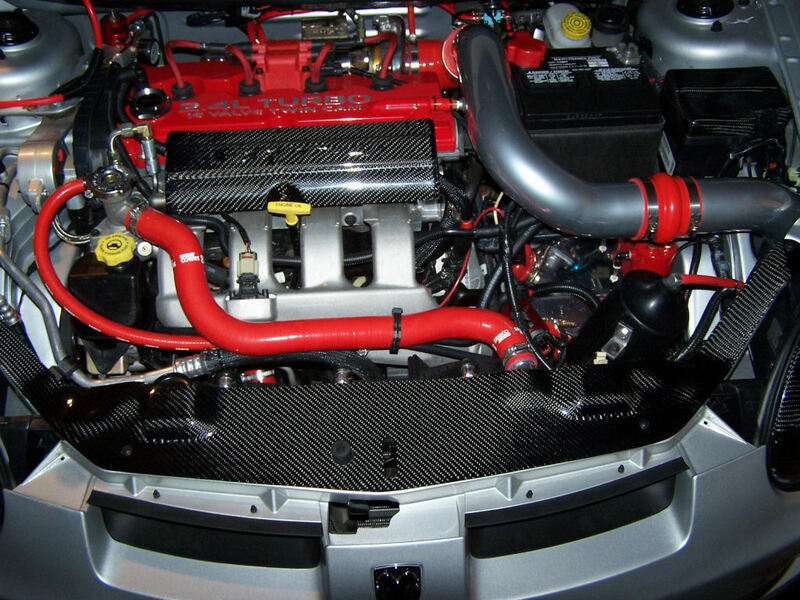 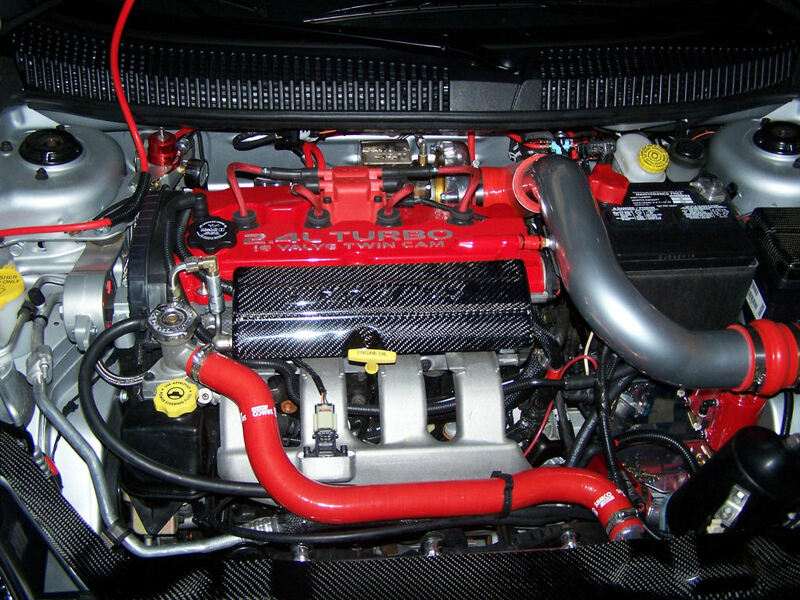 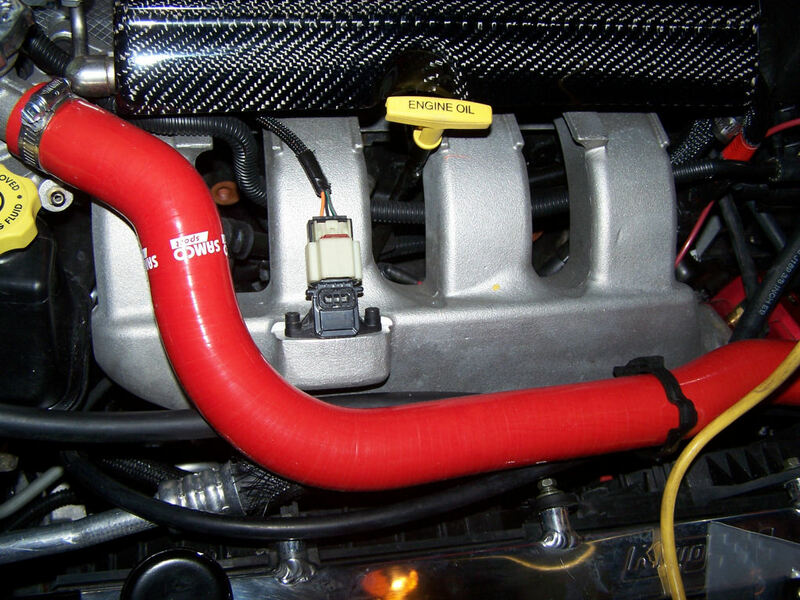 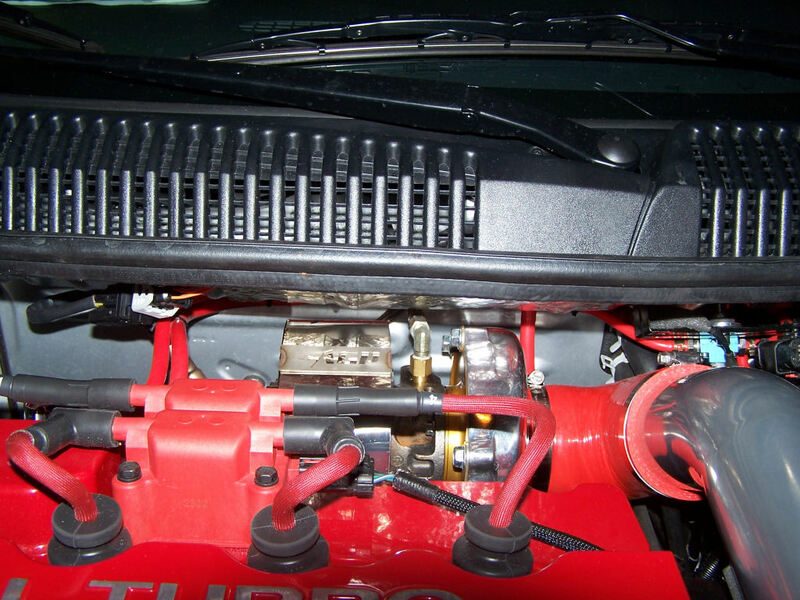 AGP Turbo 50trim kit, Kinetic hot side charge pipe, Mopar 30psi boost gauge. 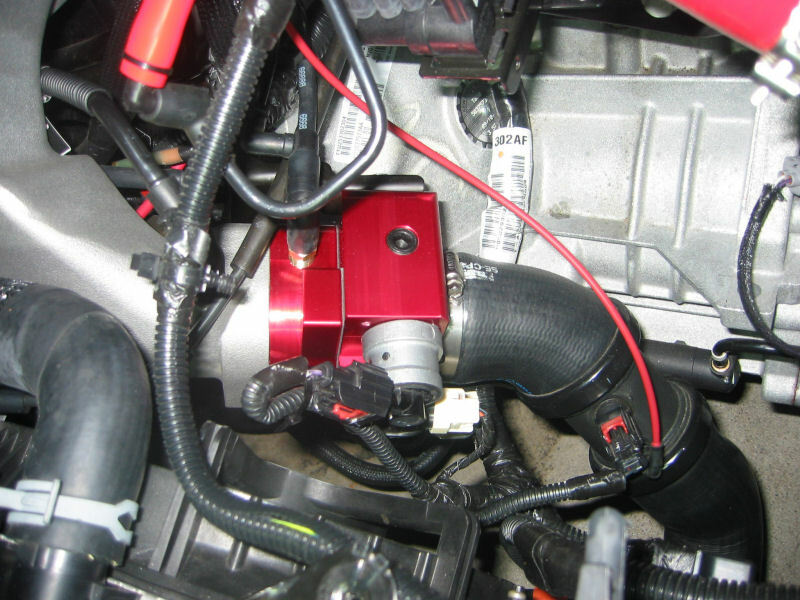 Removal of stock turbo, installation of 50 trim turbo. 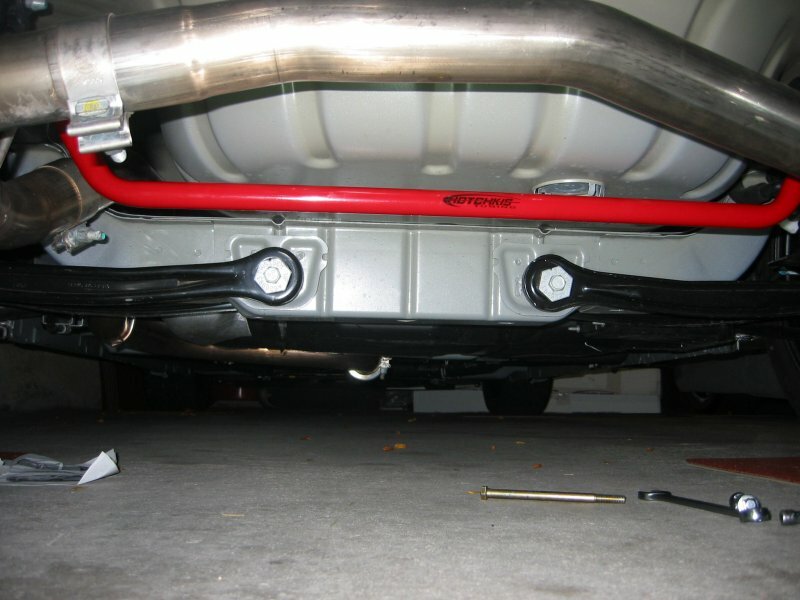 CF trunk with C-Wings CF OEM wing installed. 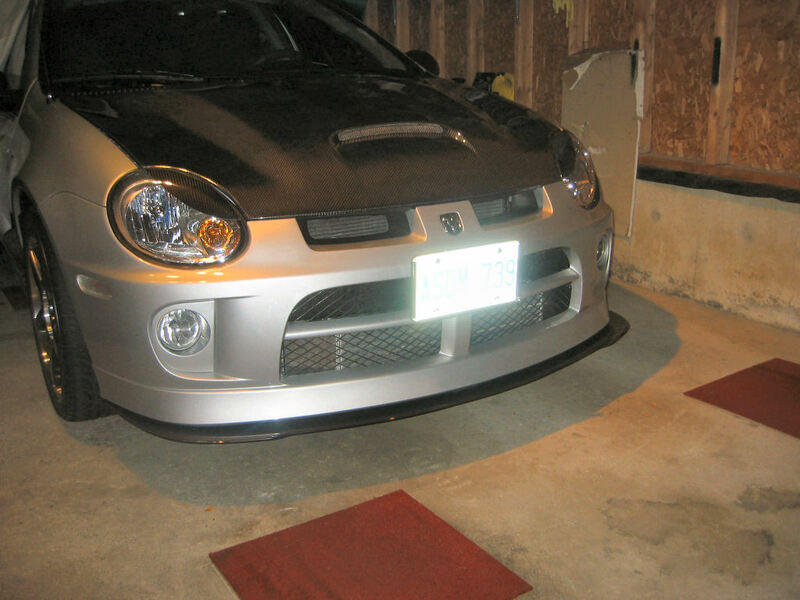 Greddy Type RS and JMB Performance UHP installed. 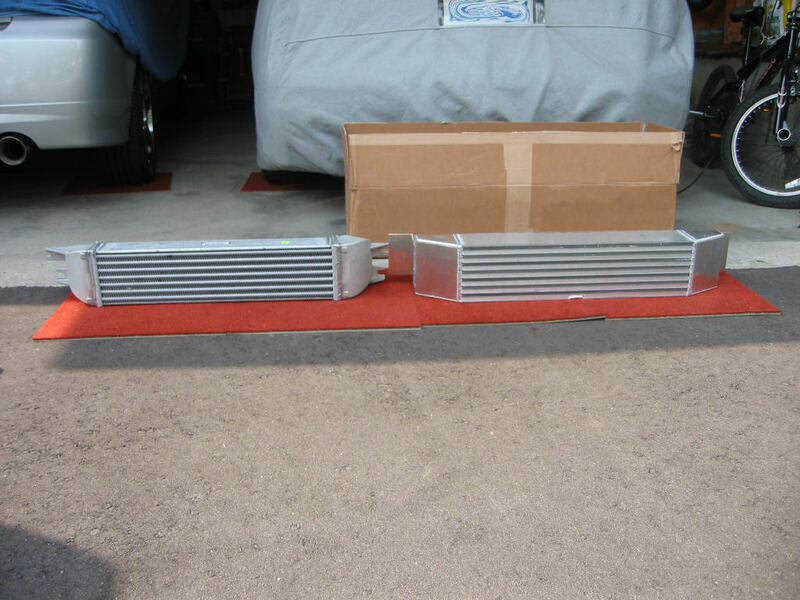 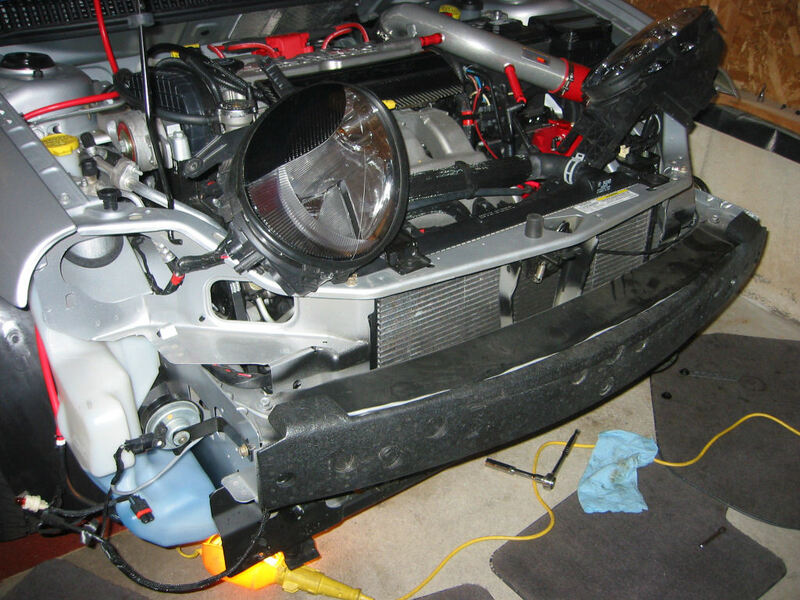 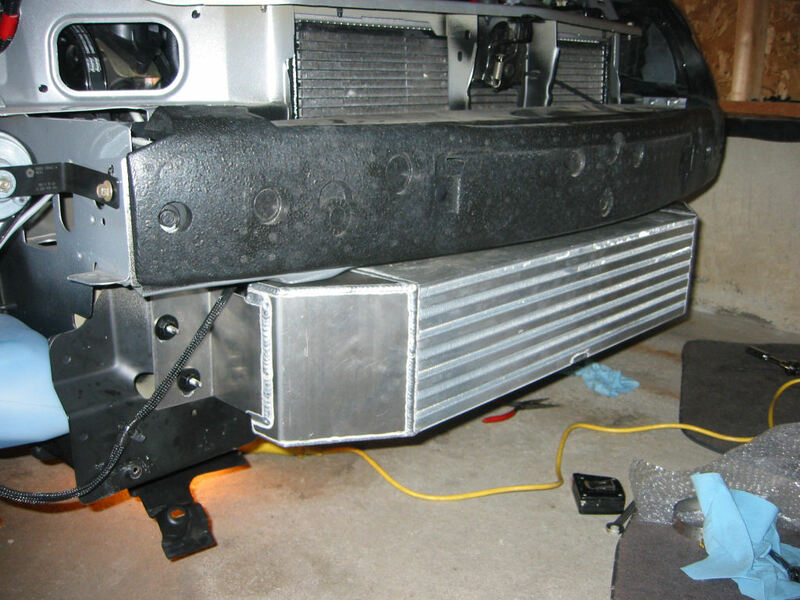 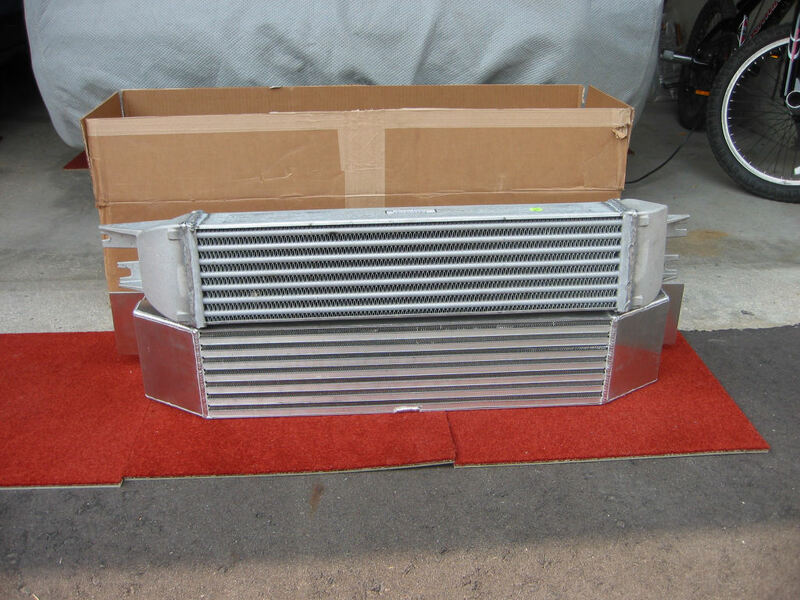 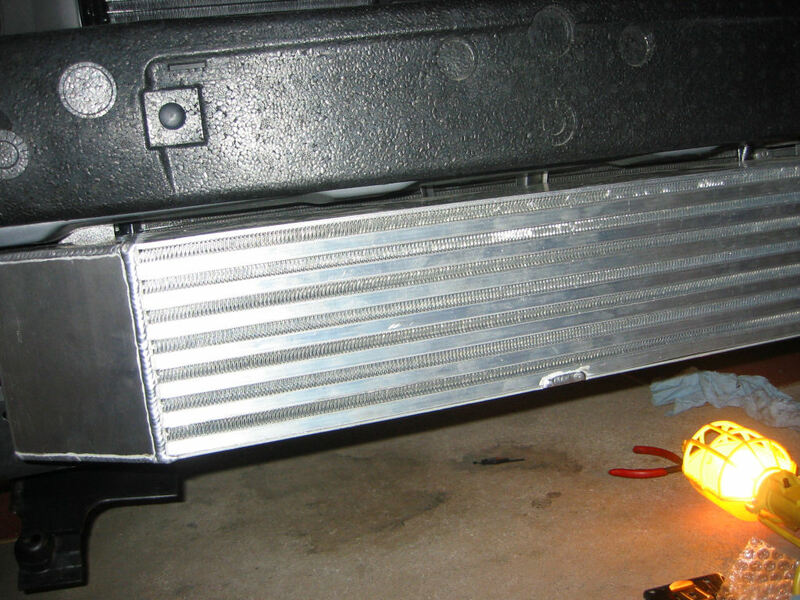 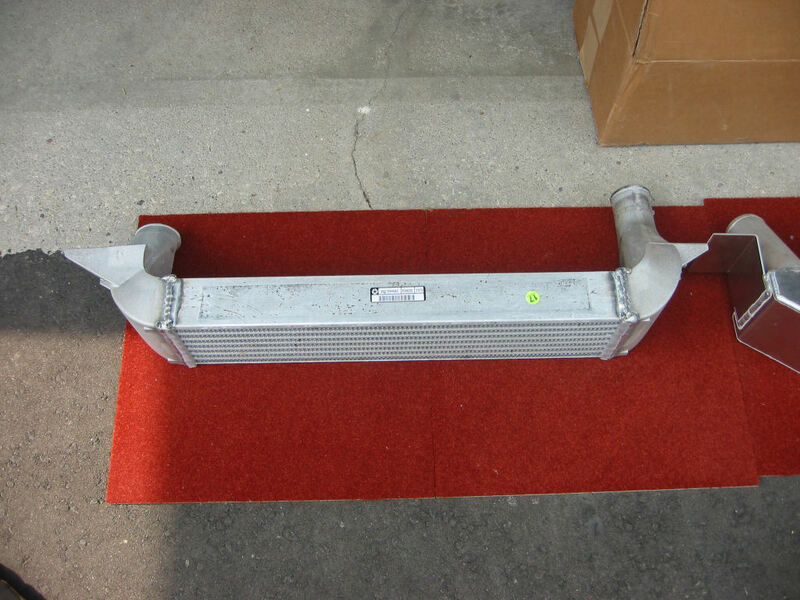 AGP Turbo Direct Fit Intercooler installed. 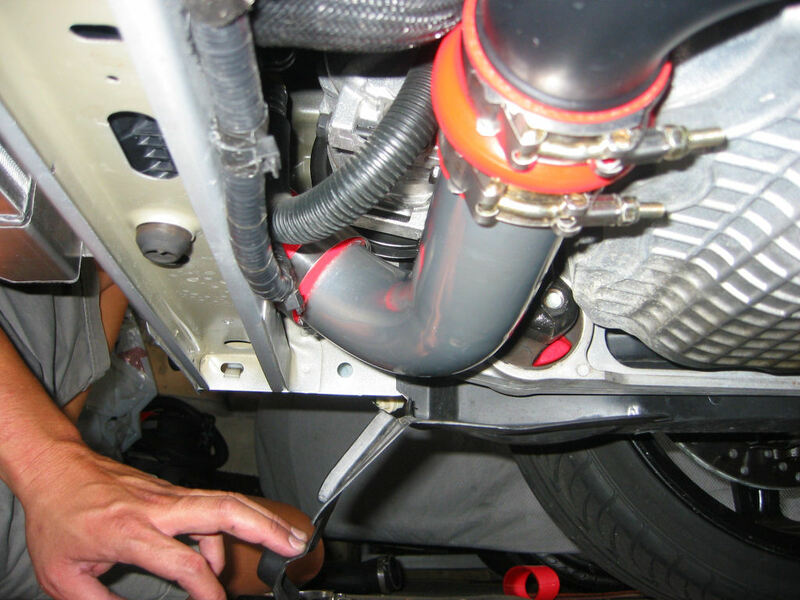 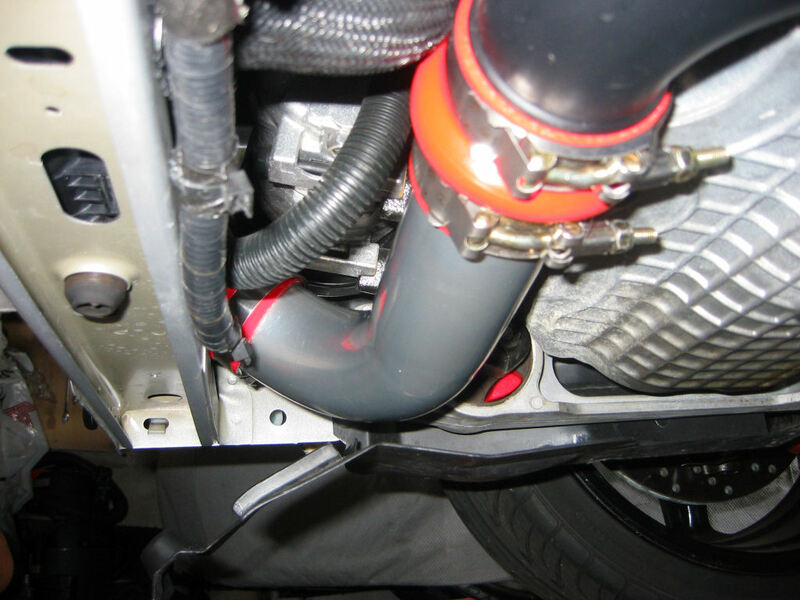 JMB Performance Lower Hard Pipe (LHP) installed. 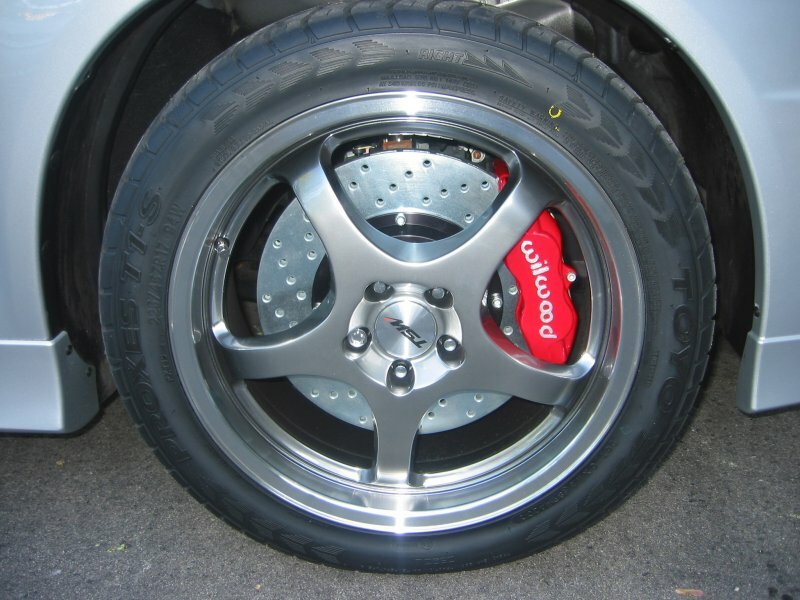 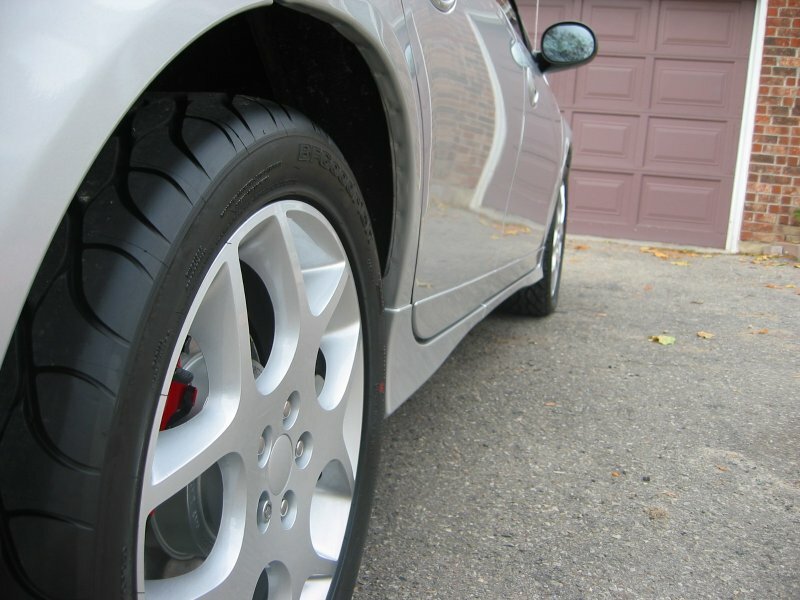 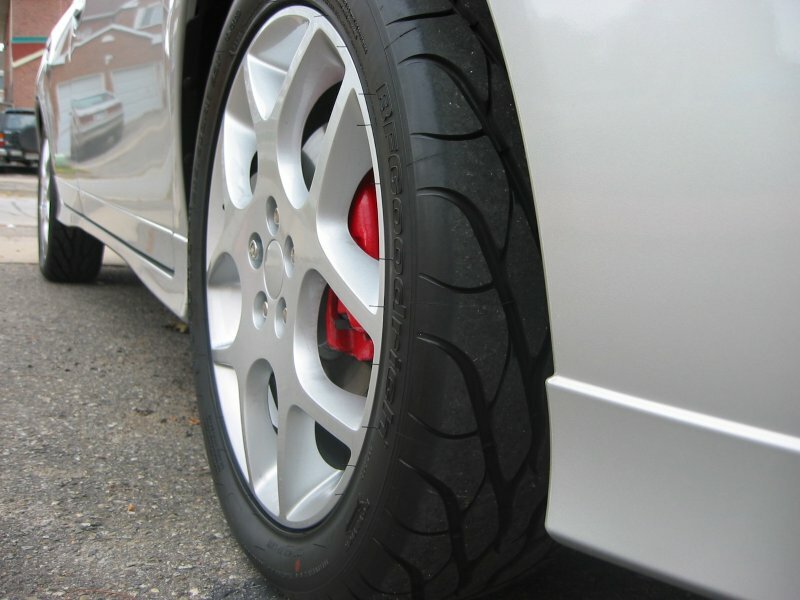 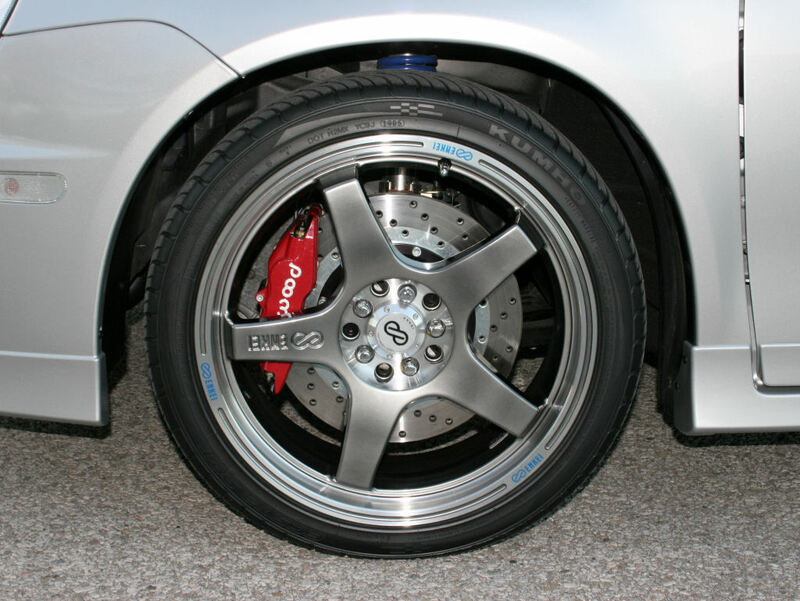 Enkei EVO 5 wheel with Kumho Ecsta SPT tires installed. 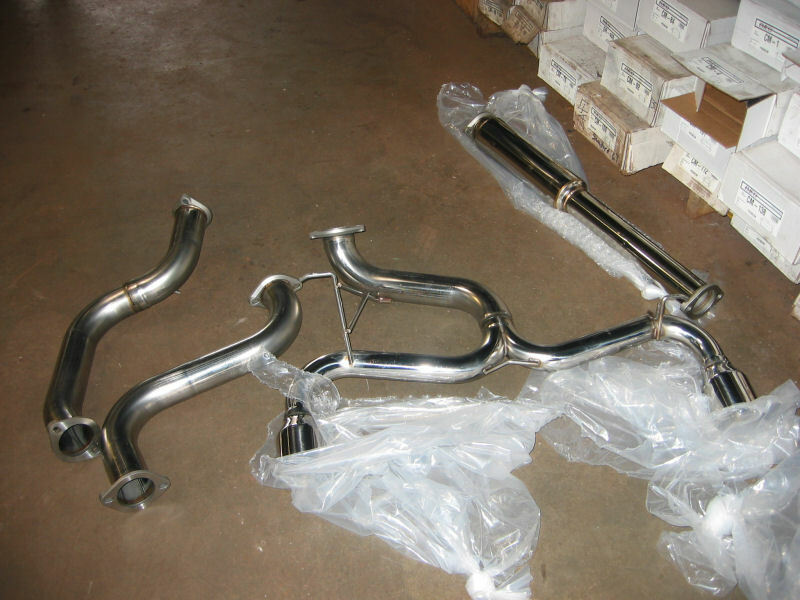 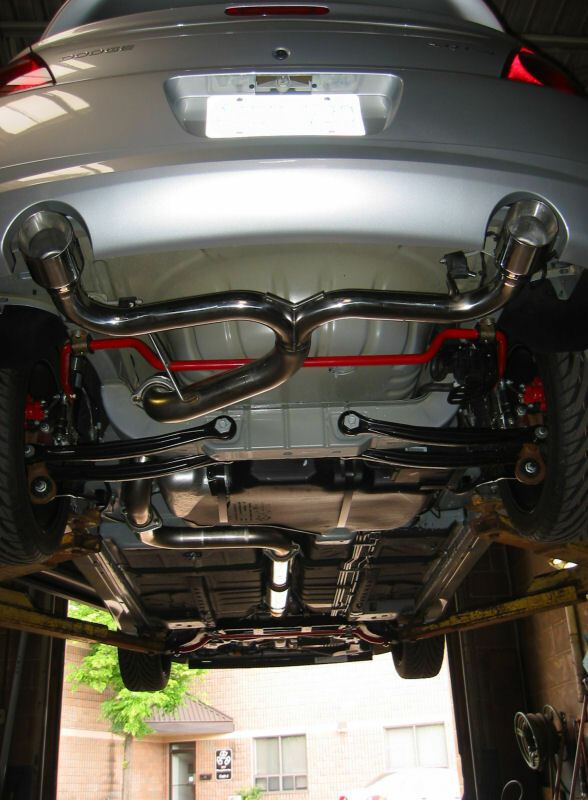 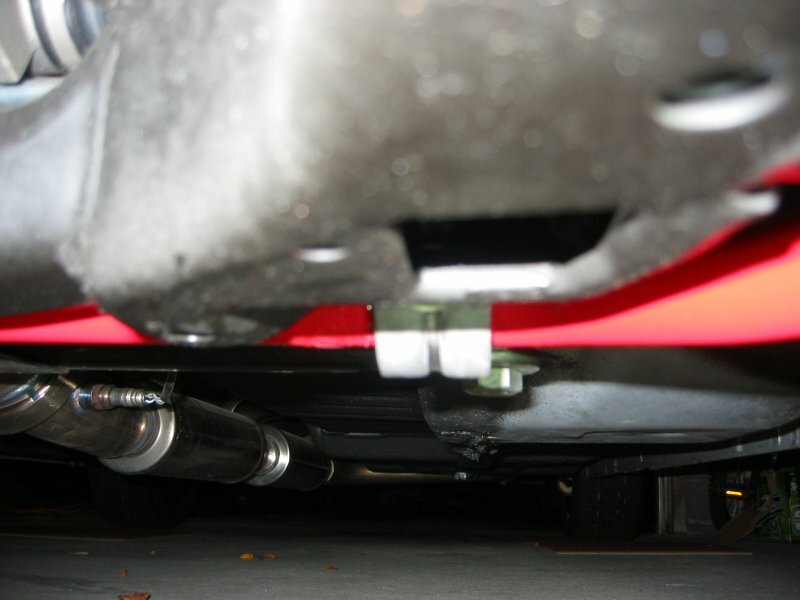 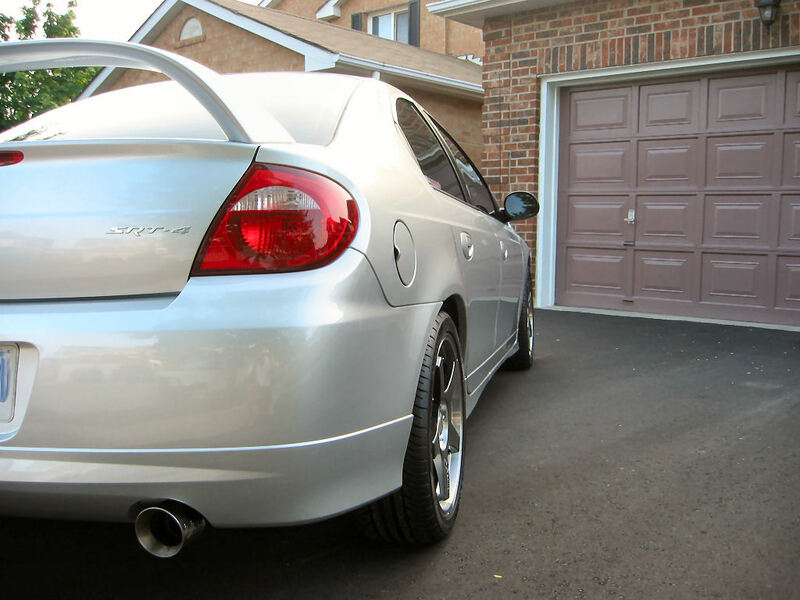 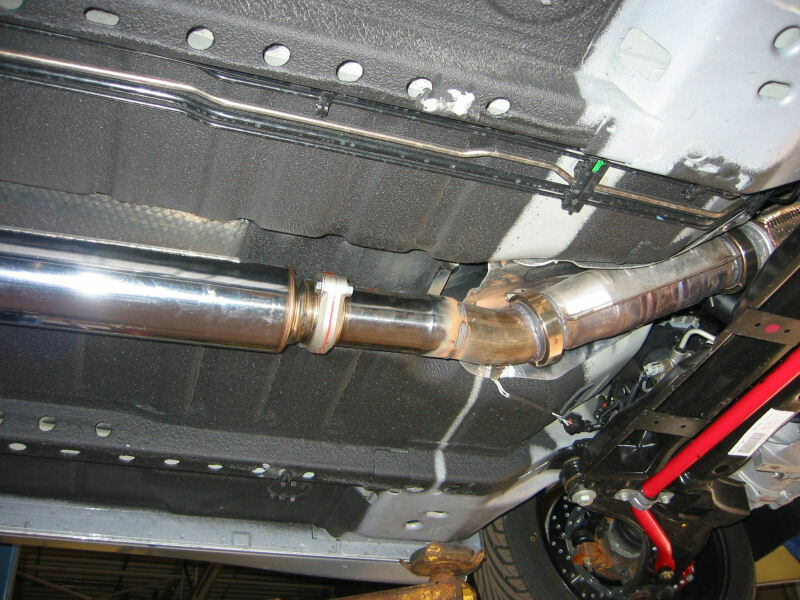 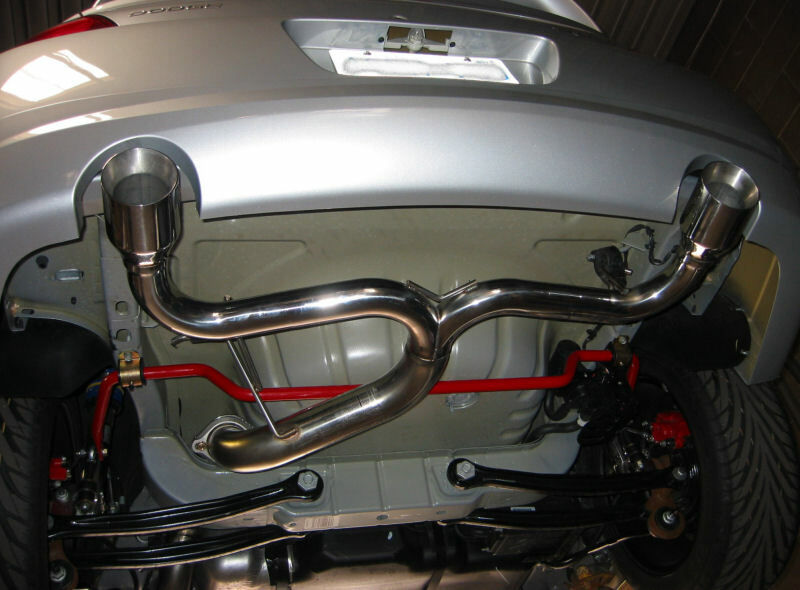 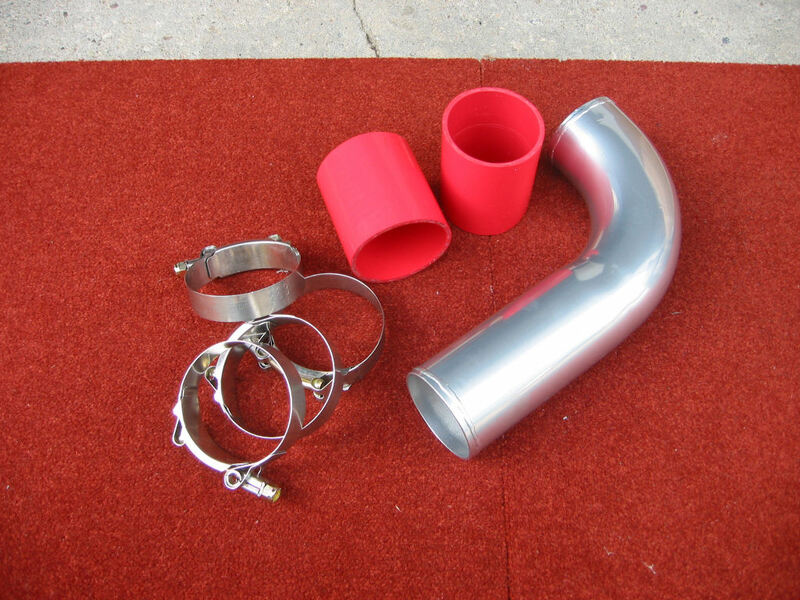 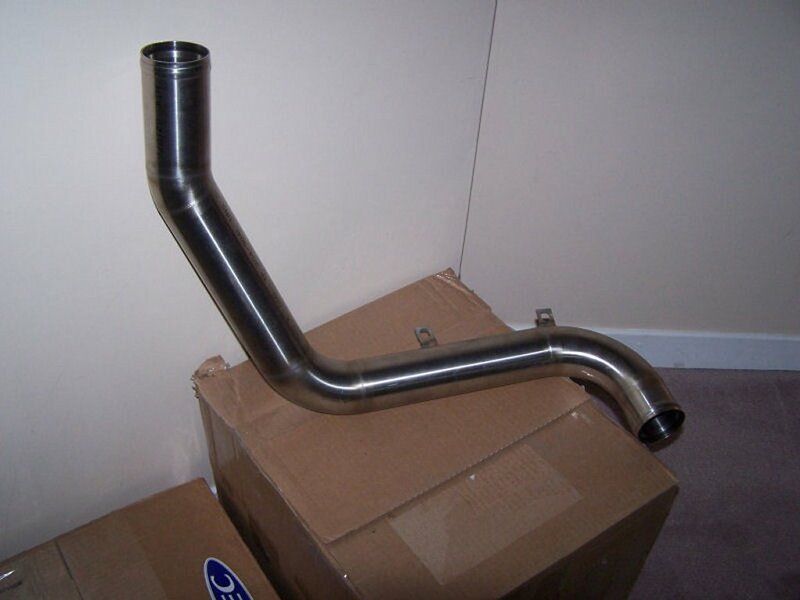 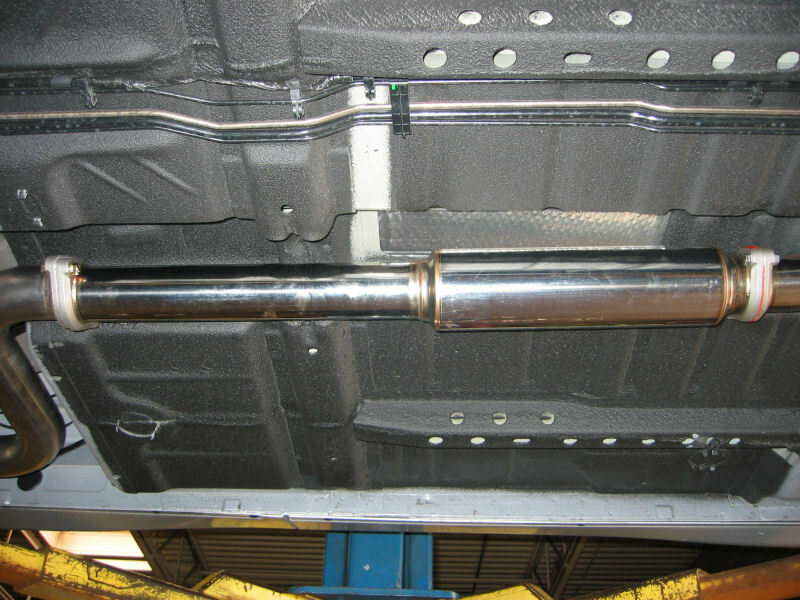 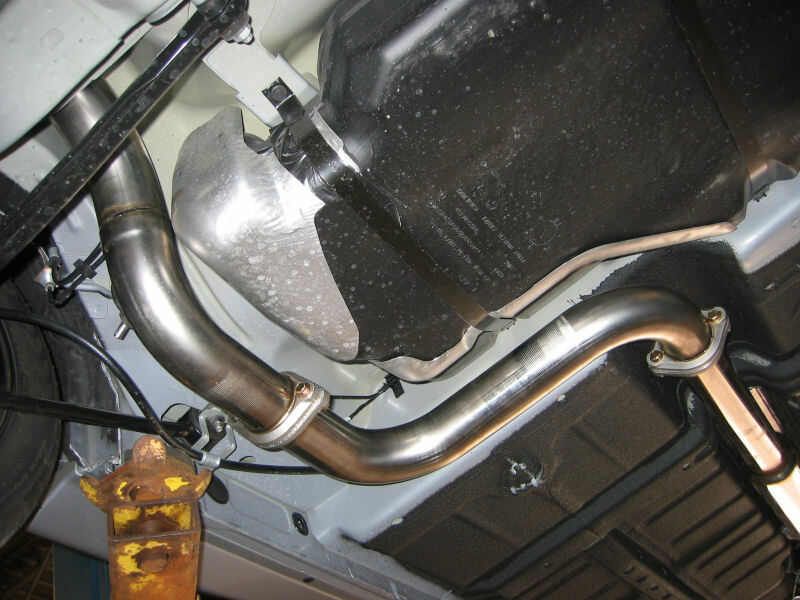 Injen 3" stainless steel exhaust system installed. 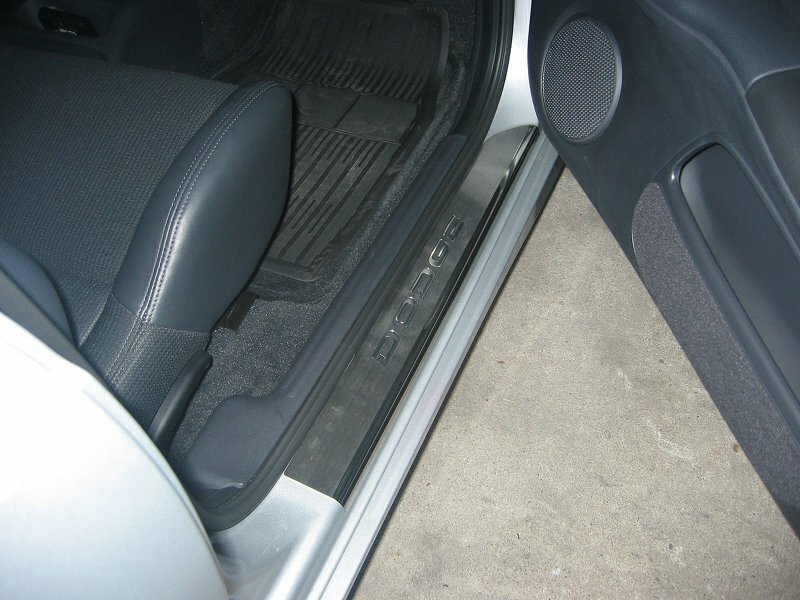 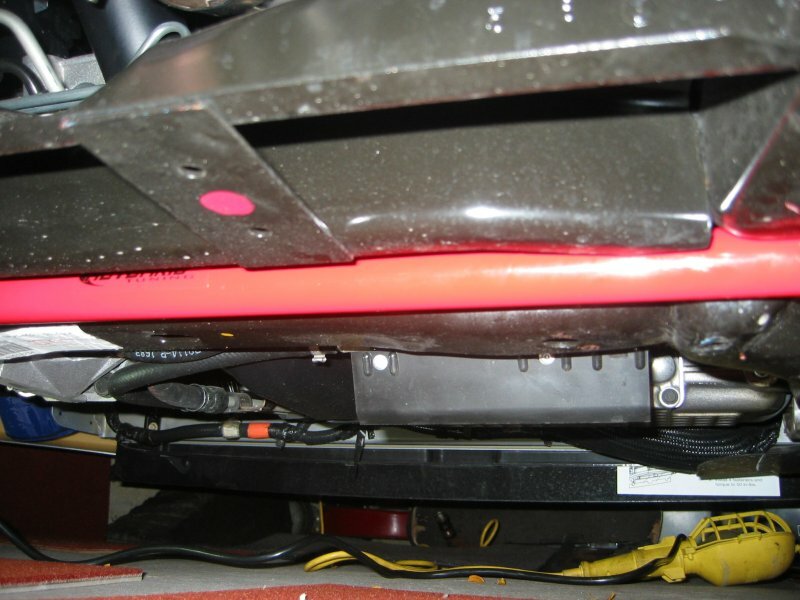 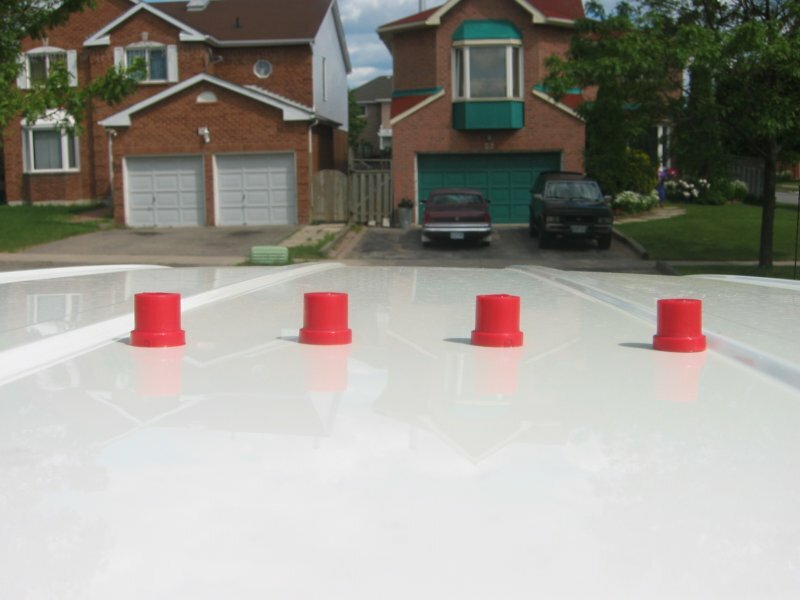 APC clear corners installed. 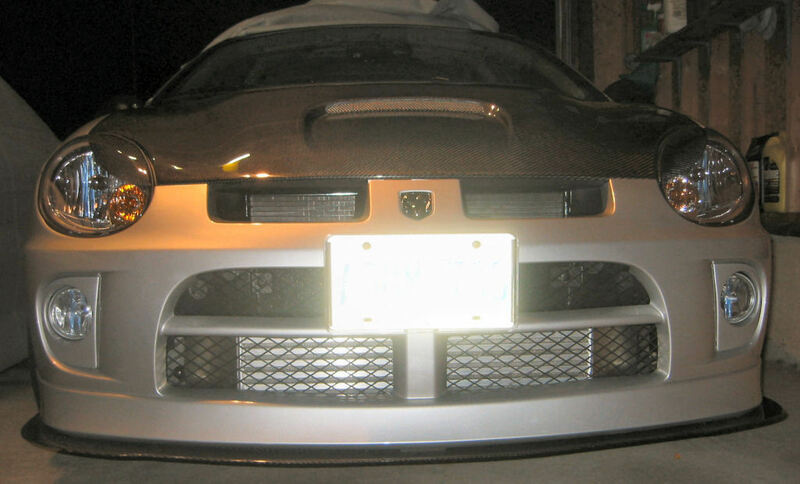 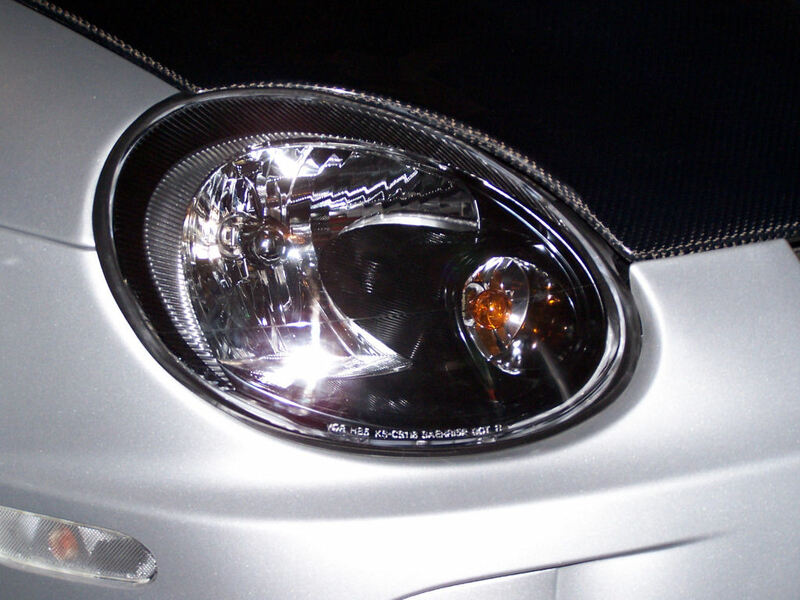 Removed and changed to Eagle Eyes clear corners. 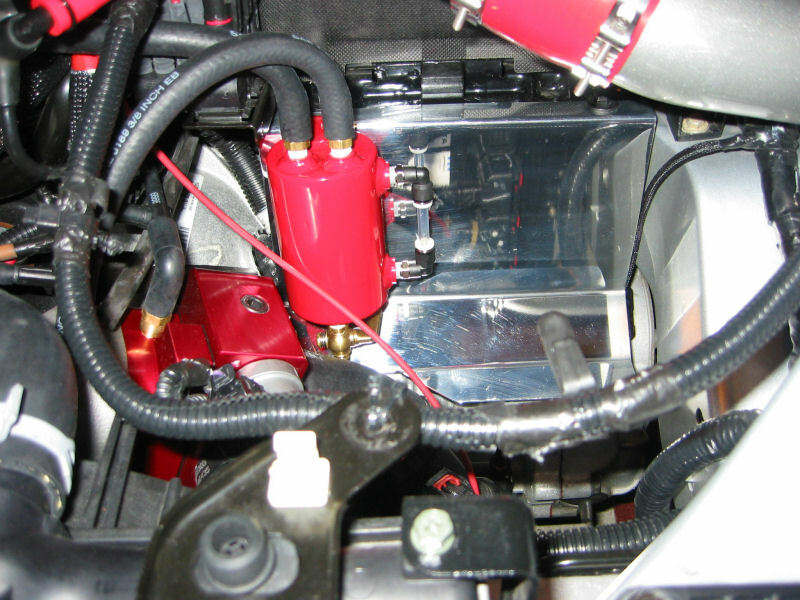 JMB Performance oil catch can and transmission cover installed. 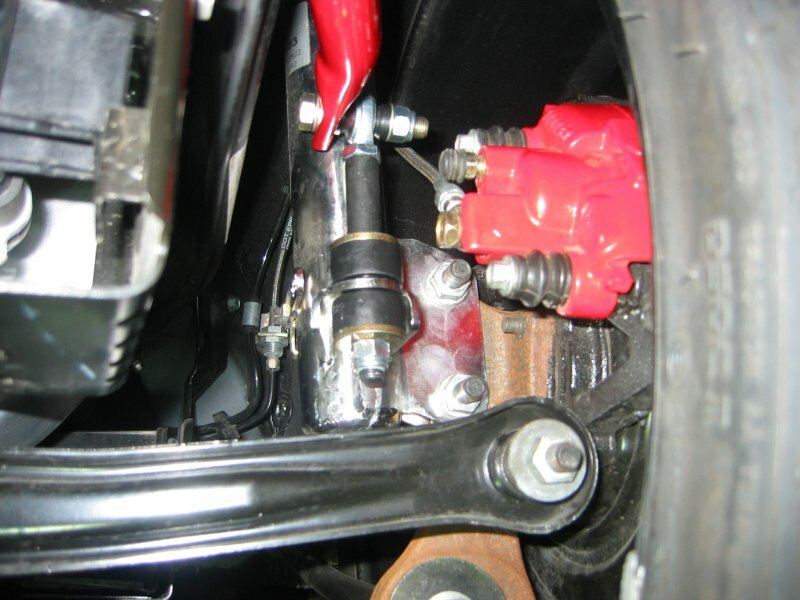 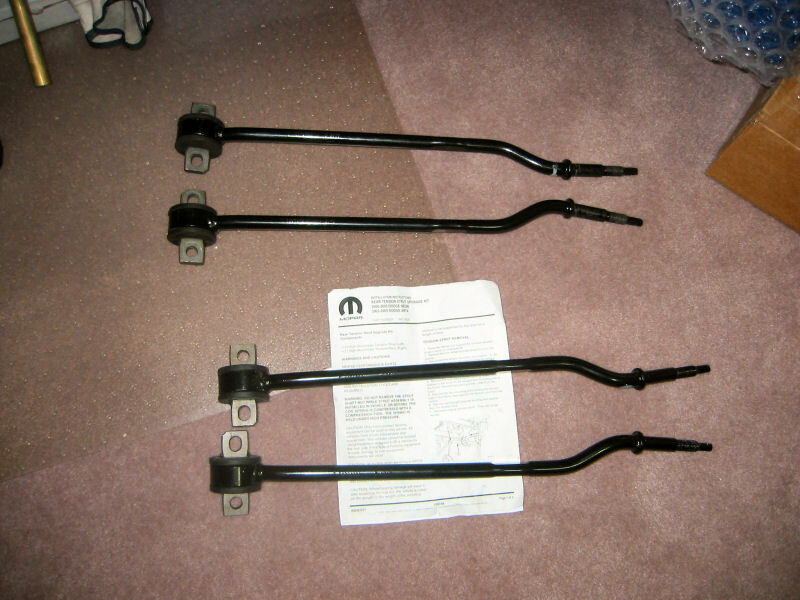 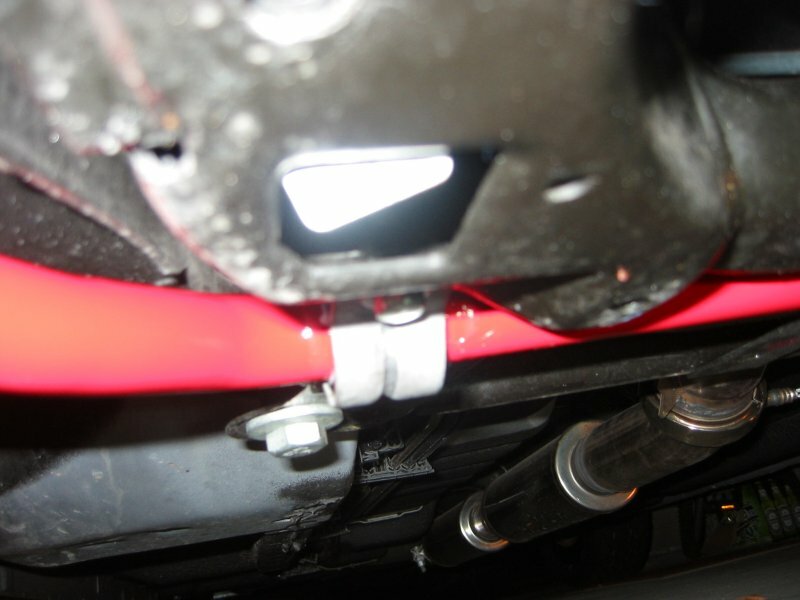 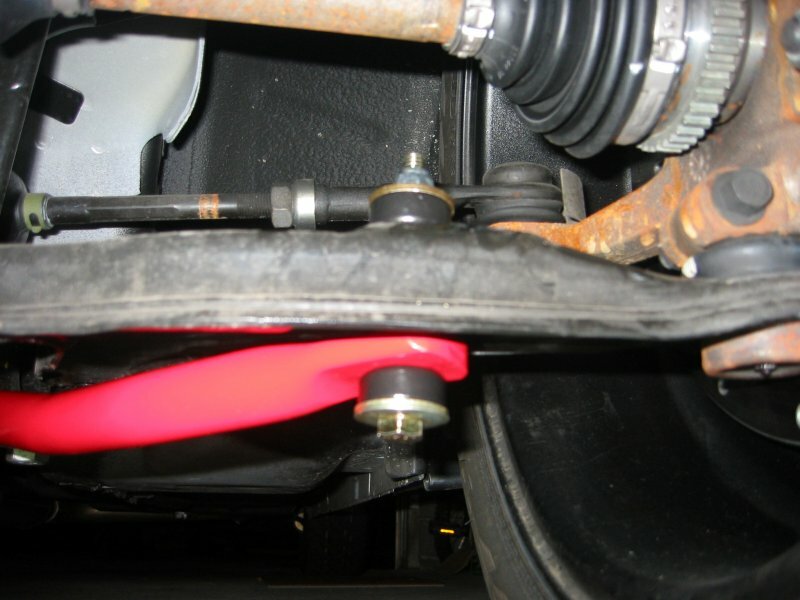 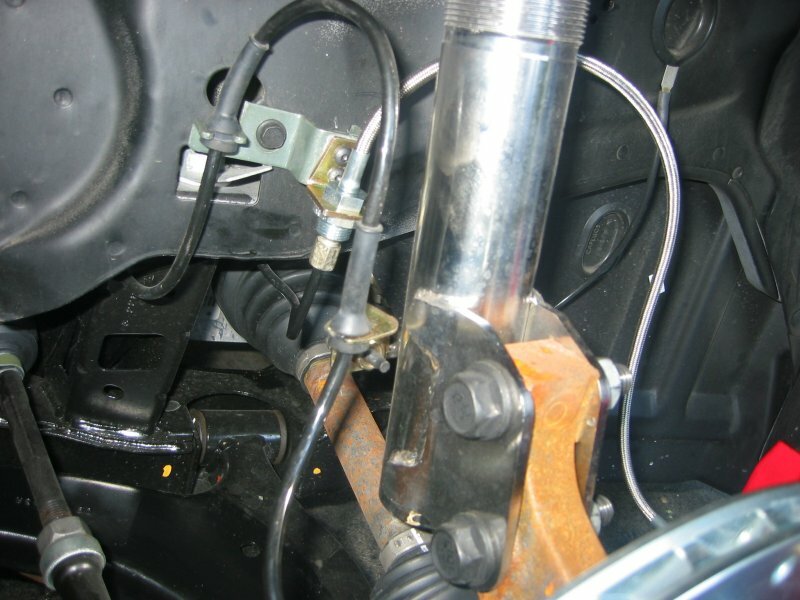 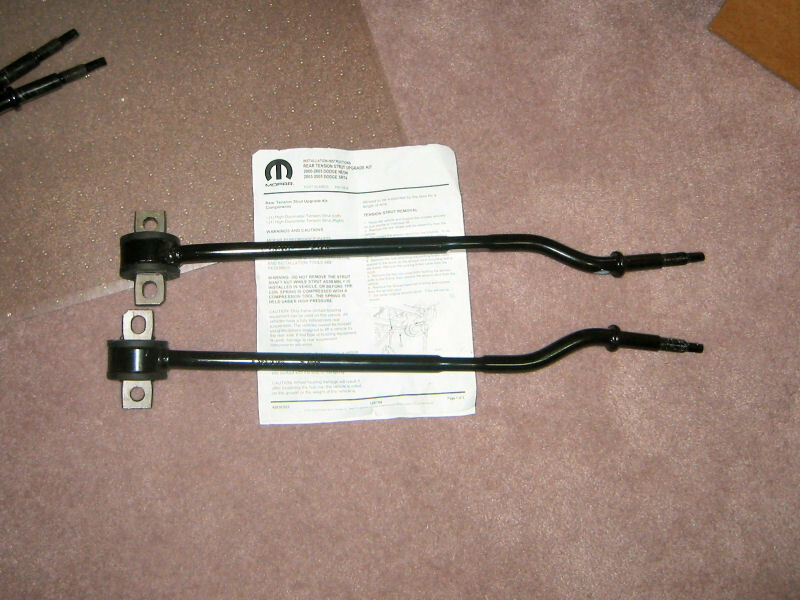 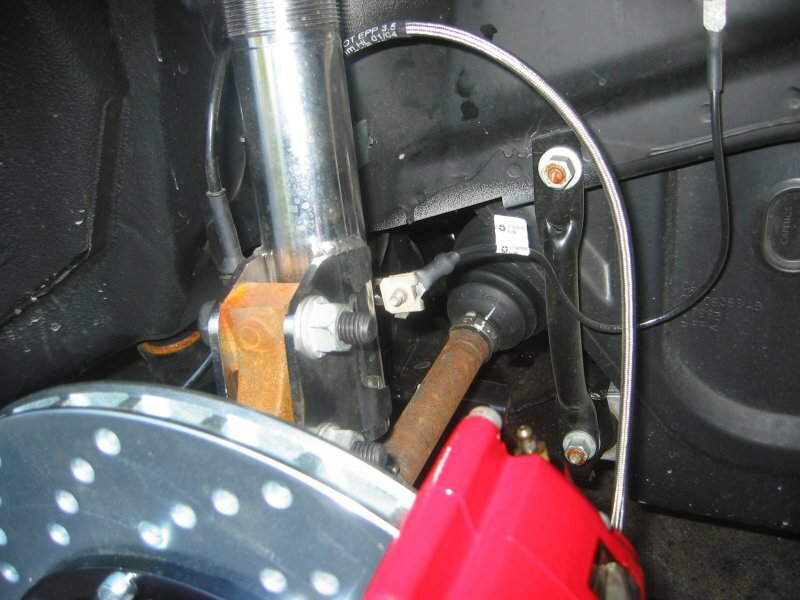 Mopar rear tension strut upgrade kit installed. 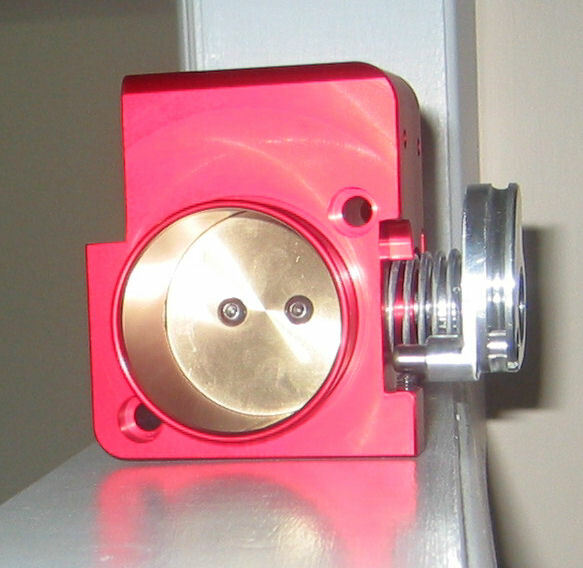 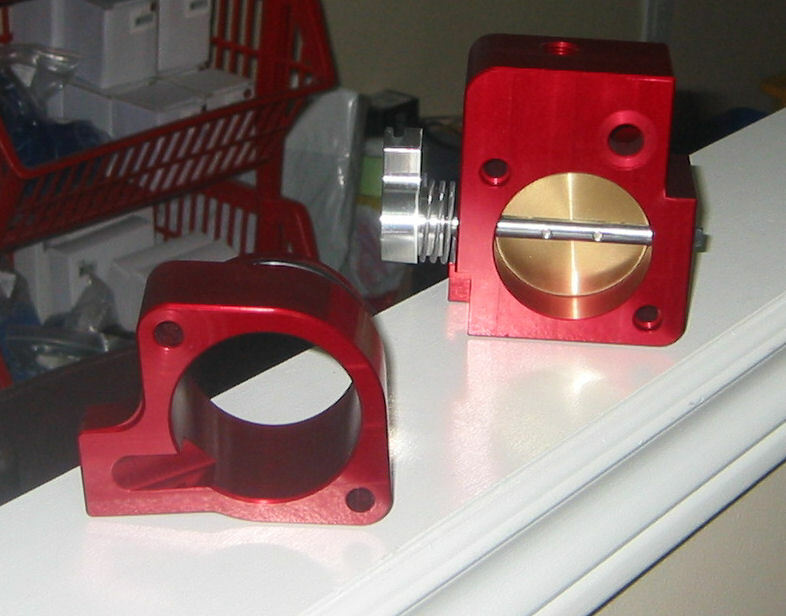 Prothane motor mount inserts installed. 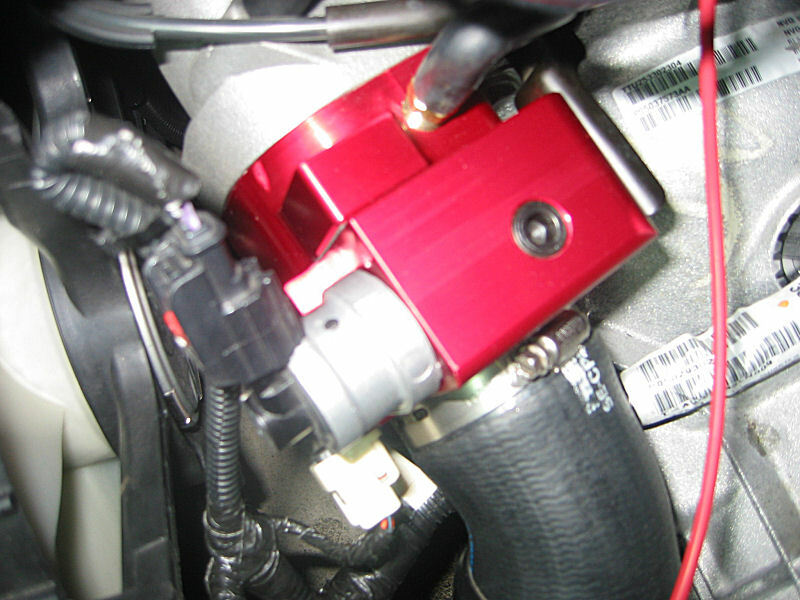 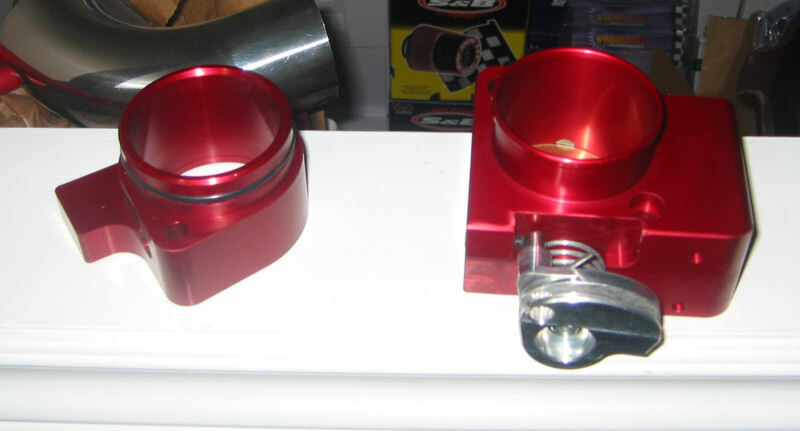 Zzapp Motorsports 60mm CNC aluminum throttle body installed. 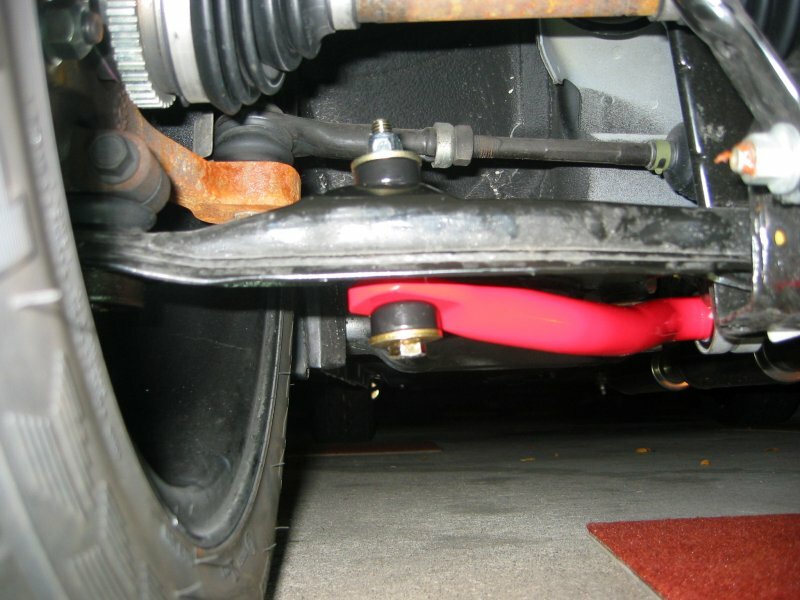 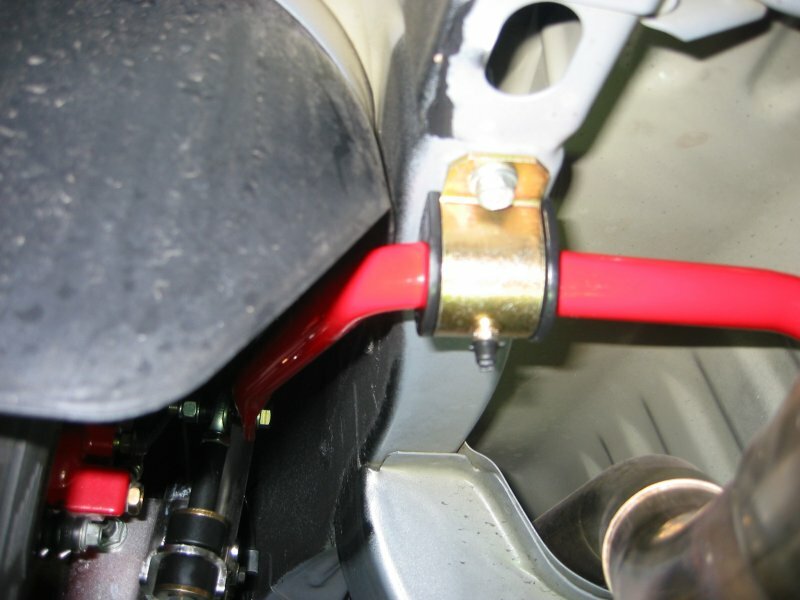 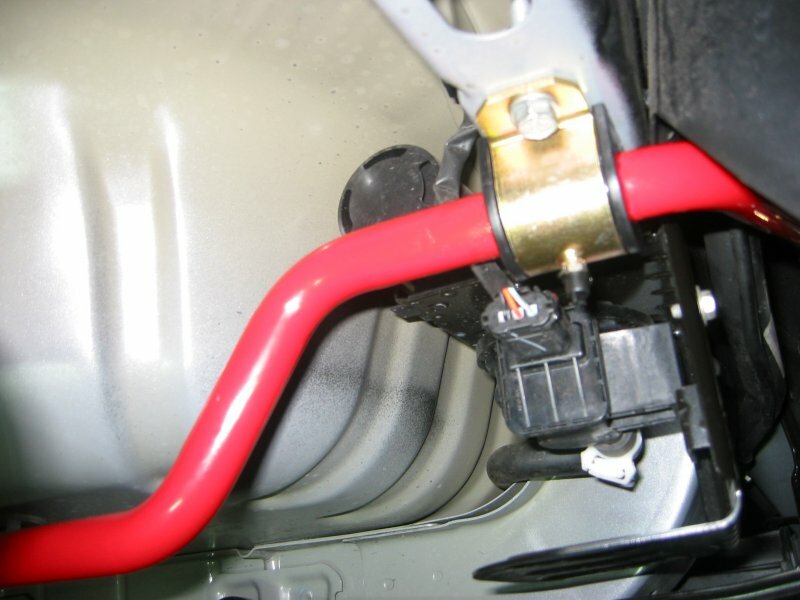 Hotchkis Sport Sway Bar kit installed. 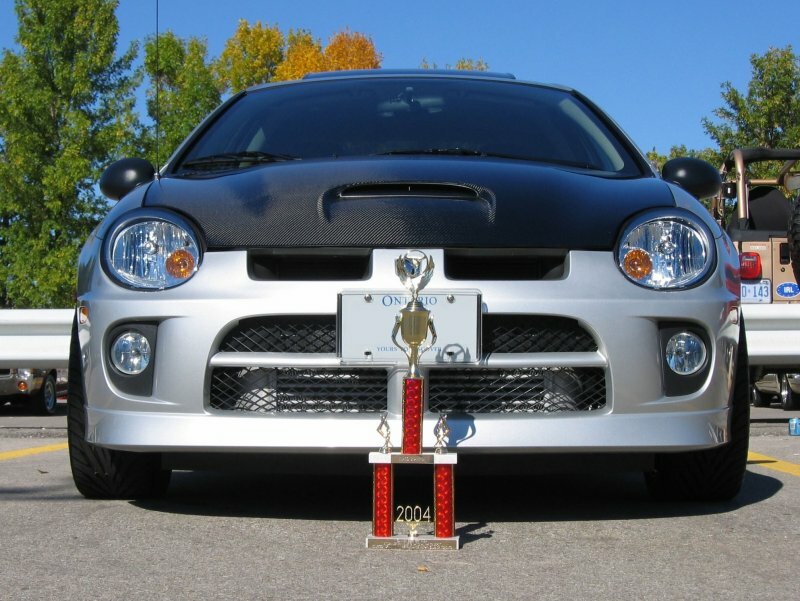 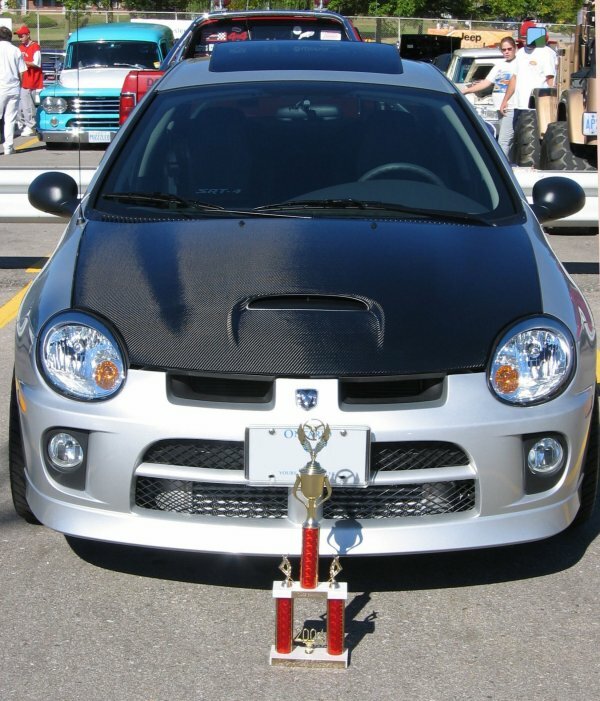 MOPAR Performance Summer Send Off Trophy Pics. 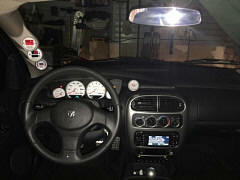 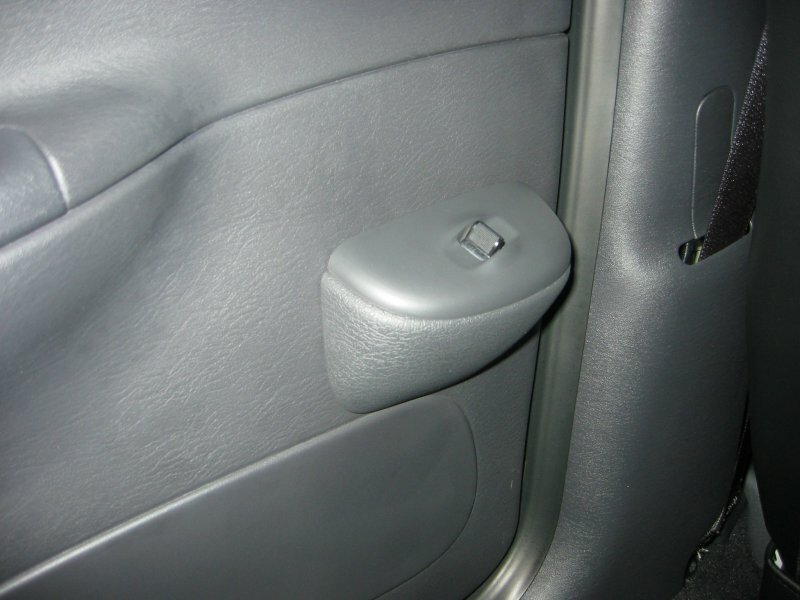 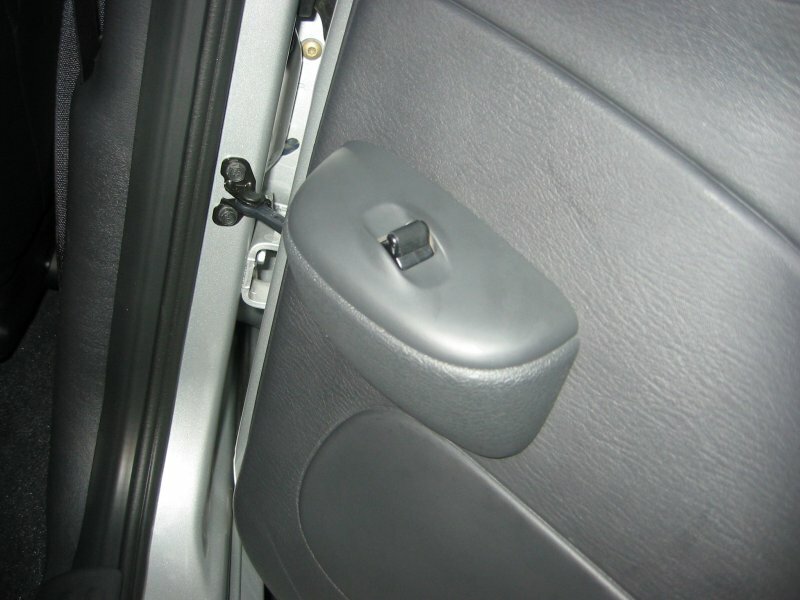 Rear power windows kit installed. 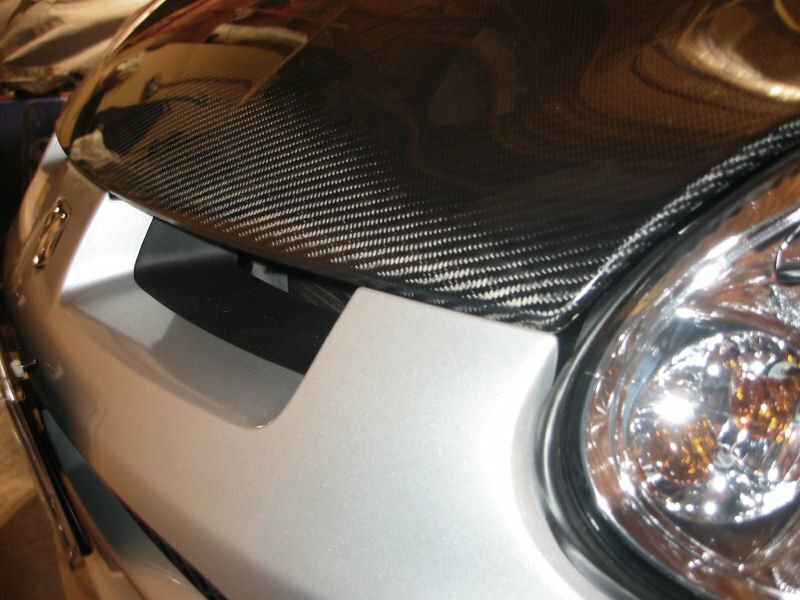 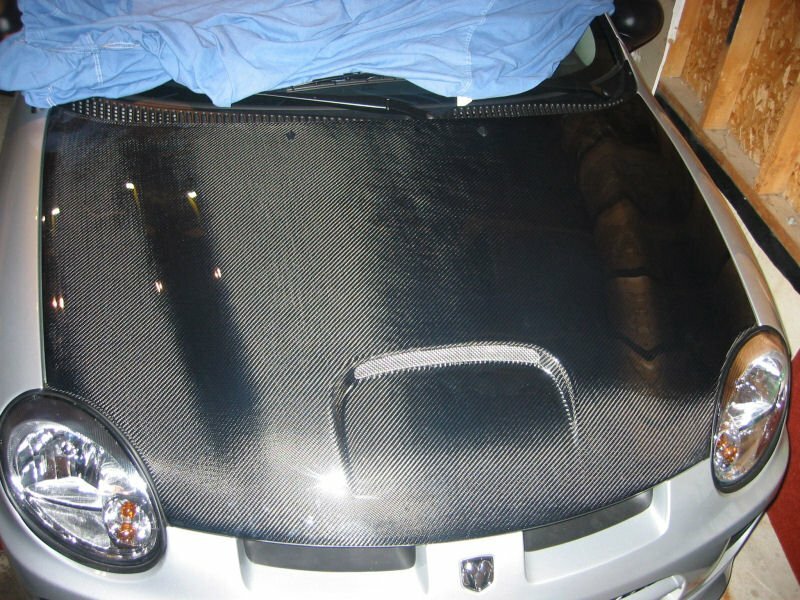 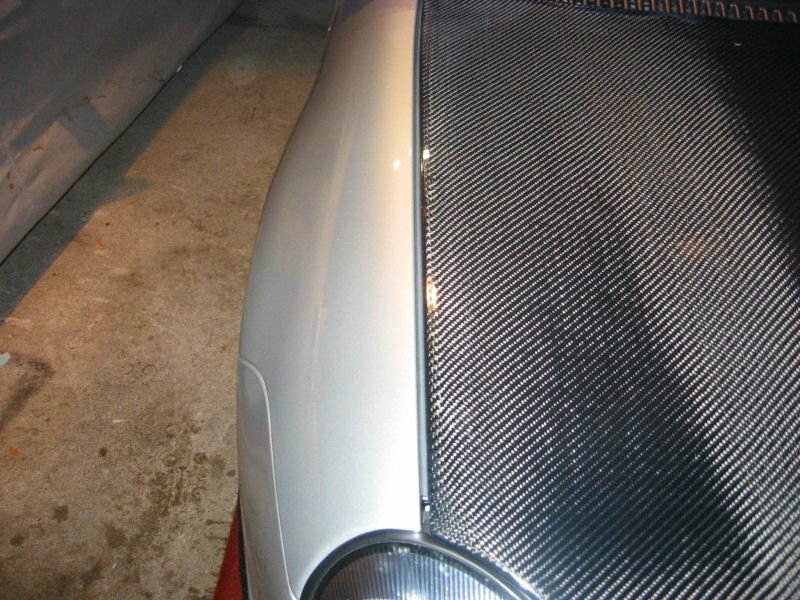 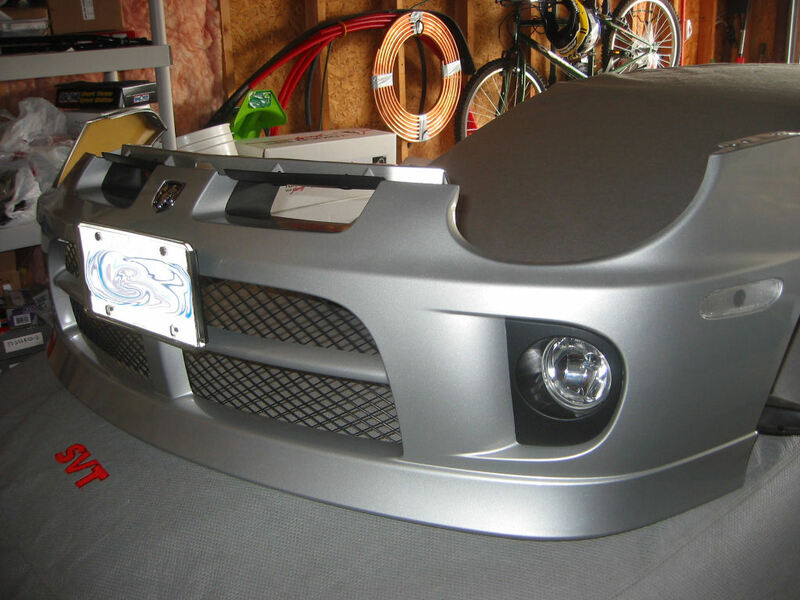 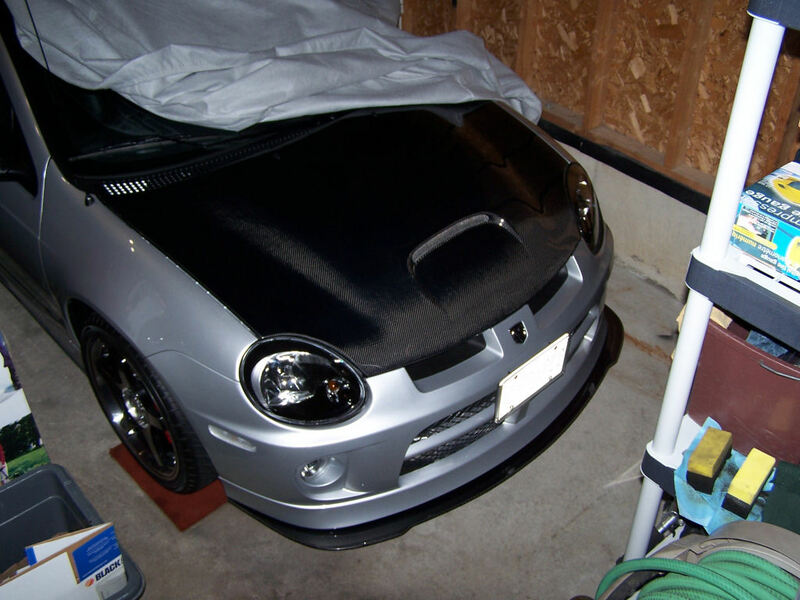 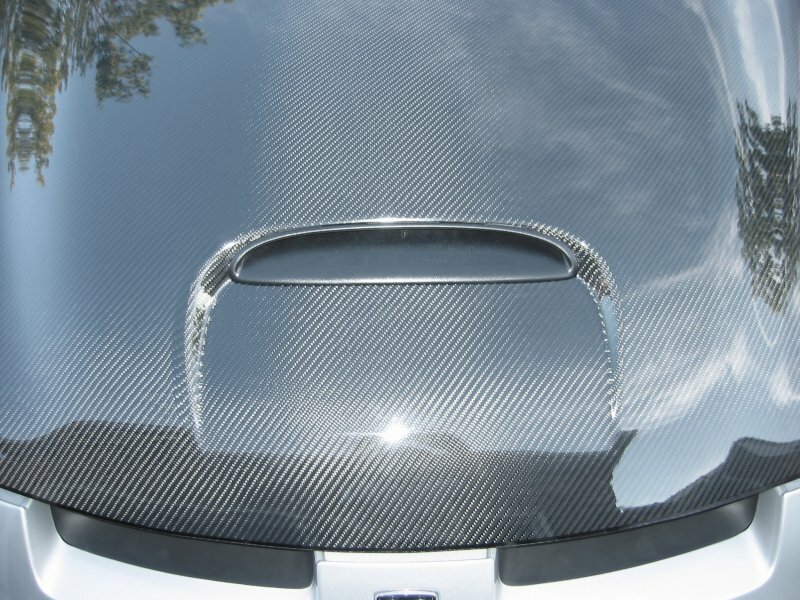 Carbon Fibre hood installed. 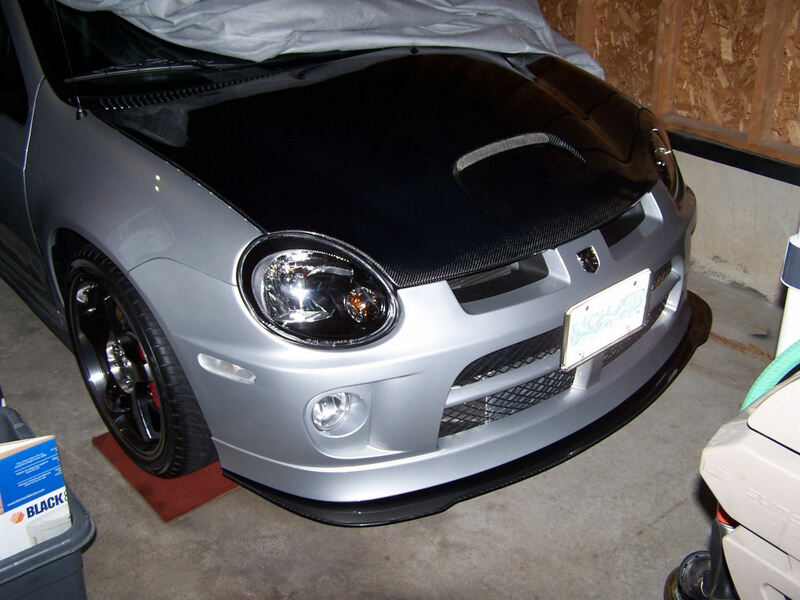 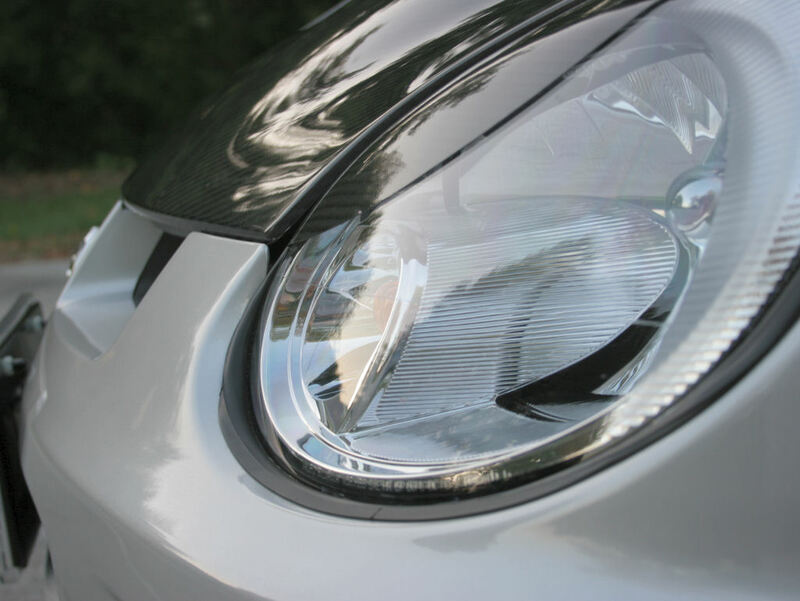 Replaced with X brand CF hood. 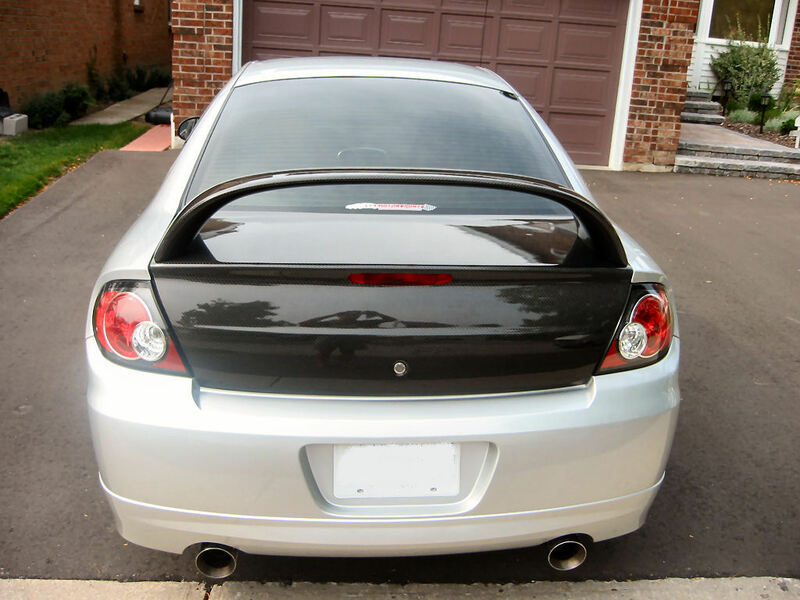 Windows tinted and current pictures. 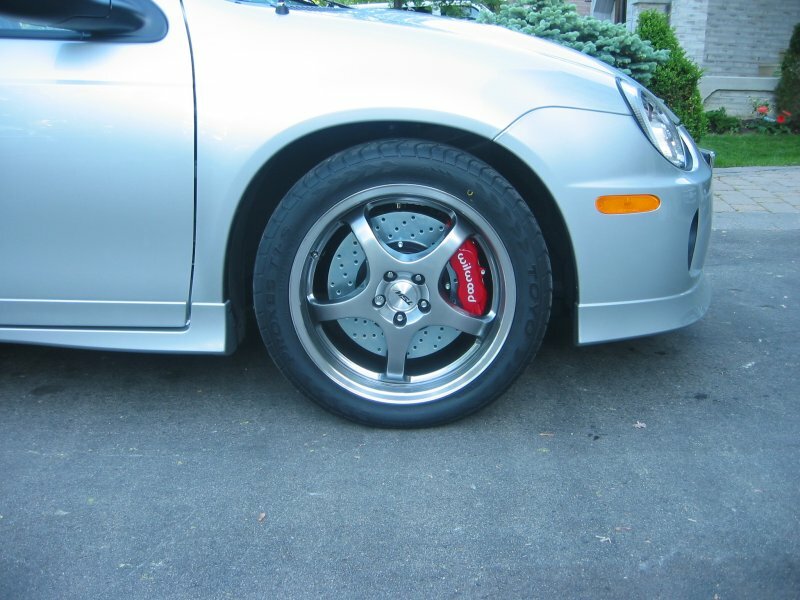 KVR drilled rear rotors and carbon pads installed. 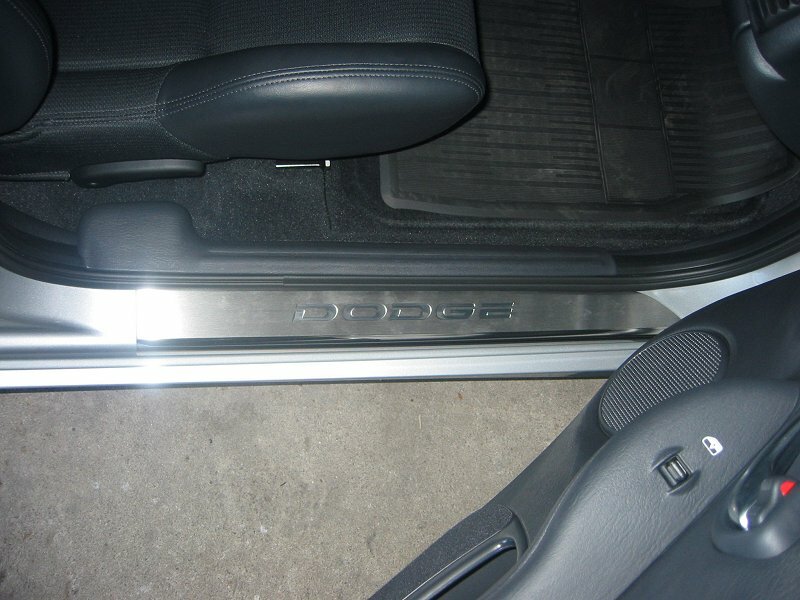 MOPAR Stage 1 PCM installed. 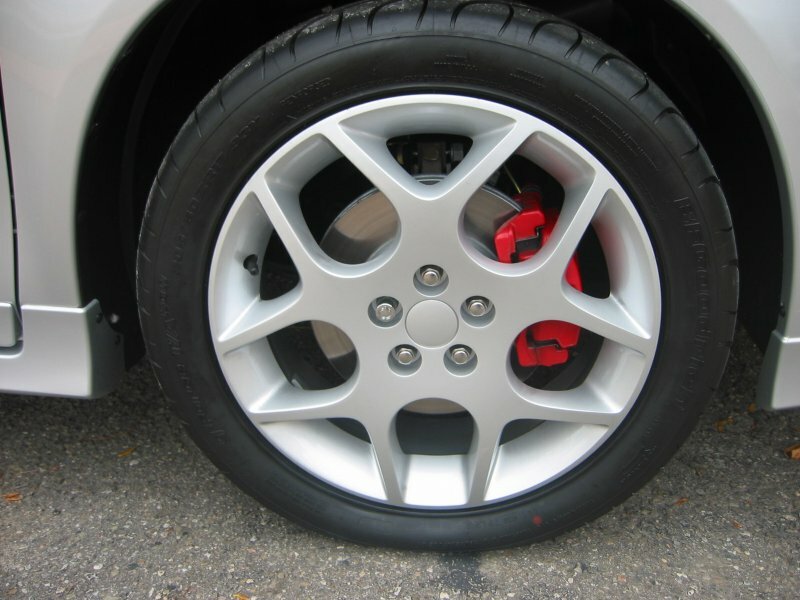 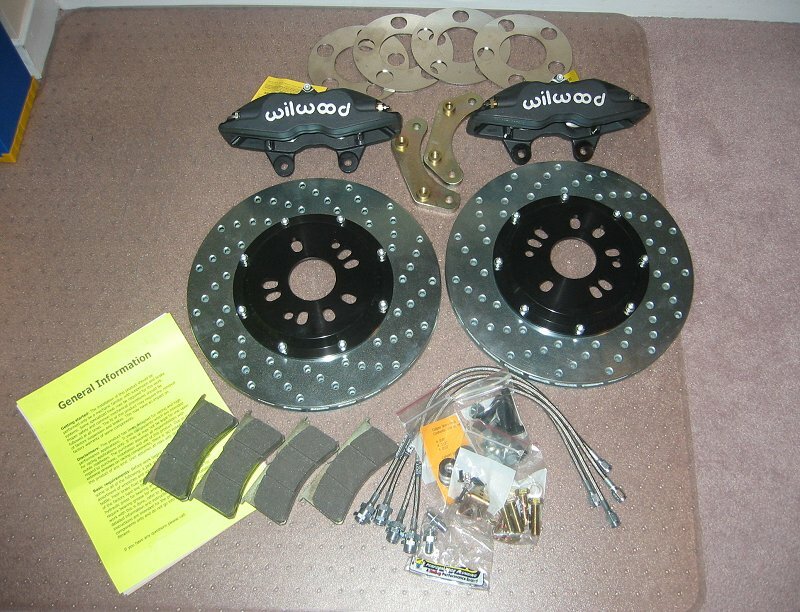 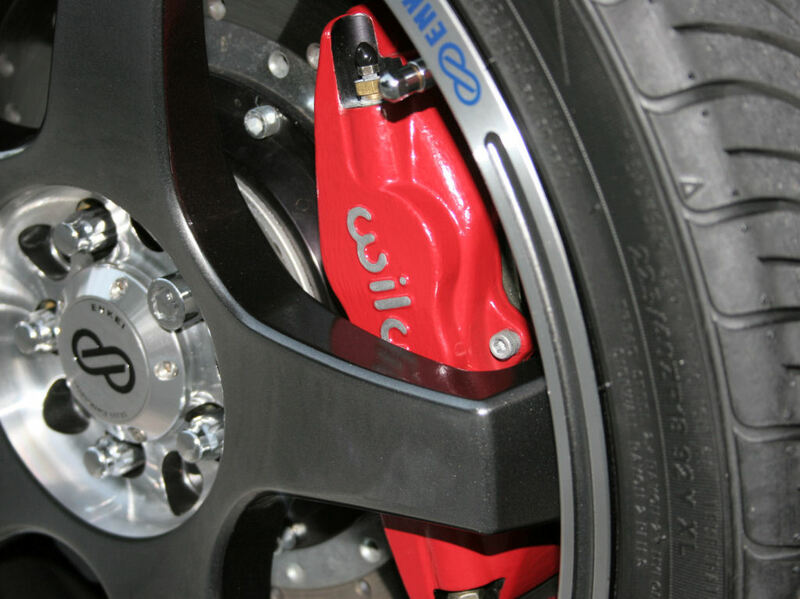 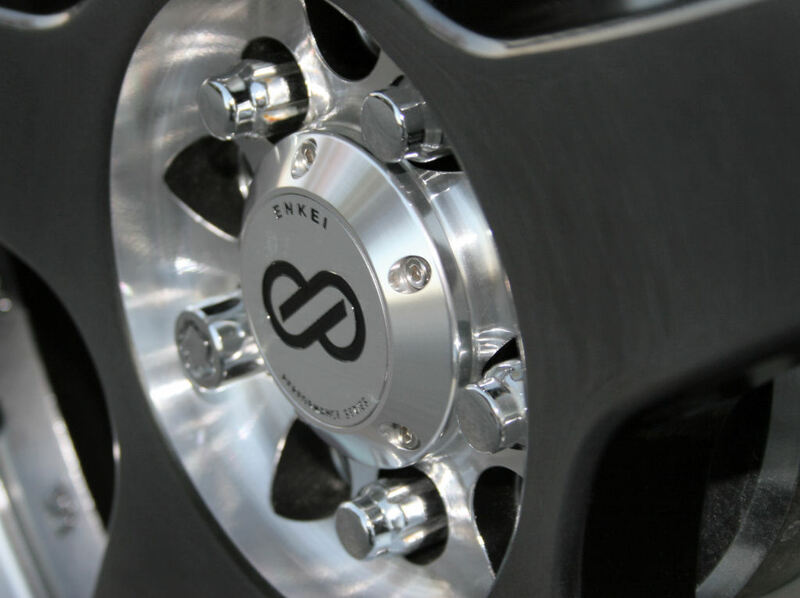 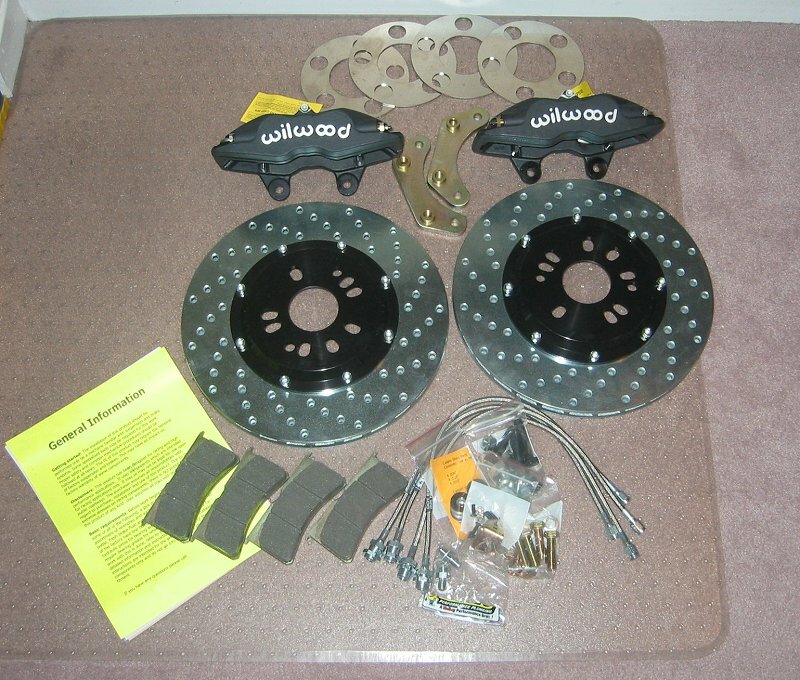 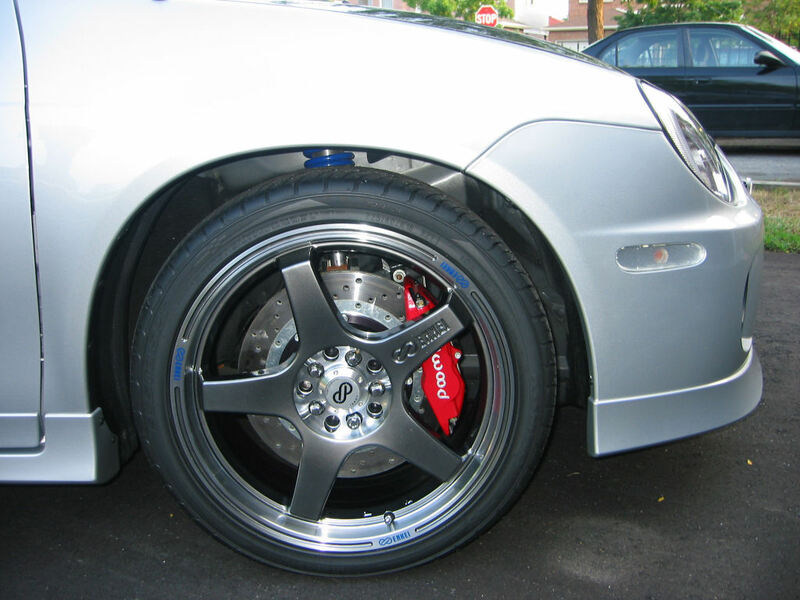 TCE Performance Product's 13" Wilwood big brake kit. 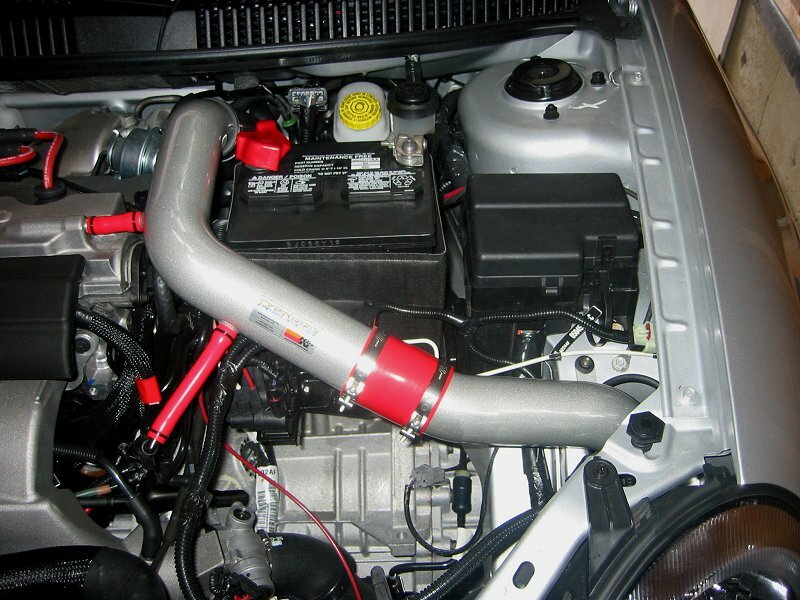 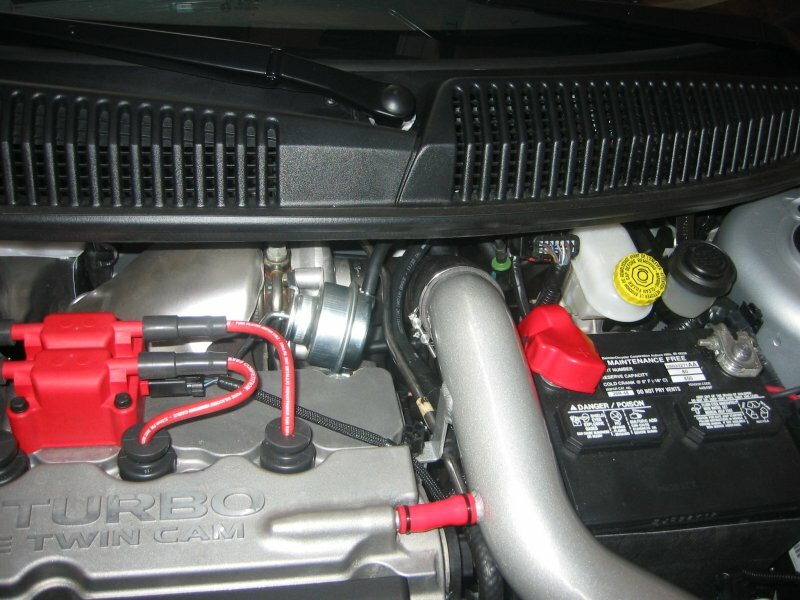 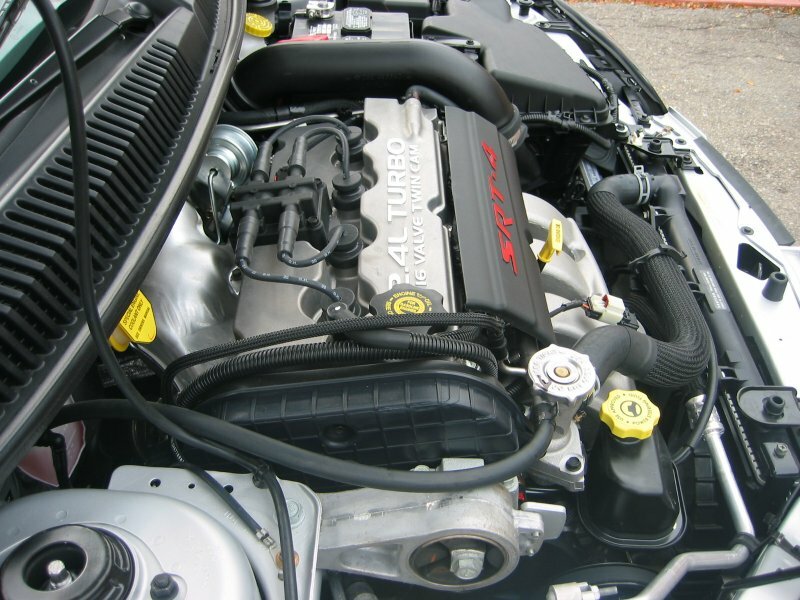 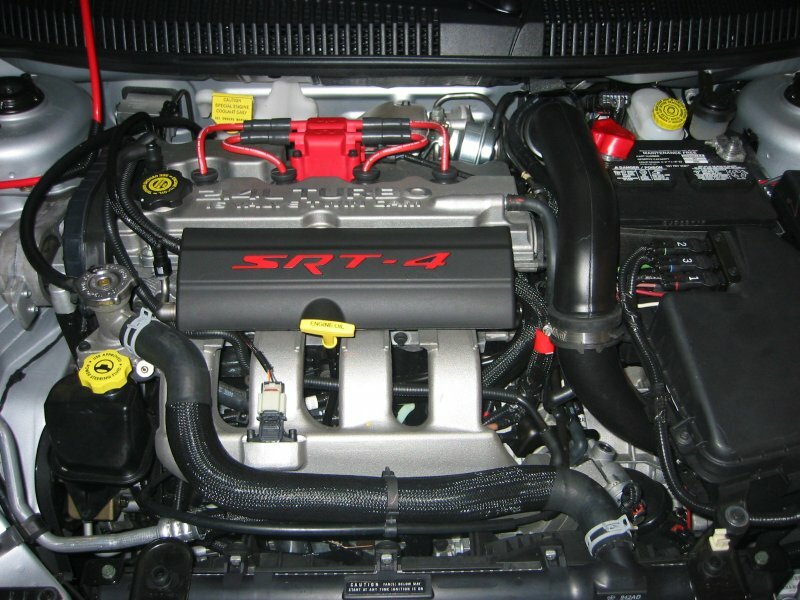 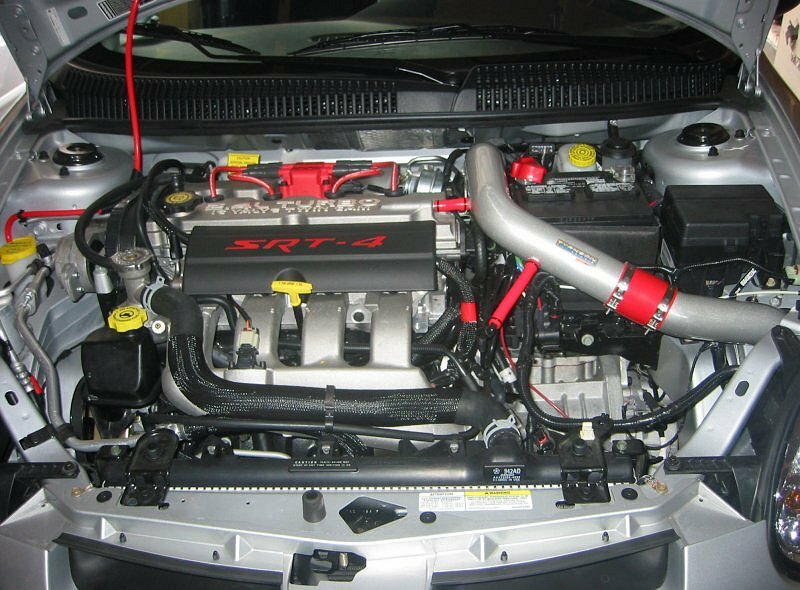 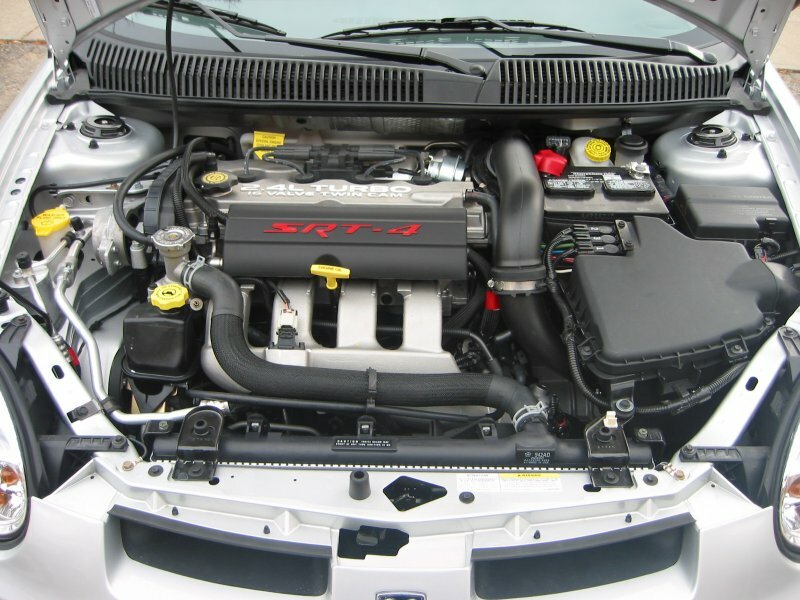 K&N Typhoon Intake kit installed. 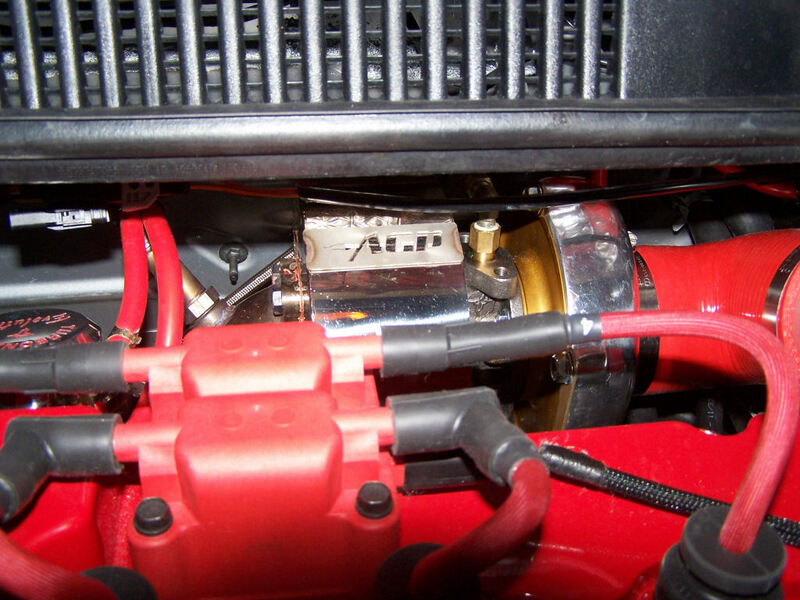 Replaced with JMB CAI. 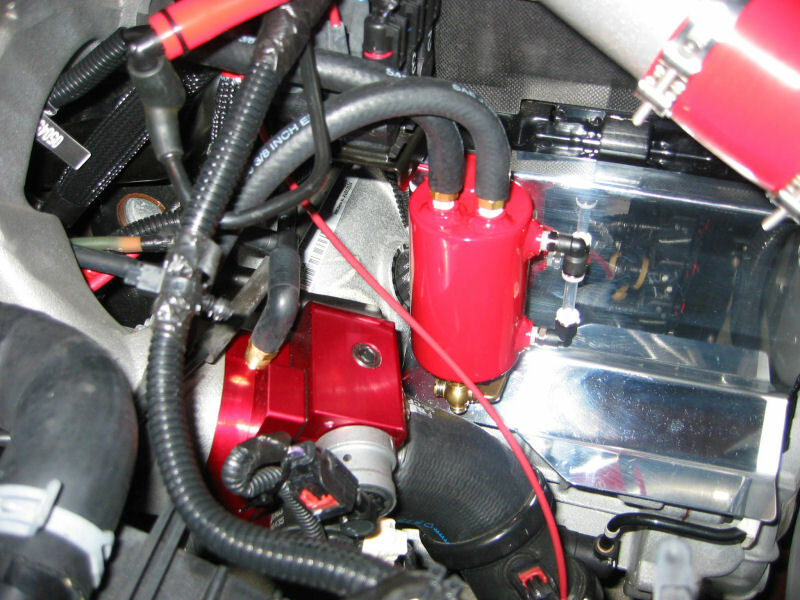 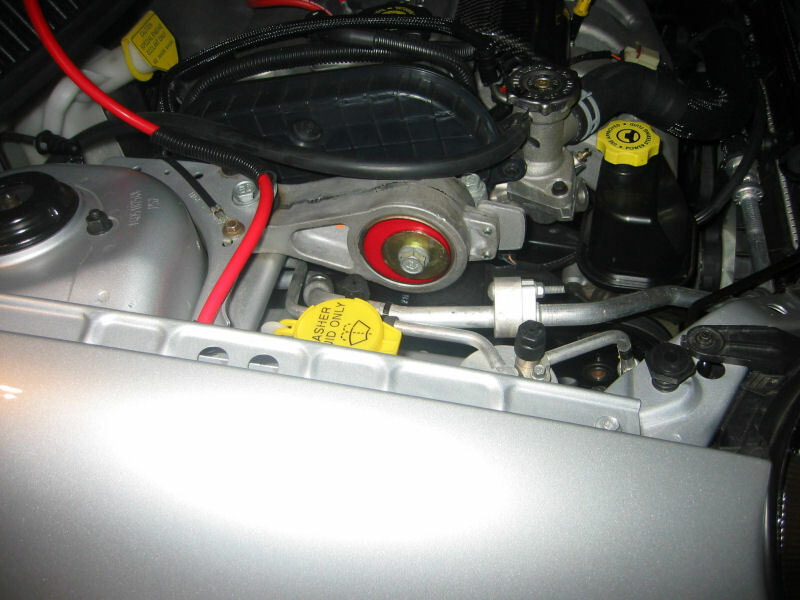 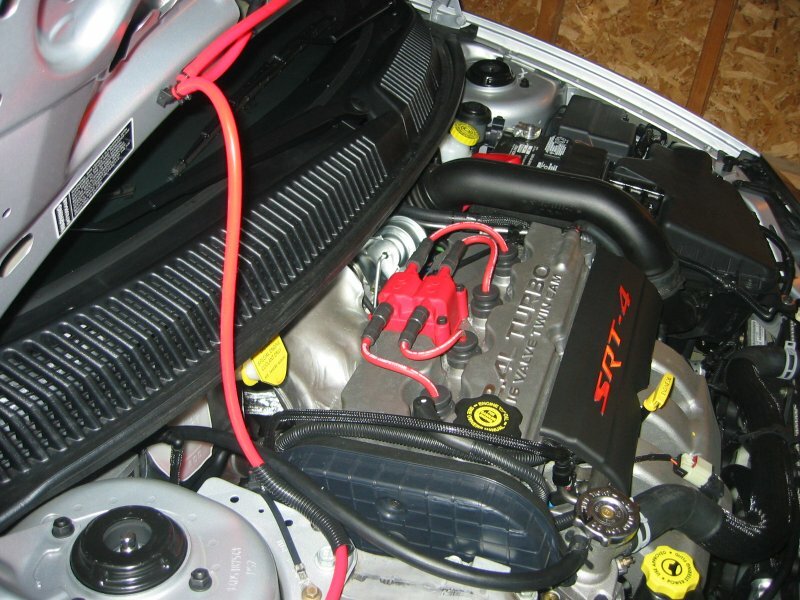 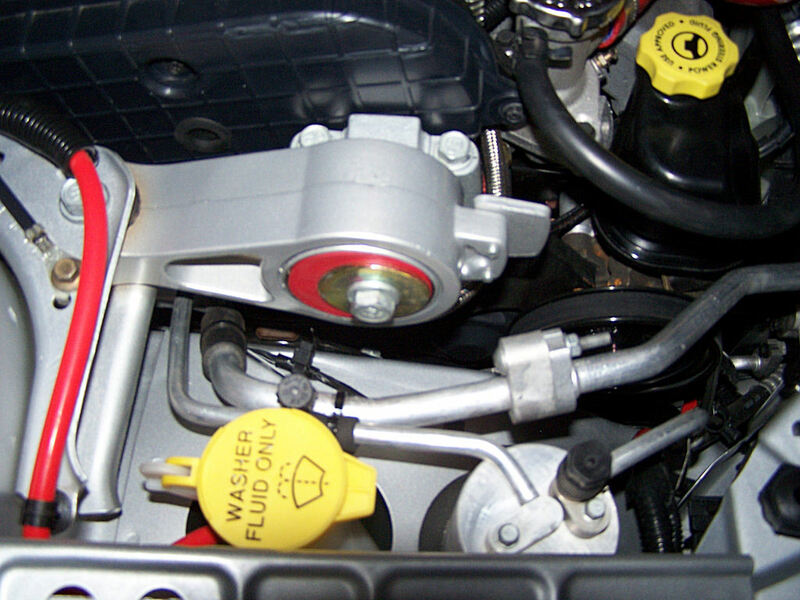 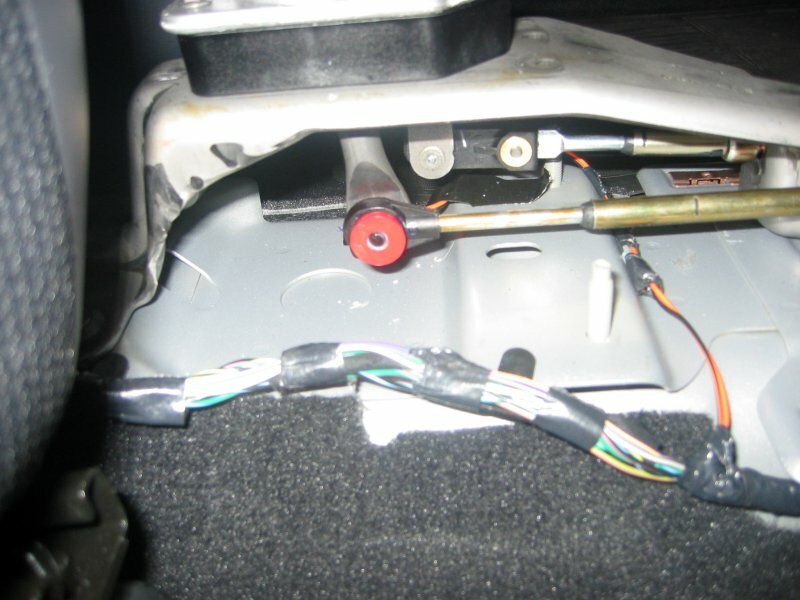 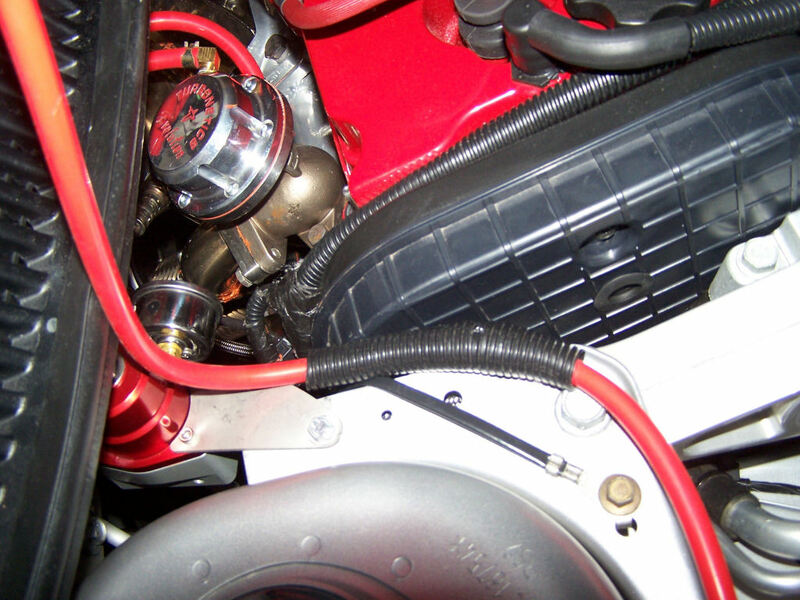 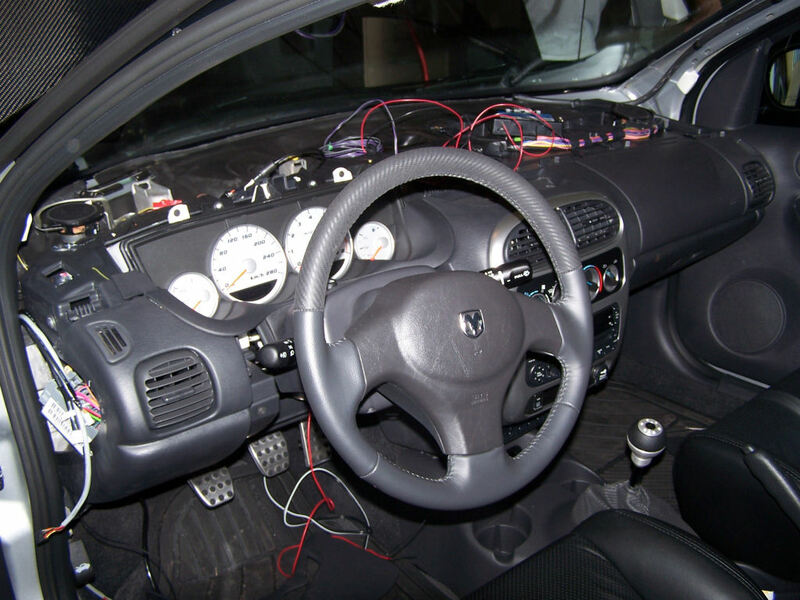 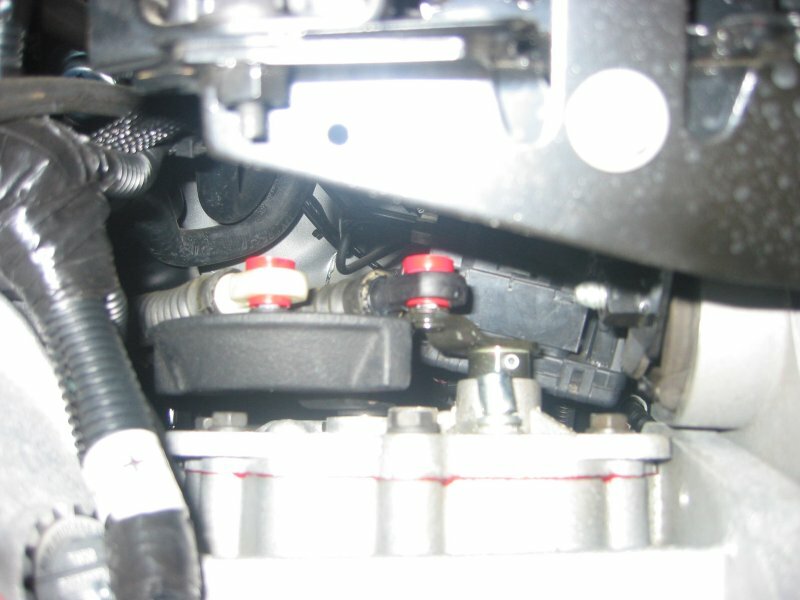 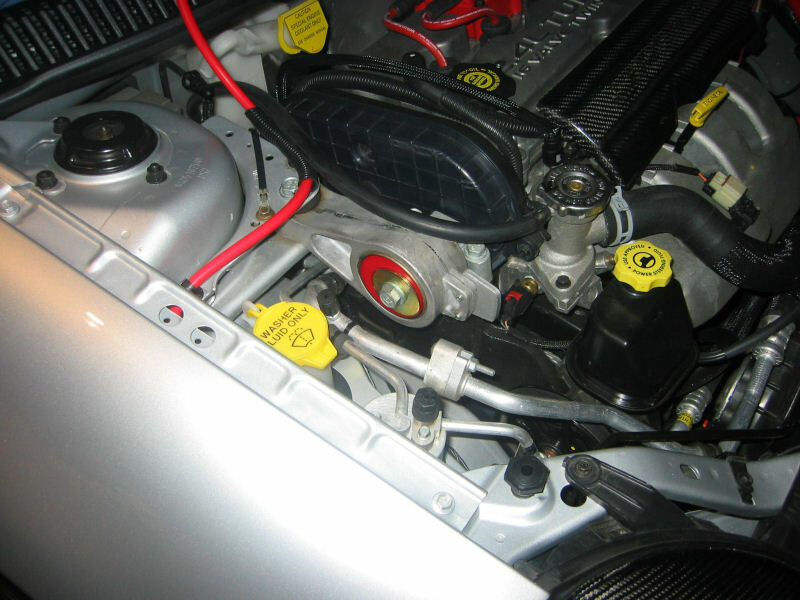 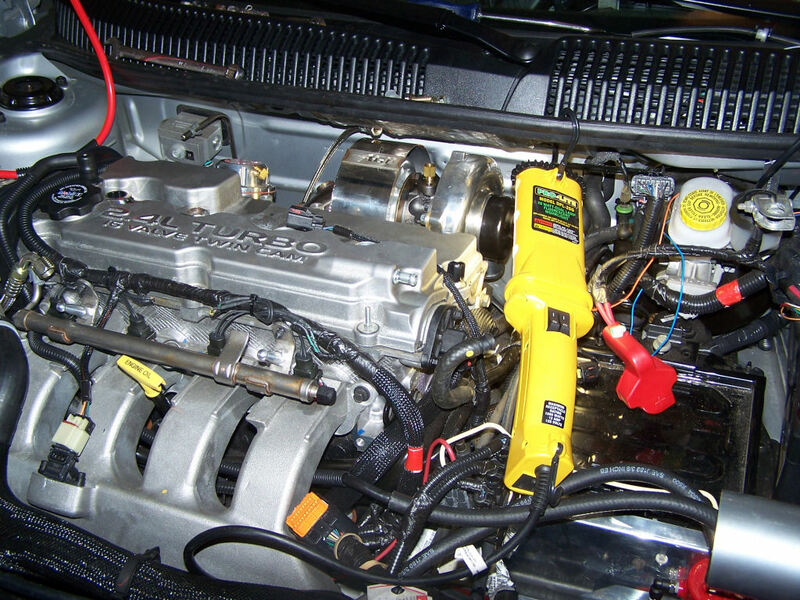 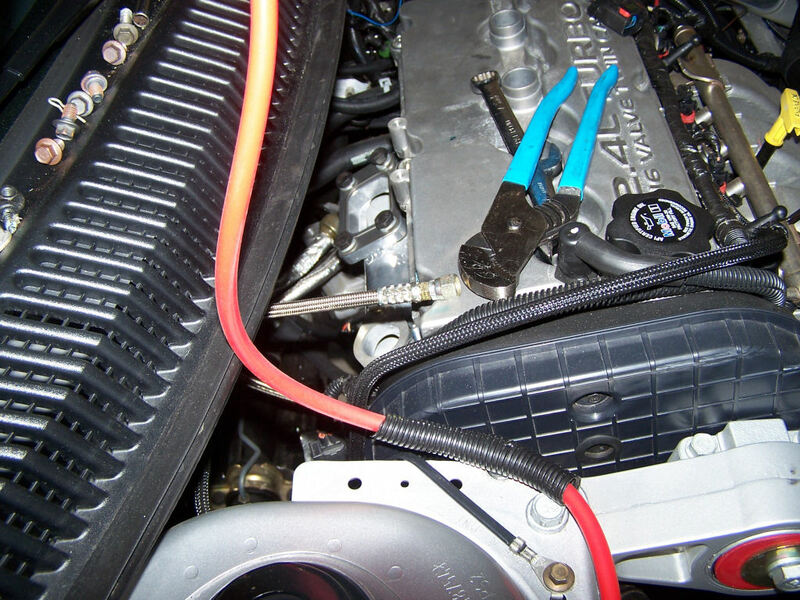 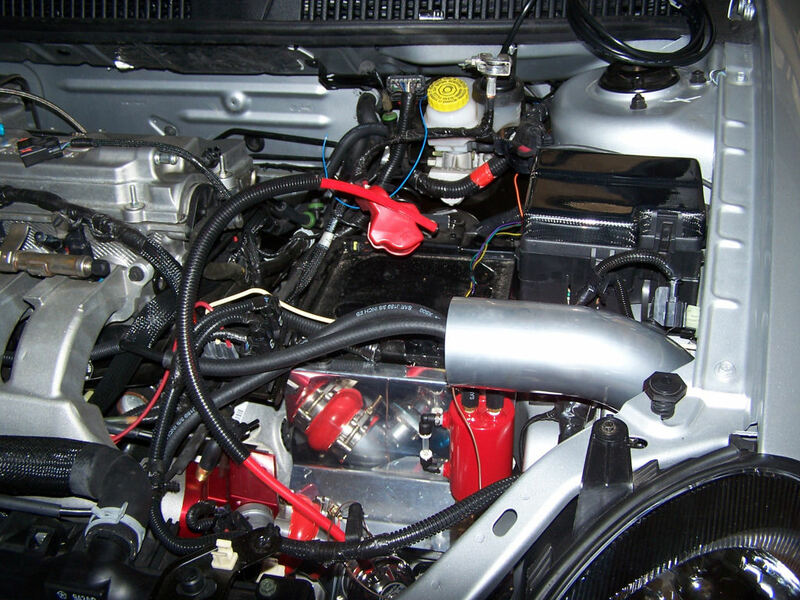 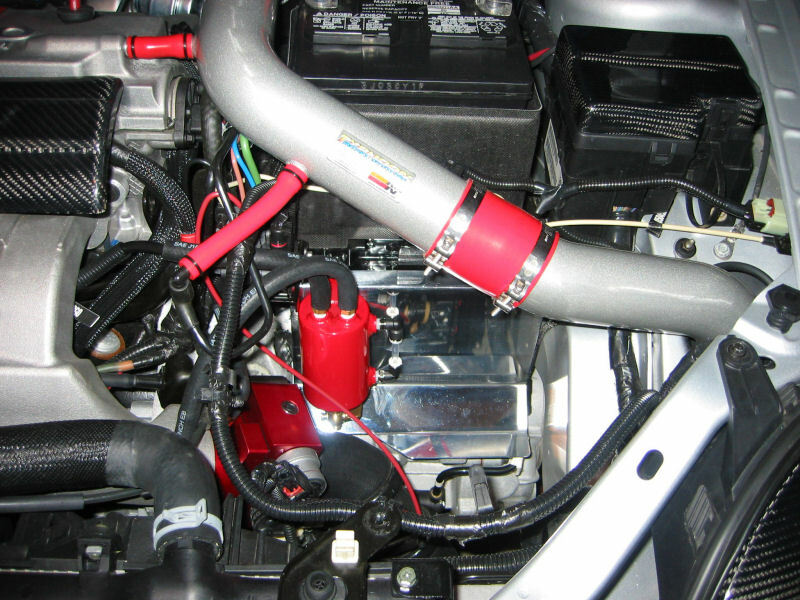 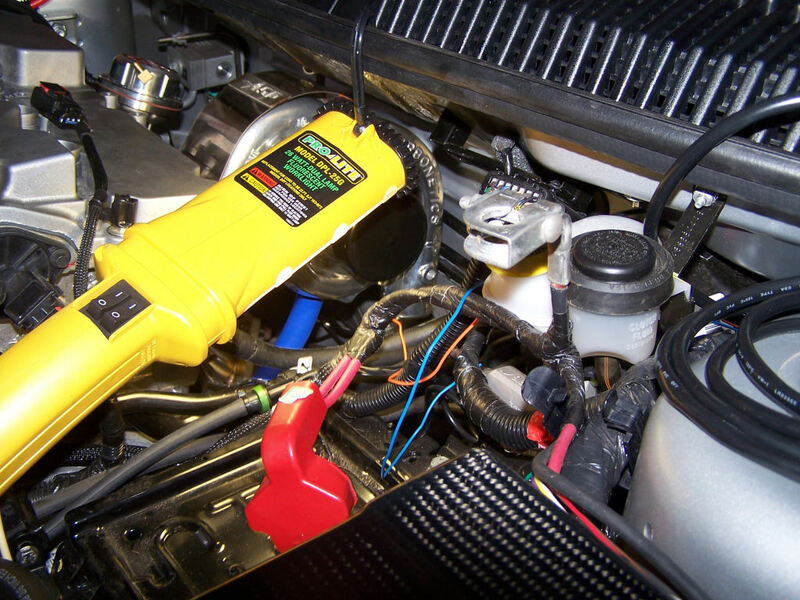 MSDS Blaster ignition coil and Magnecor 8.5mm wires installed. 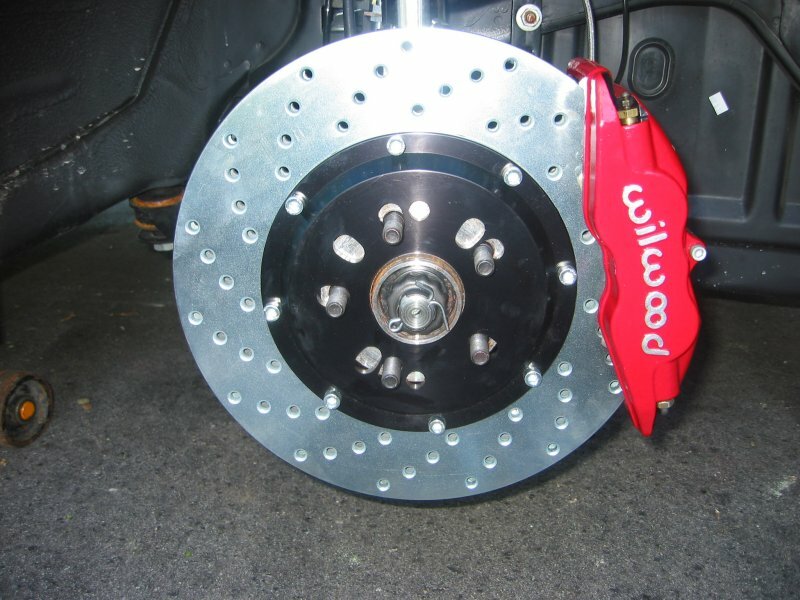 Larger rear brake disc upgrade.